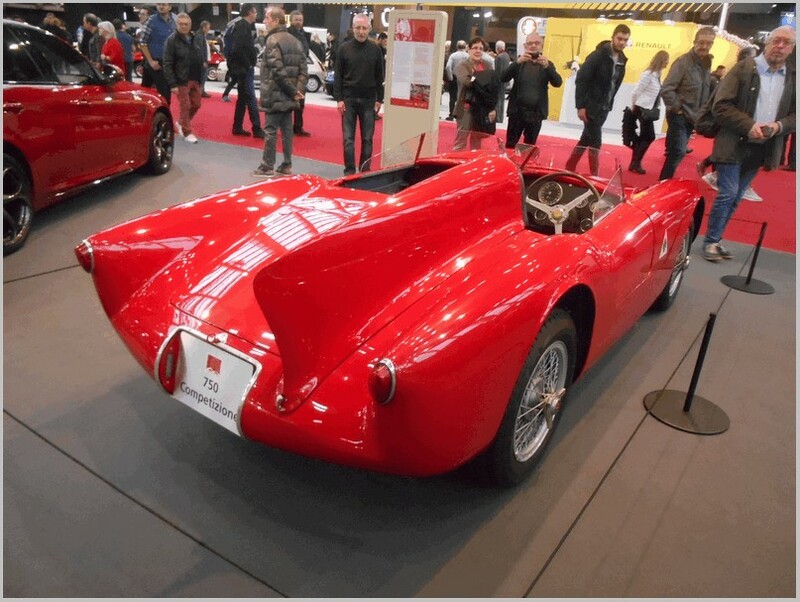 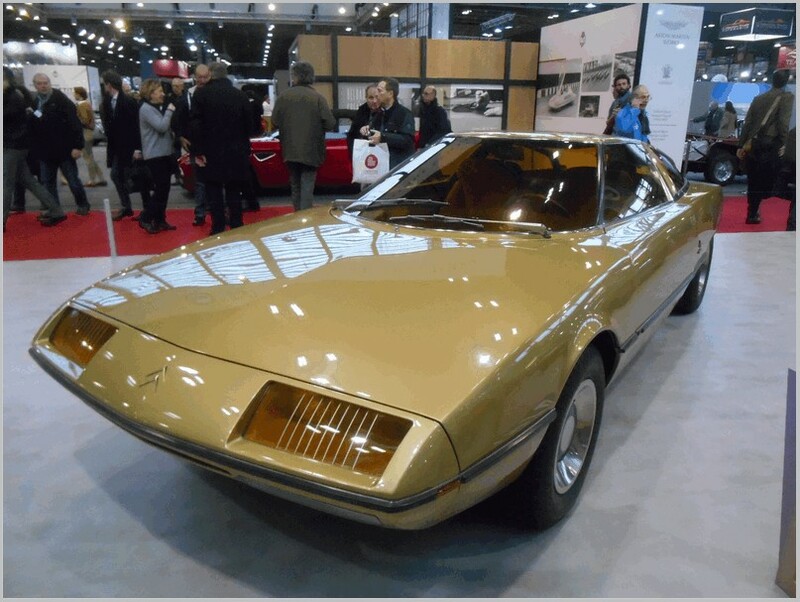 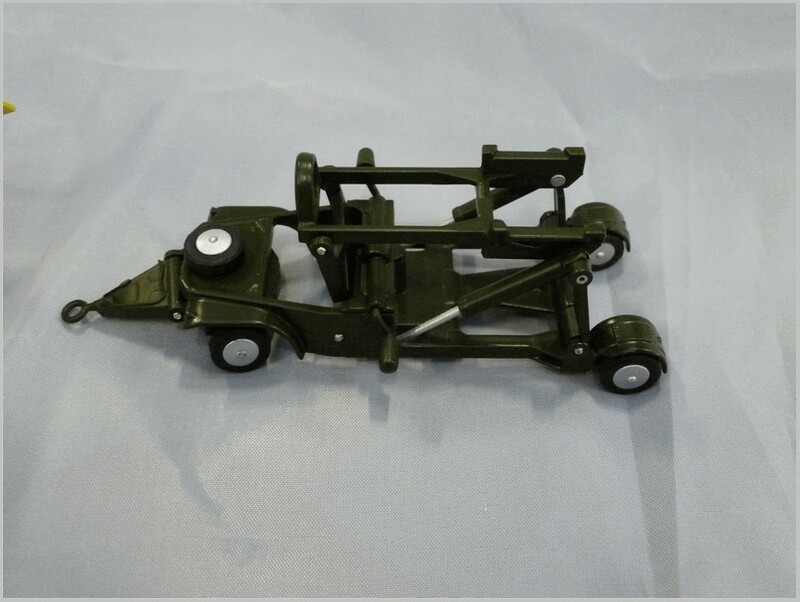 All photographs provided by the manufacturer and may be prototypes subject to refinement and changes. 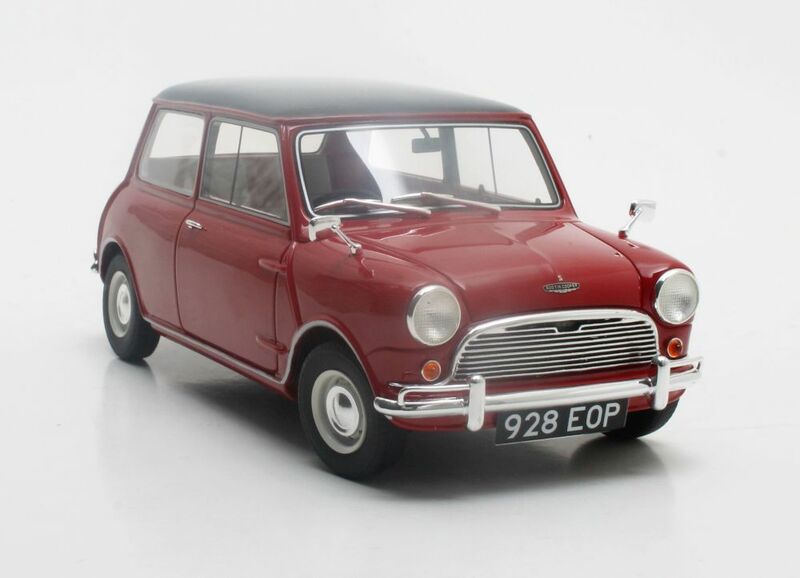 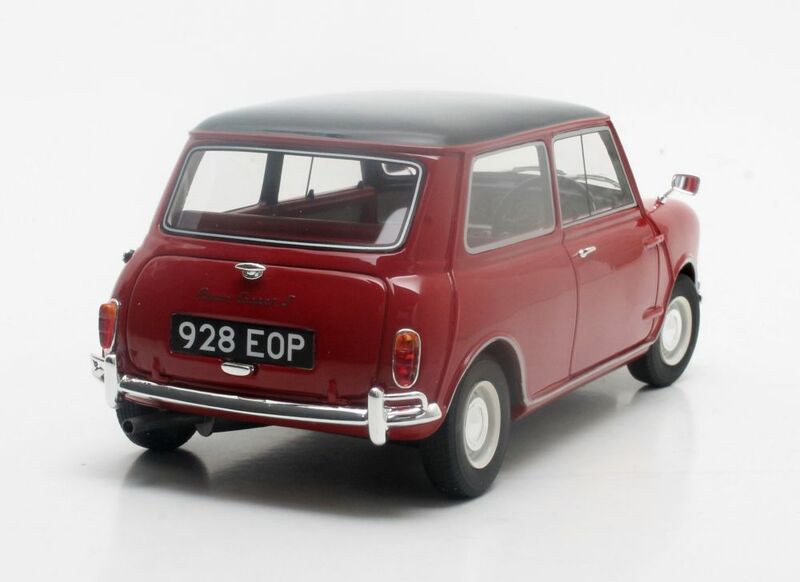 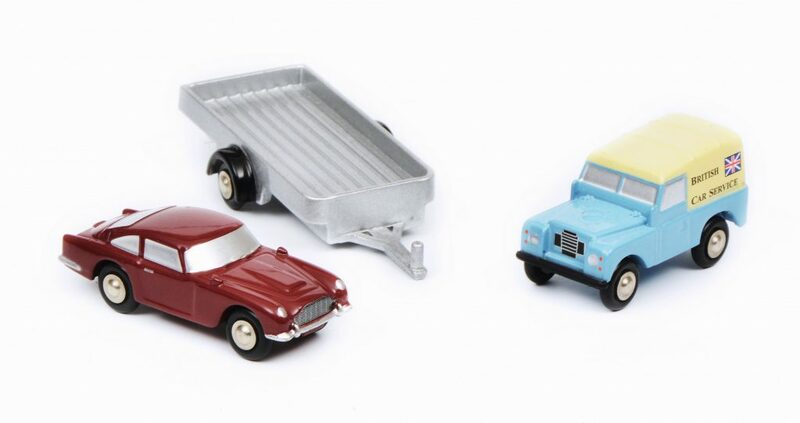 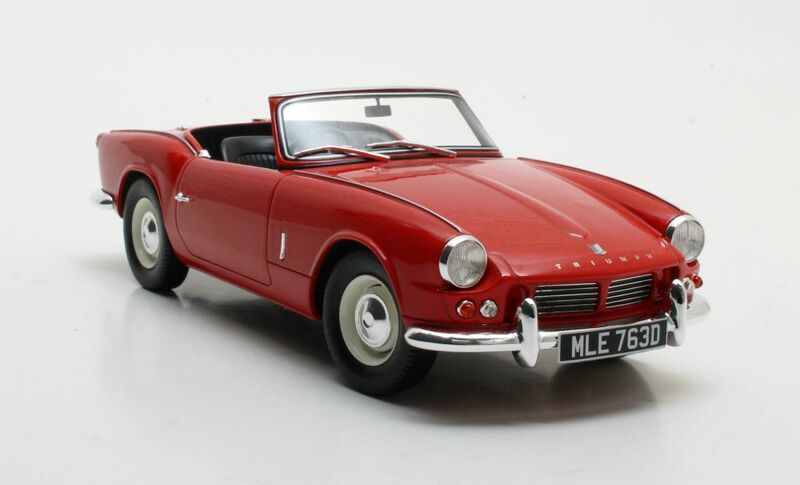 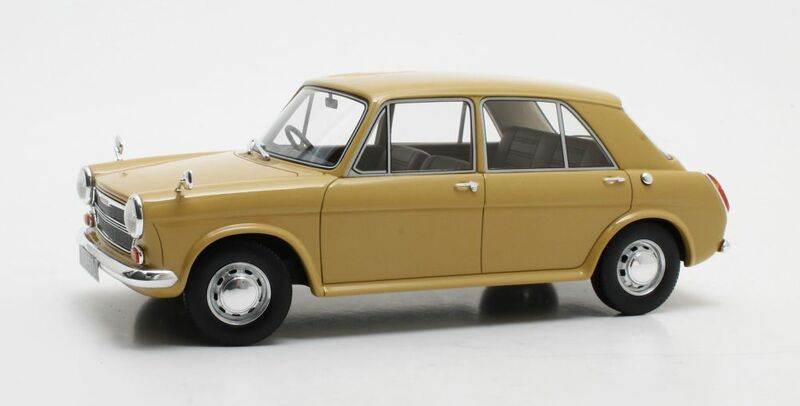 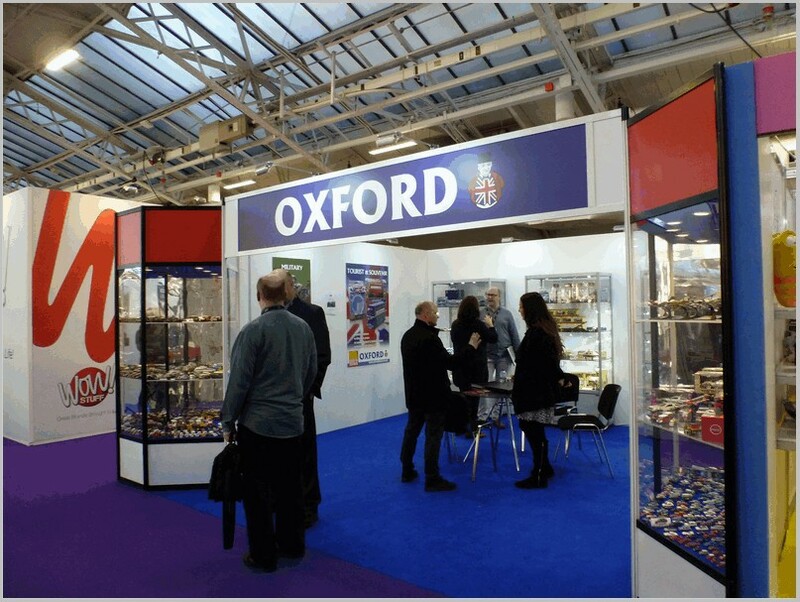 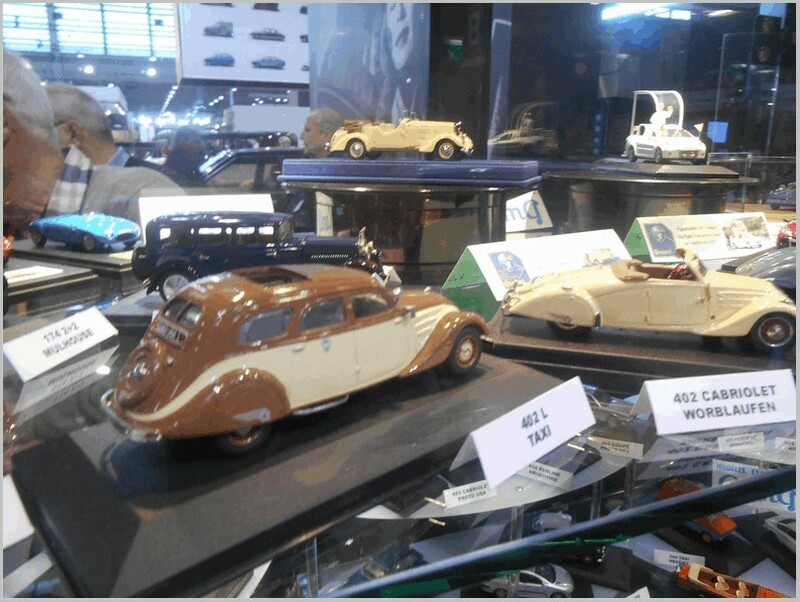 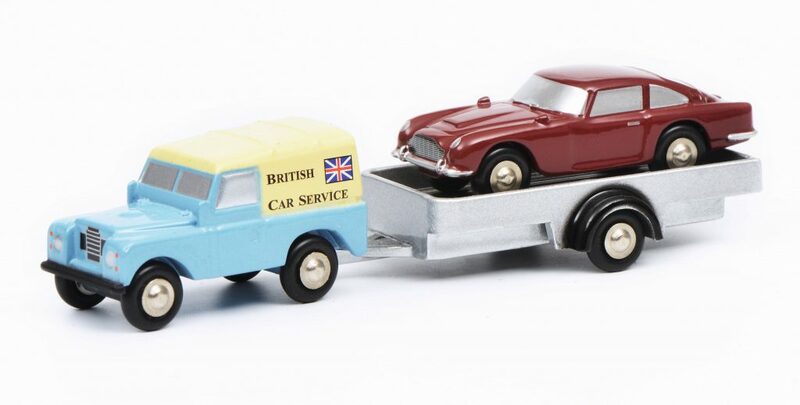 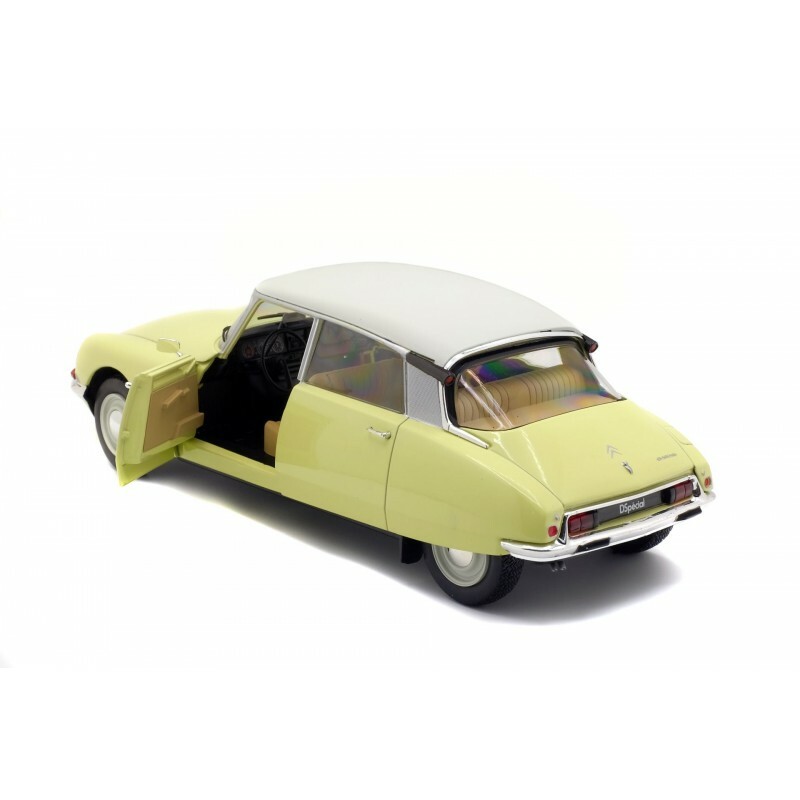 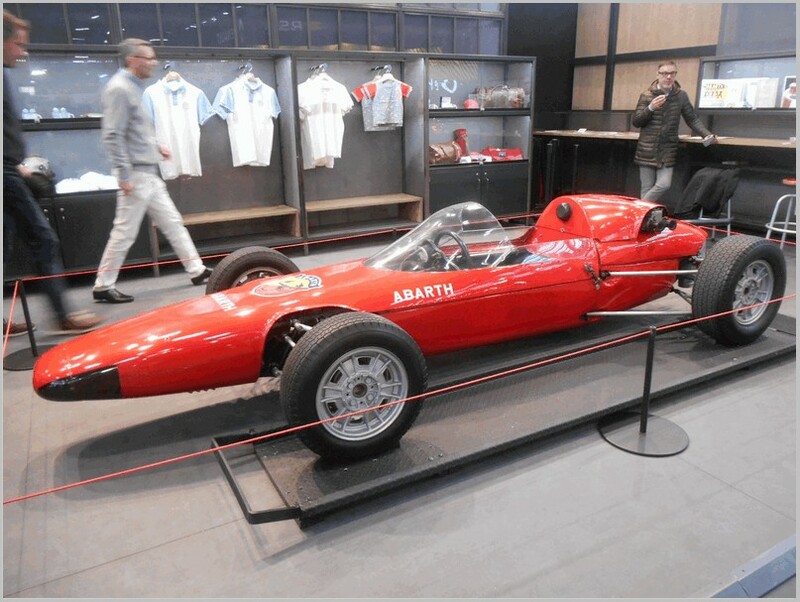 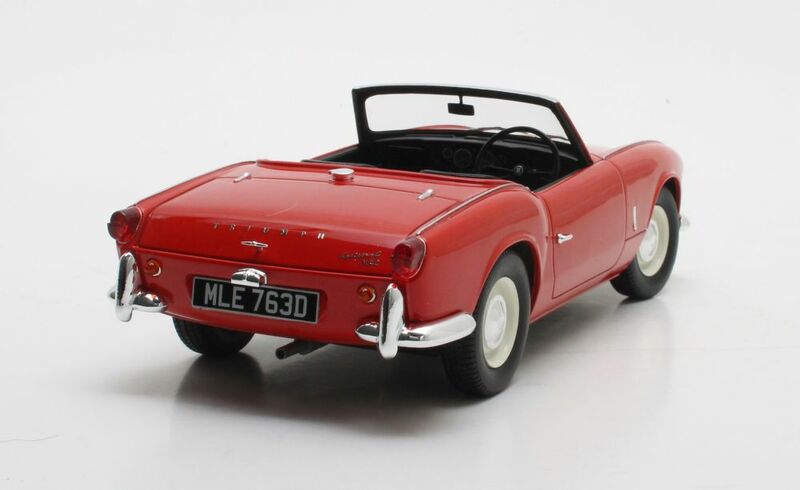 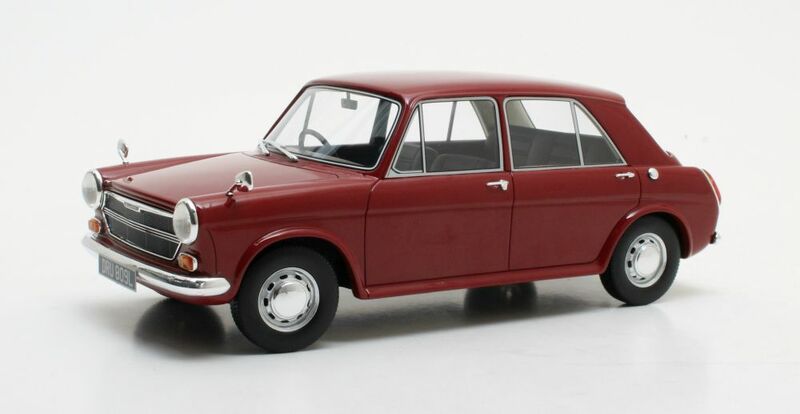 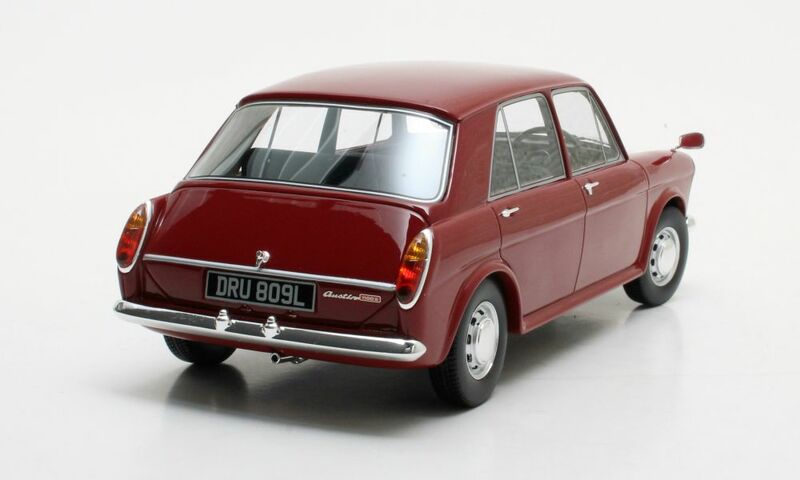 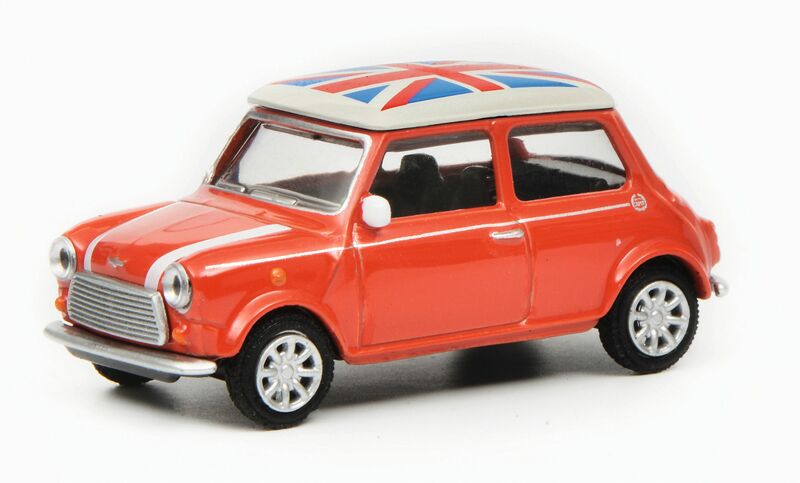 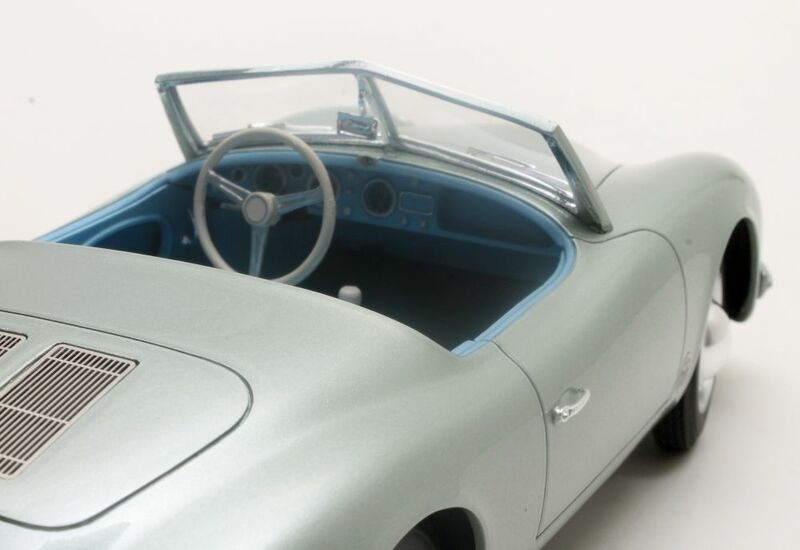 Cult Models has a past history of making 1:18 scale models of classic British cars and four more are expected in the first half of 2018. 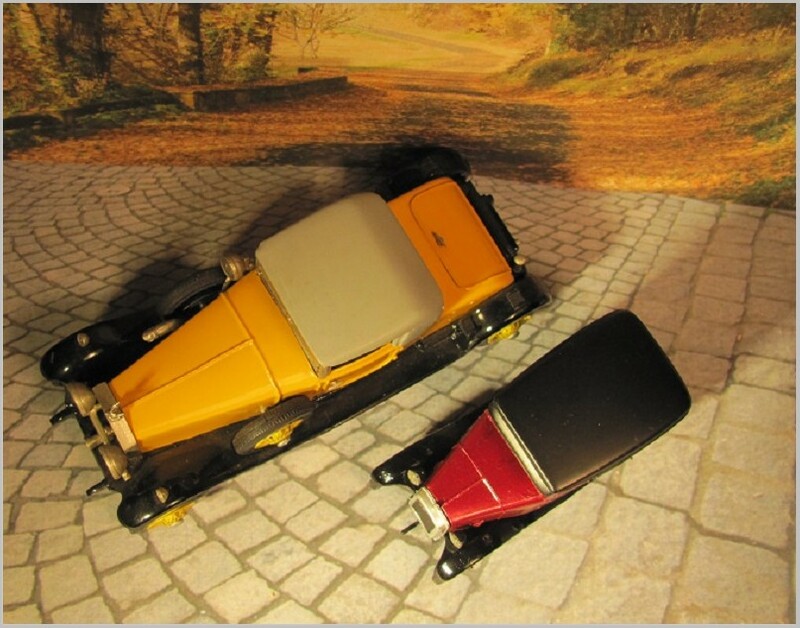 These models are made in China for Cult. 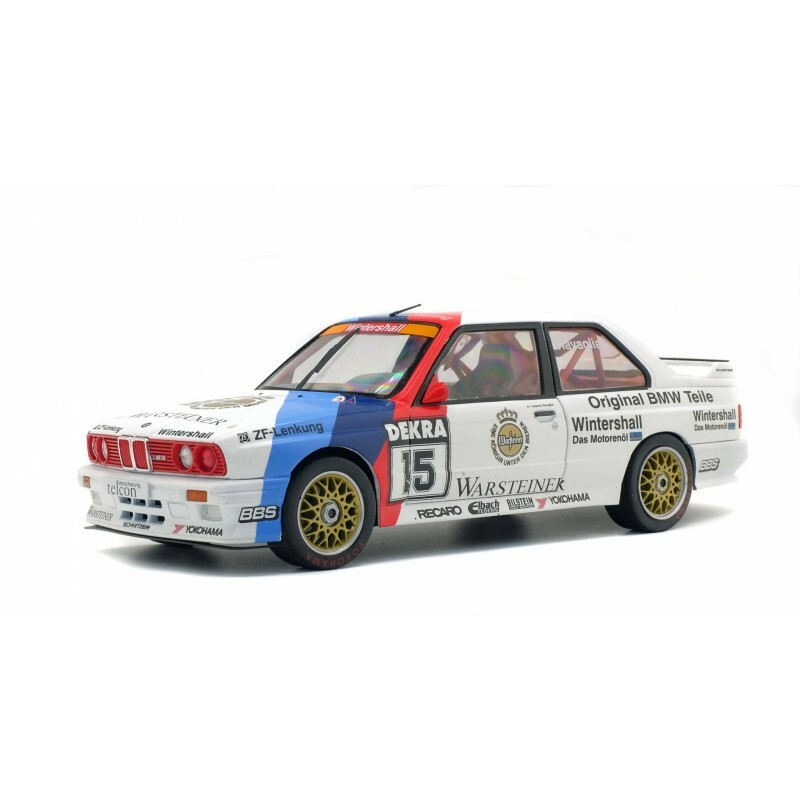 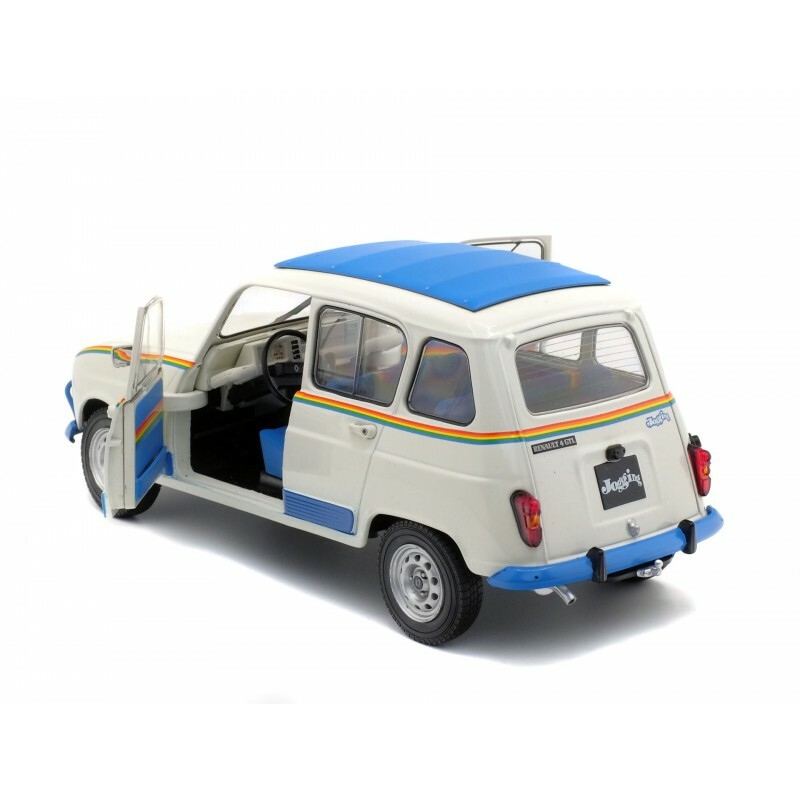 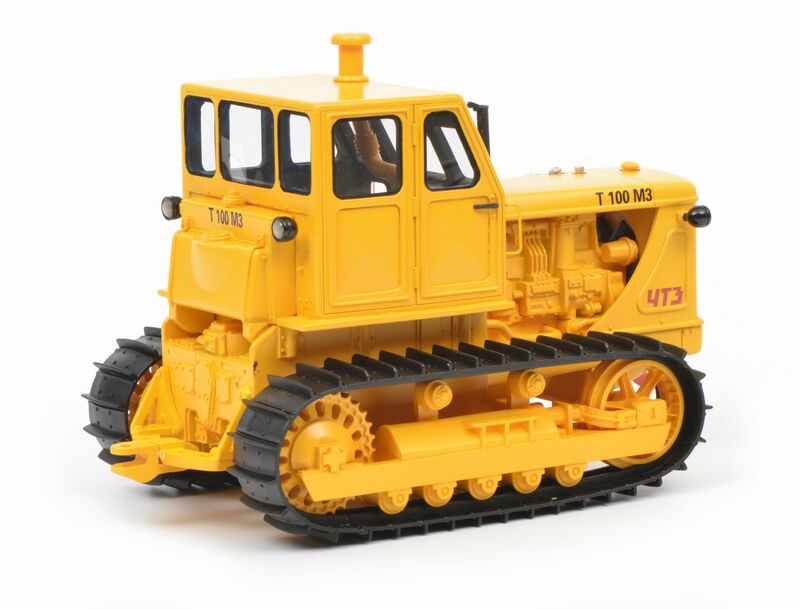 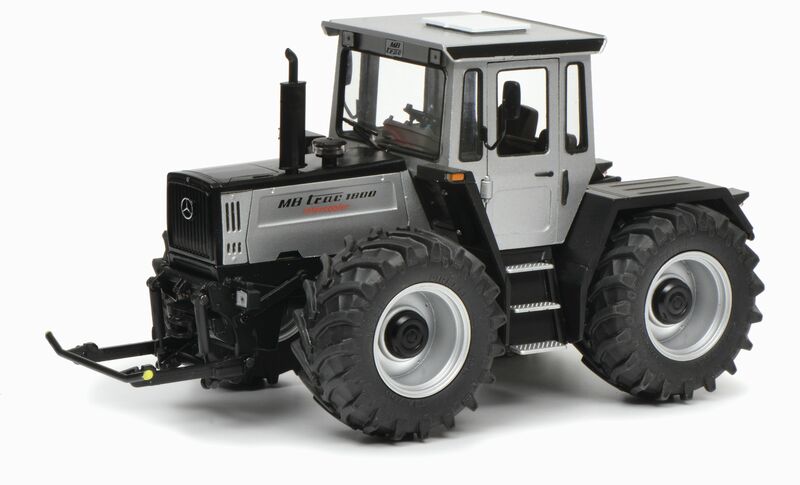 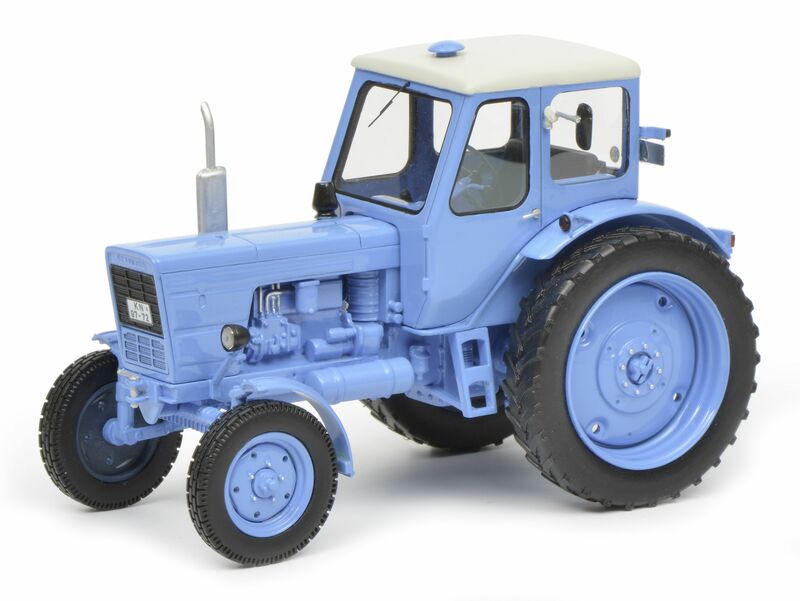 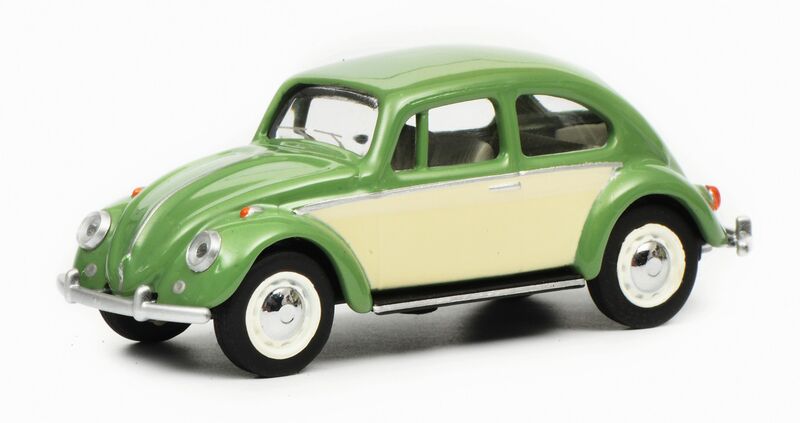 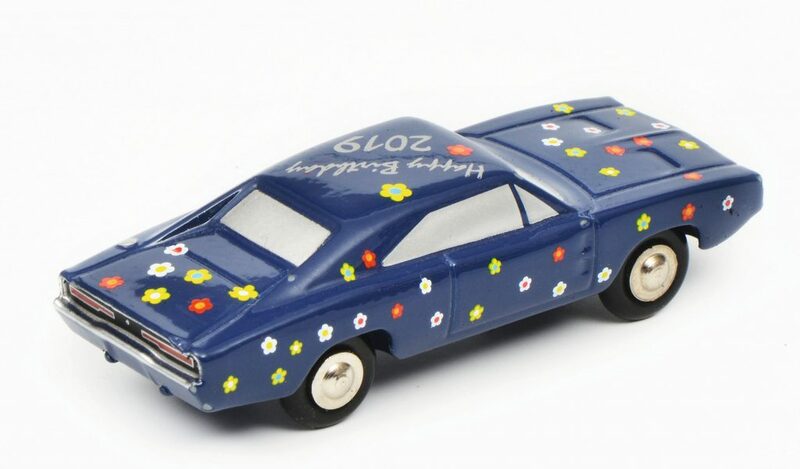 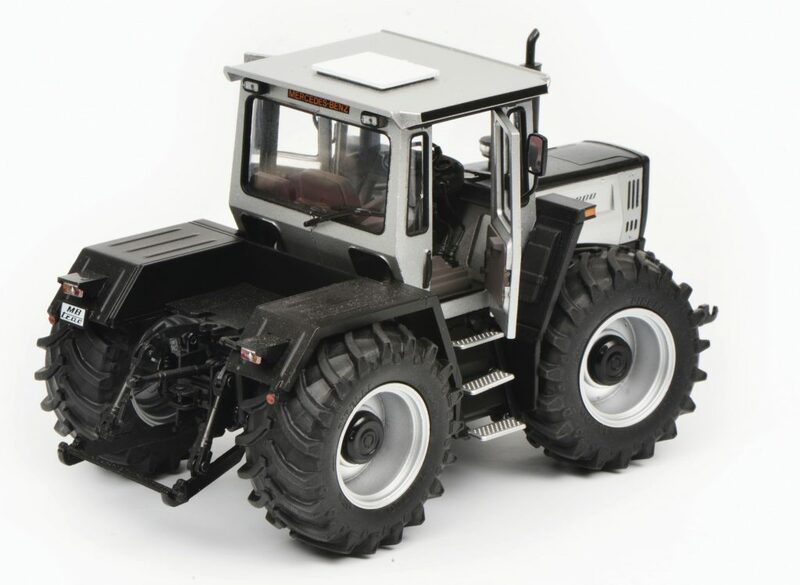 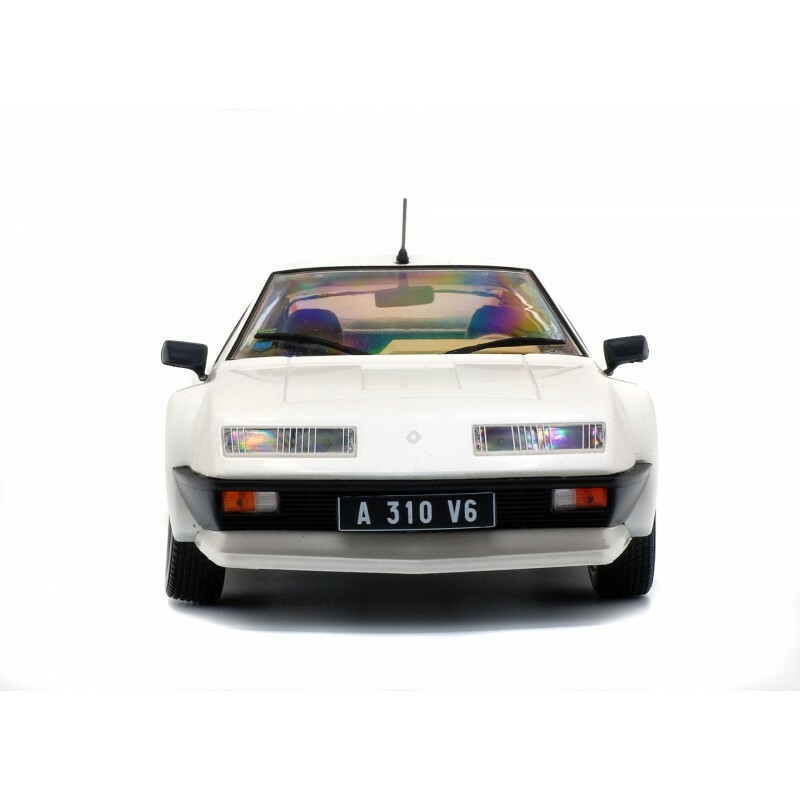 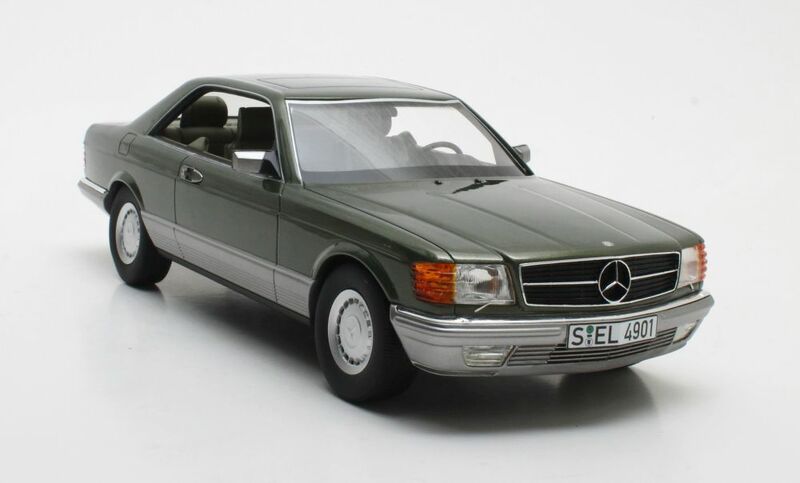 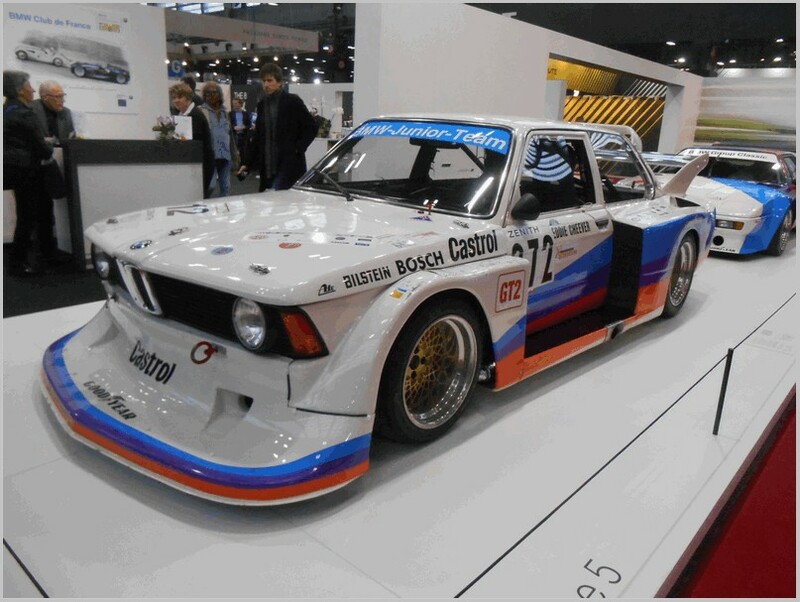 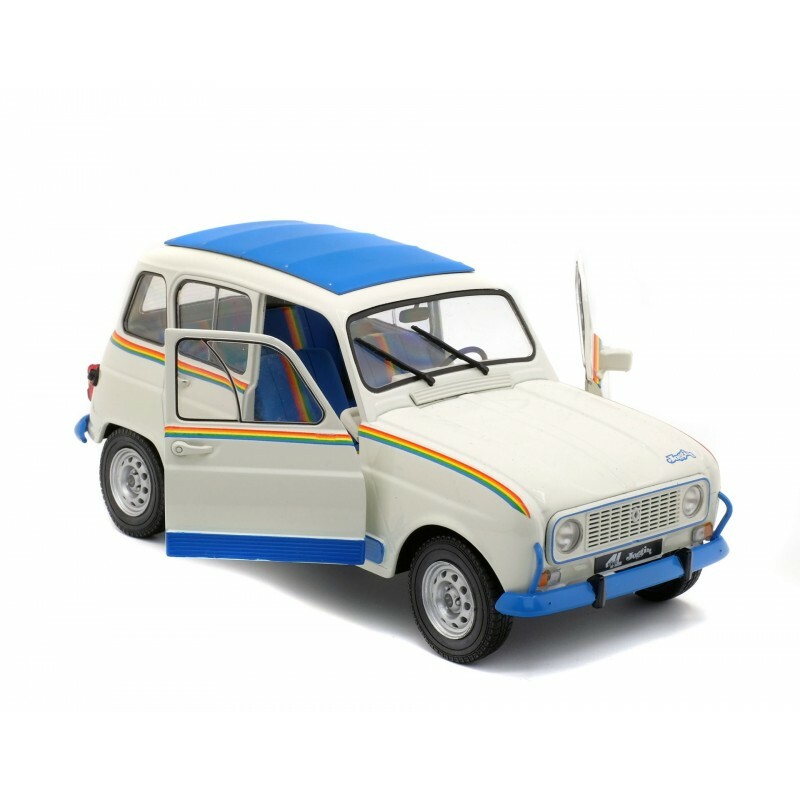 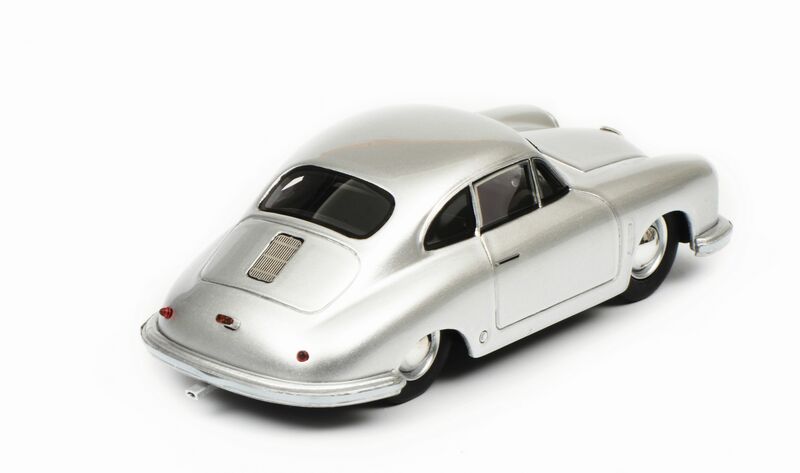 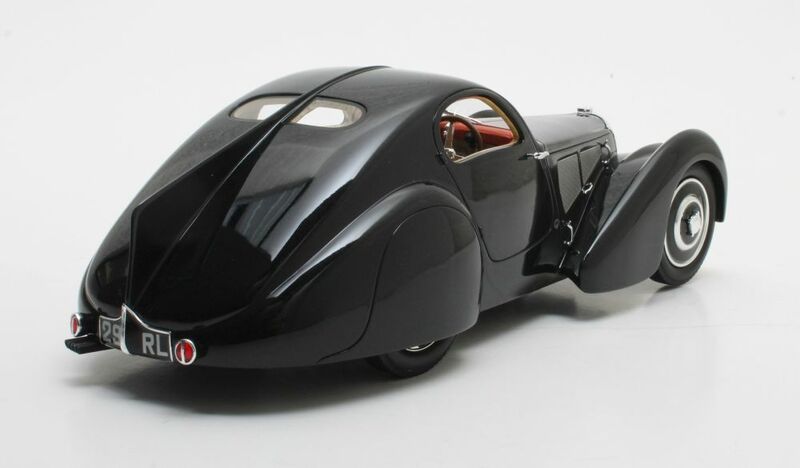 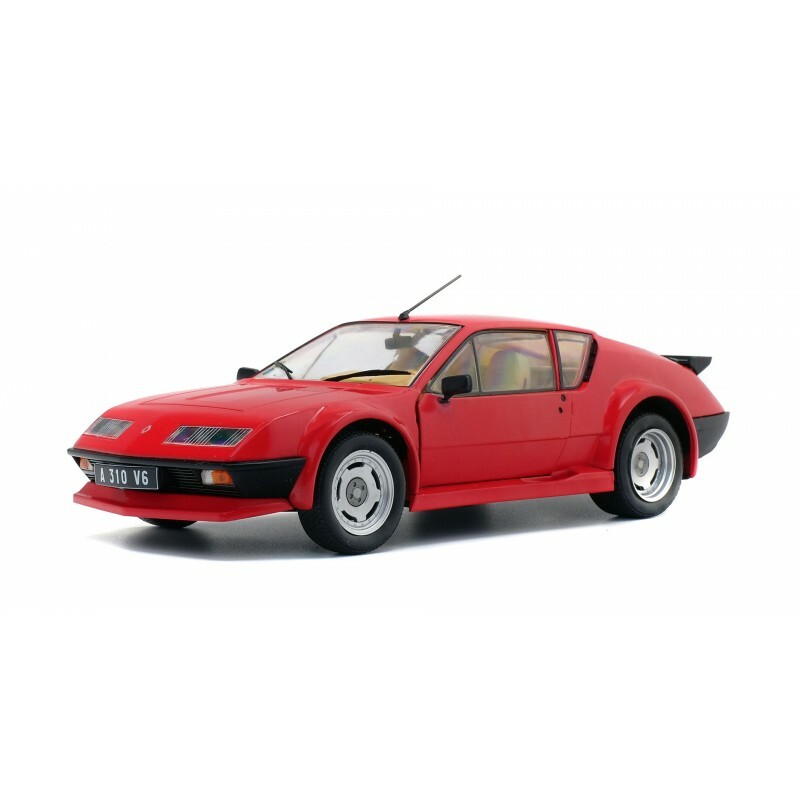 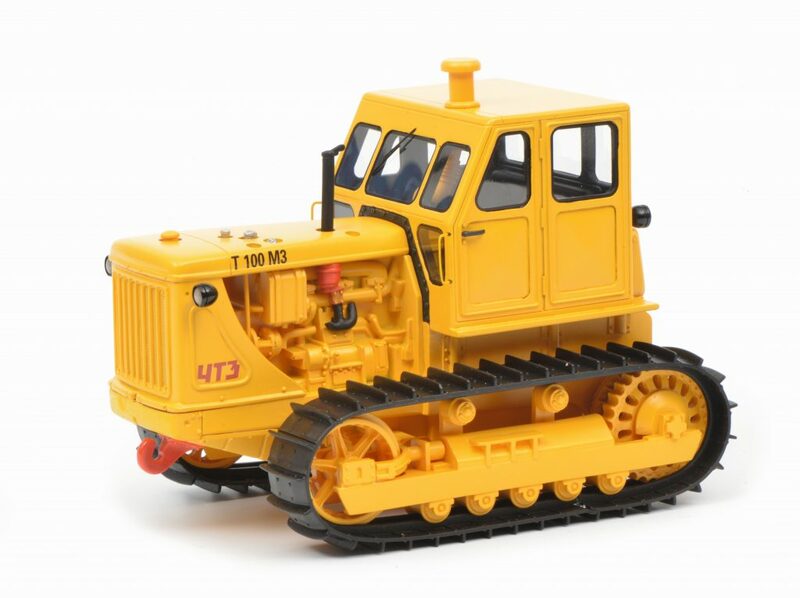 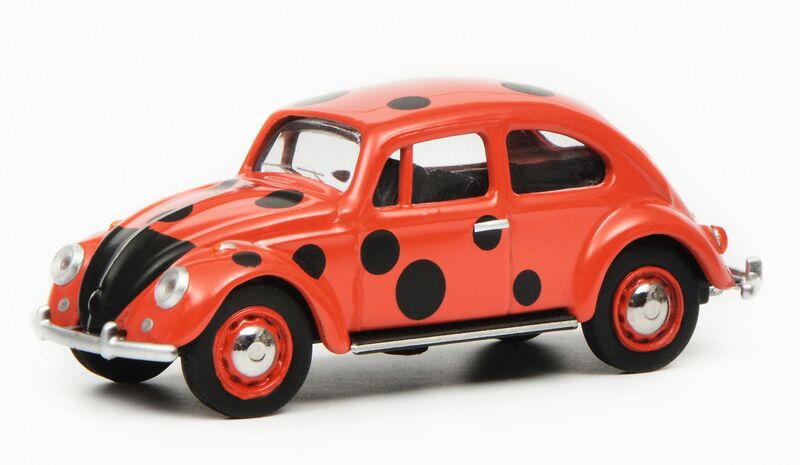 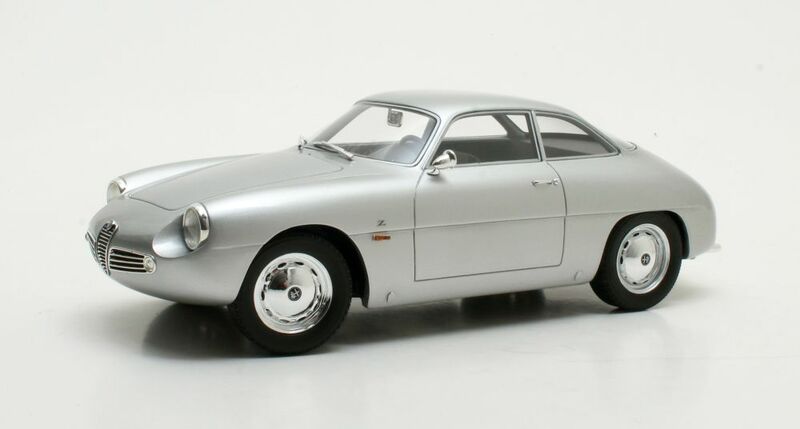 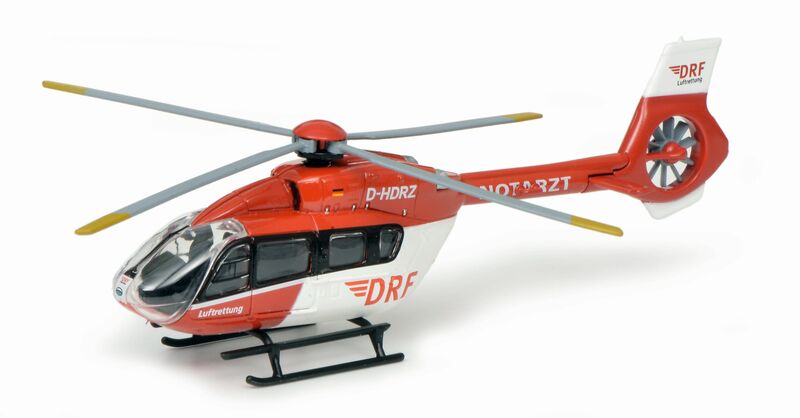 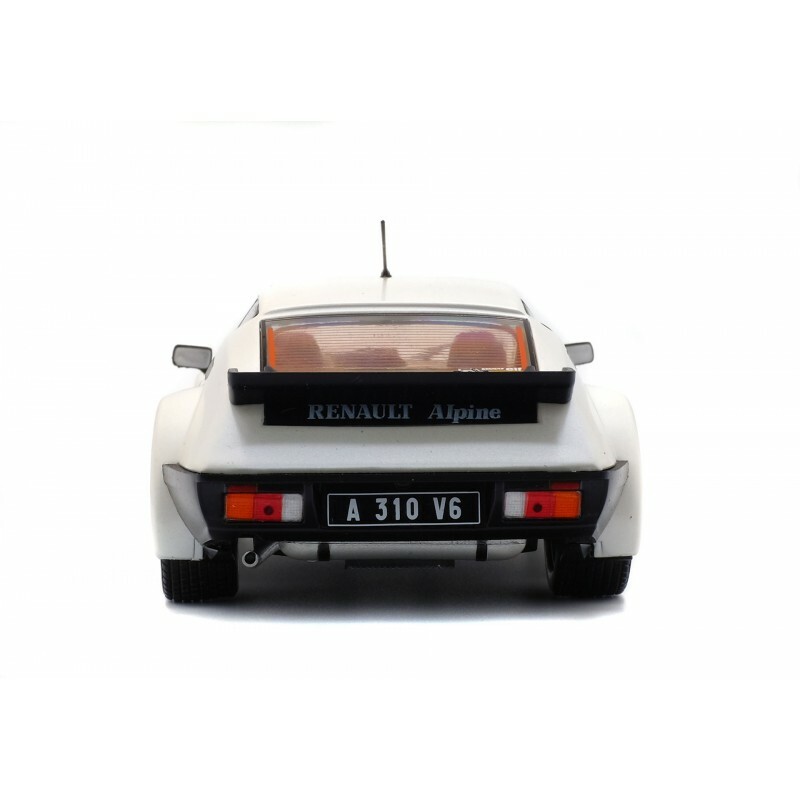 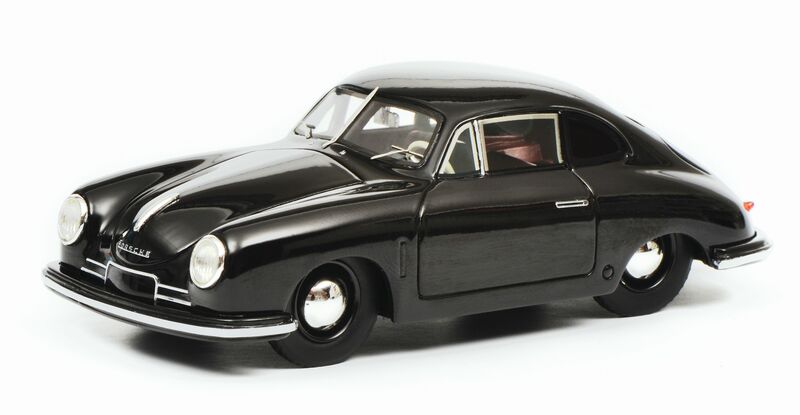 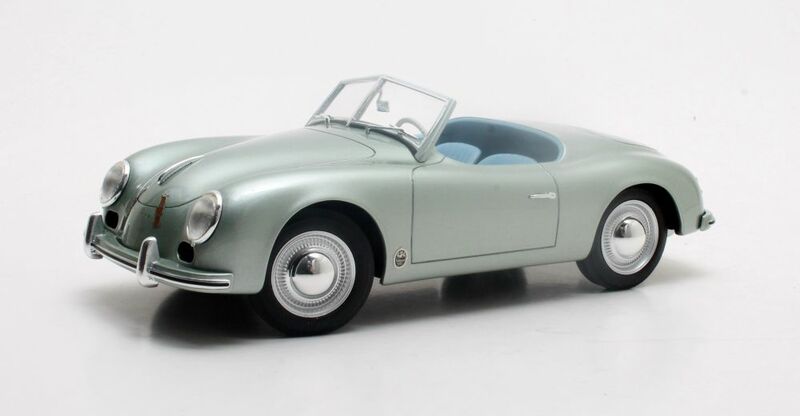 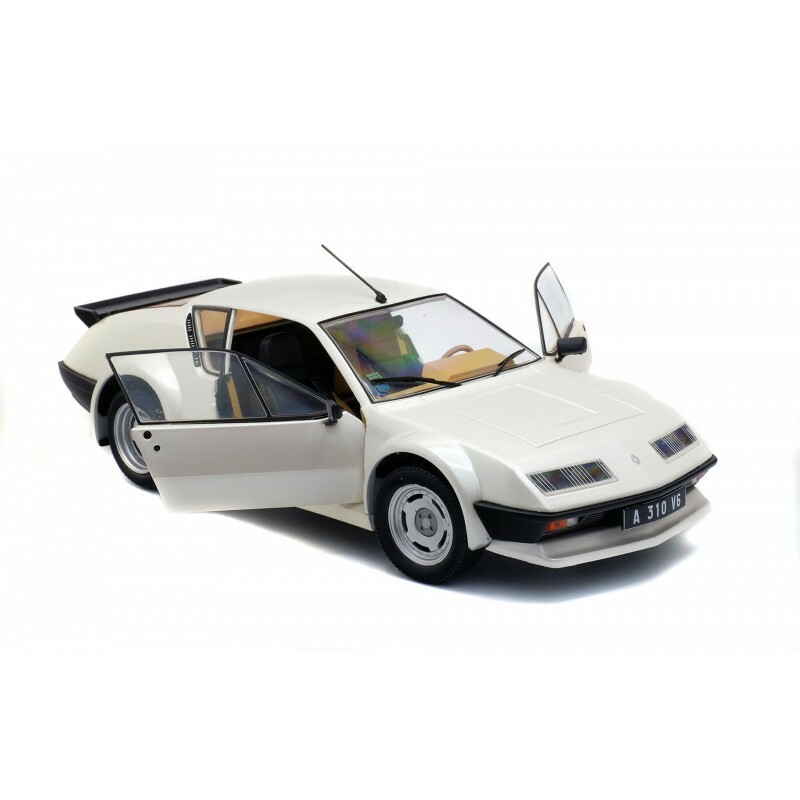 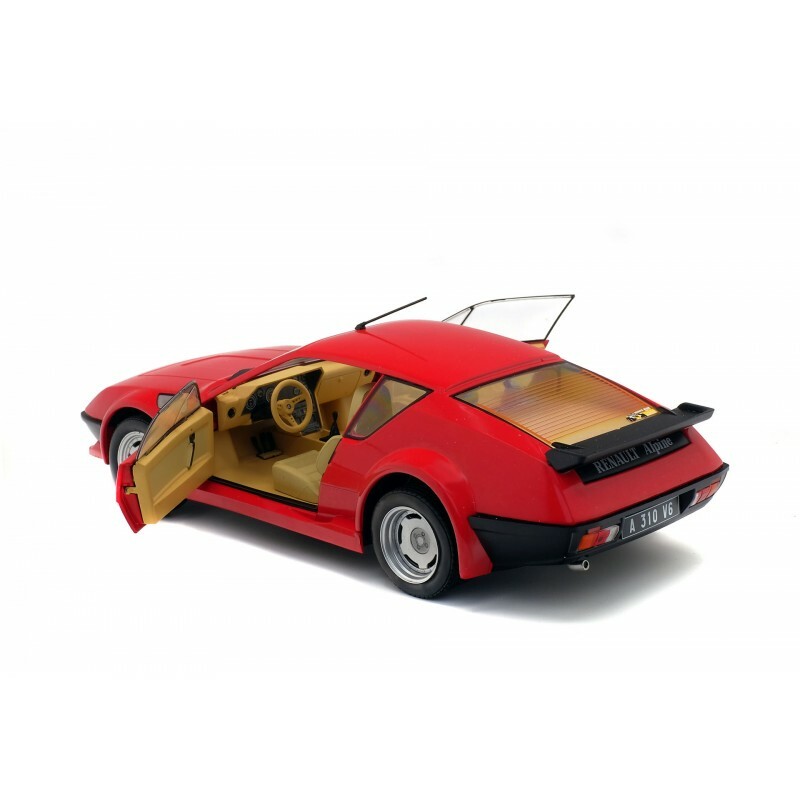 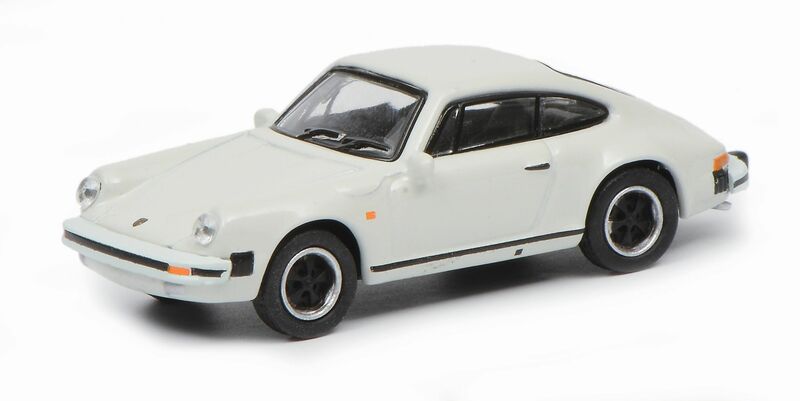 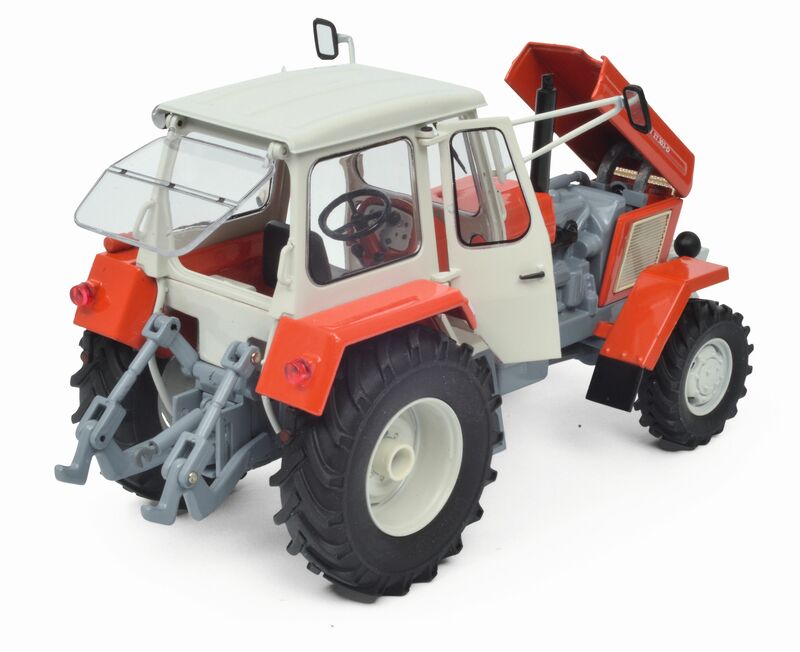 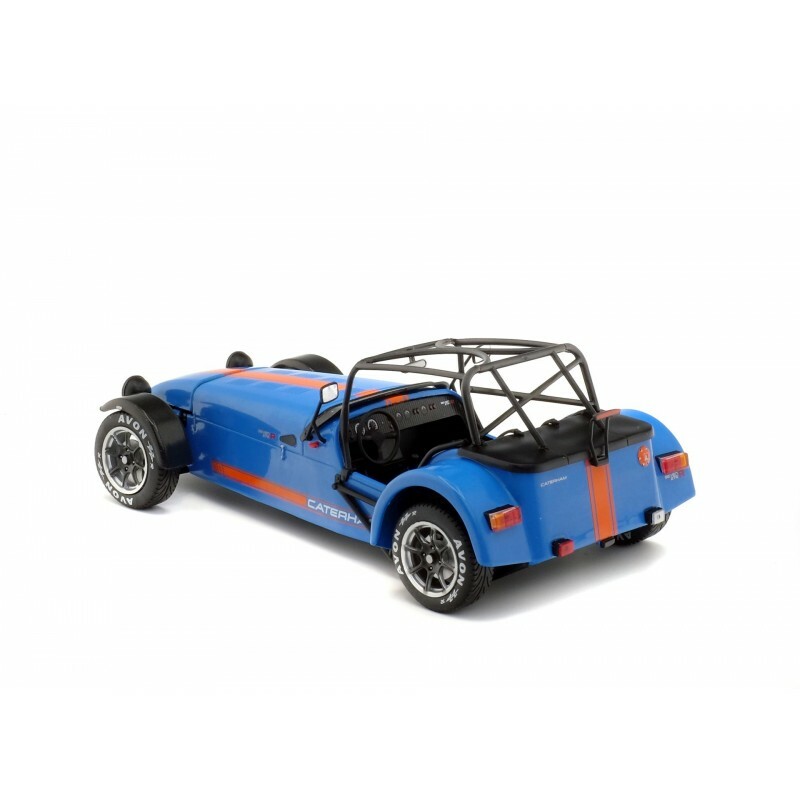 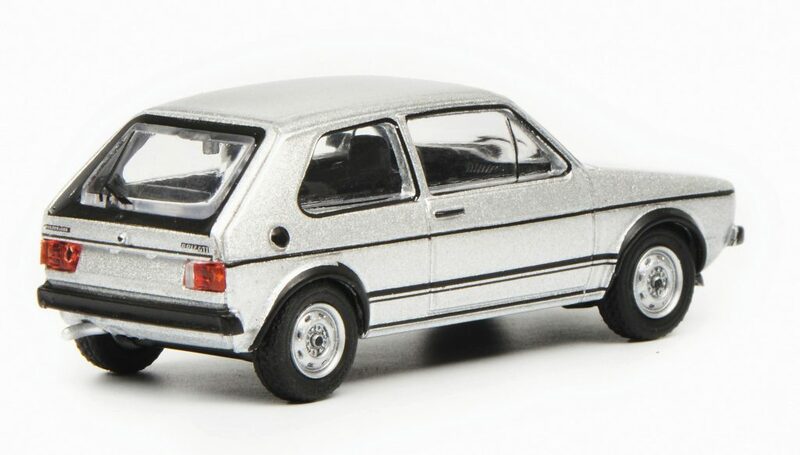 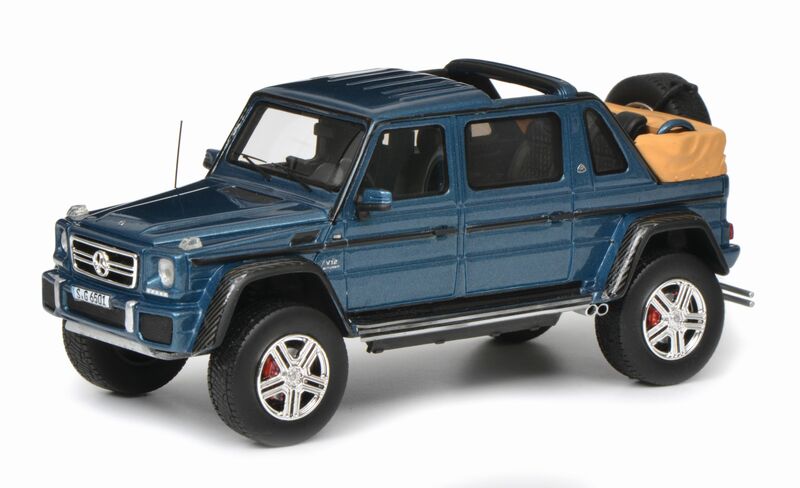 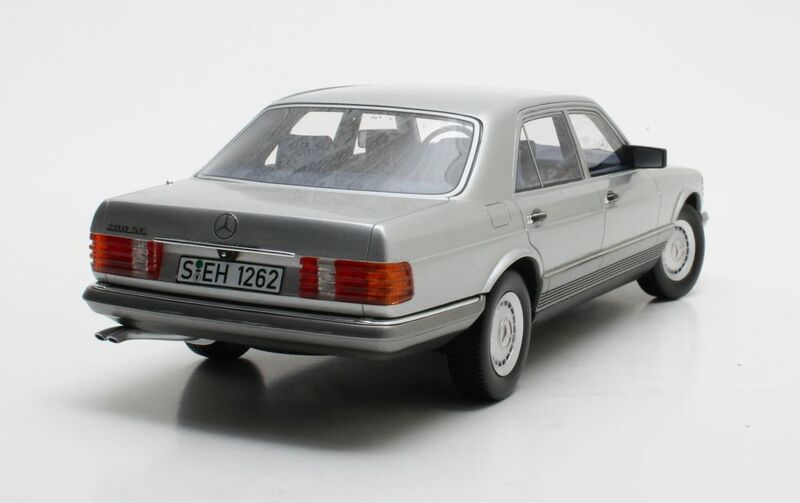 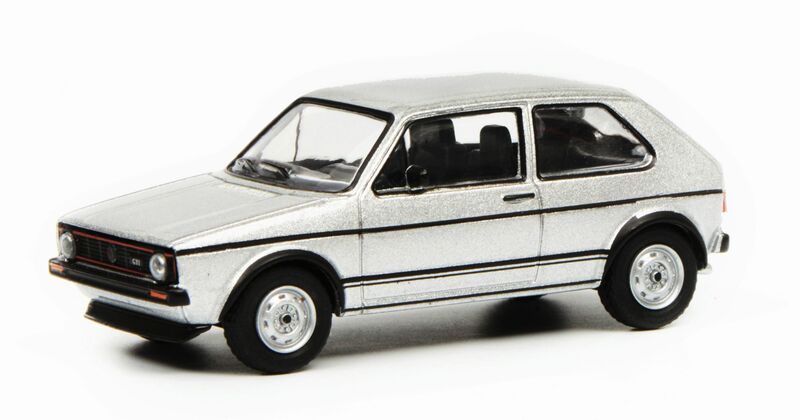 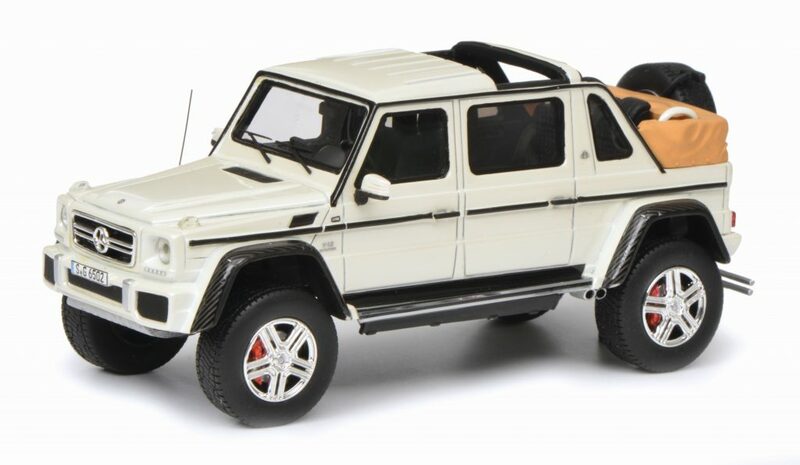 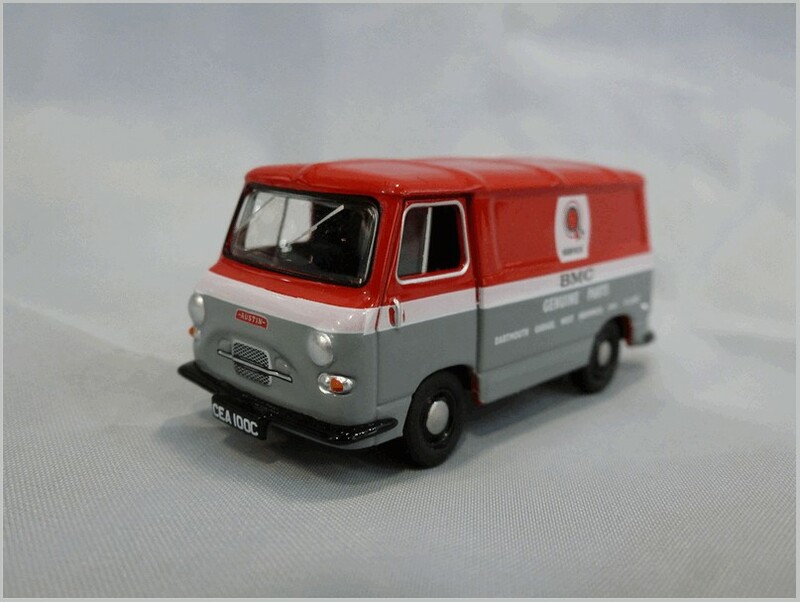 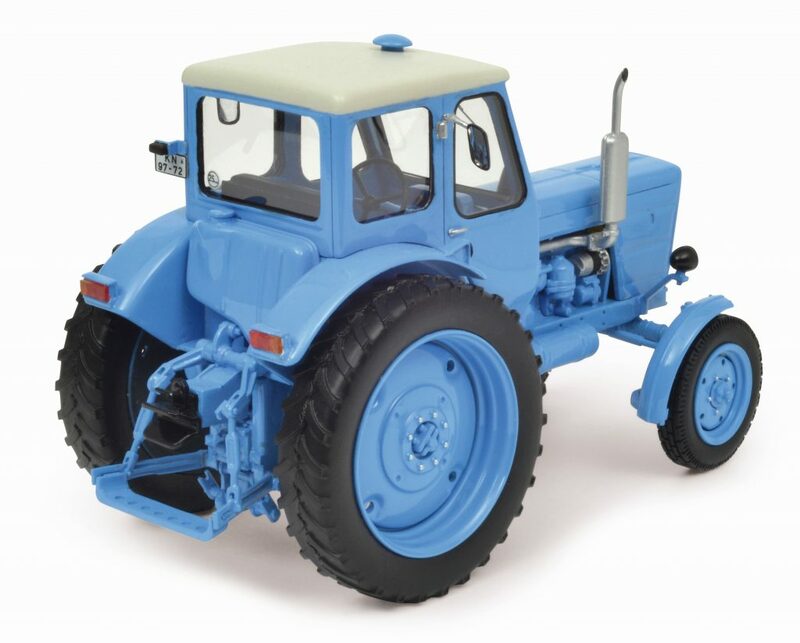 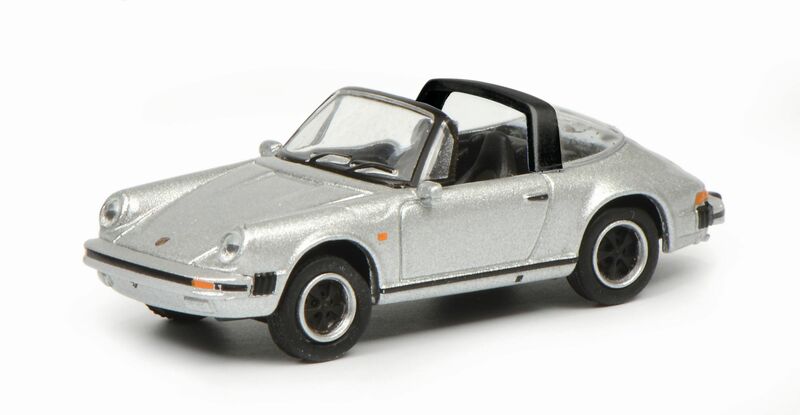 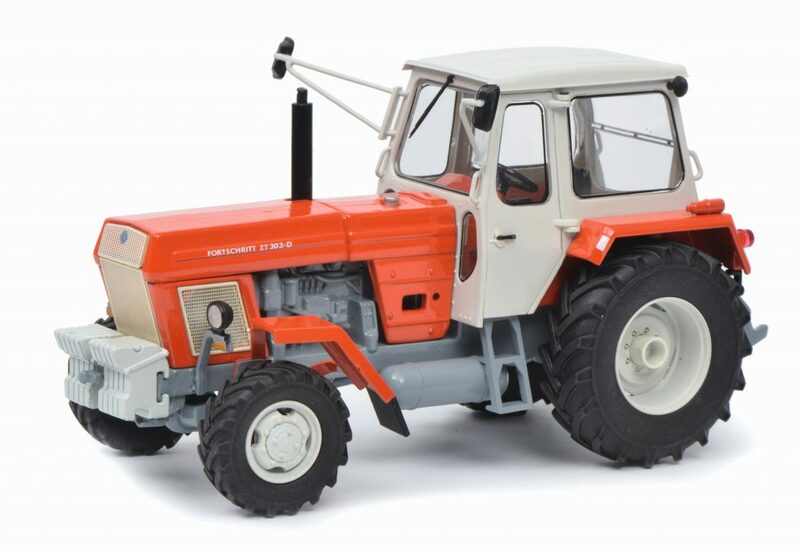 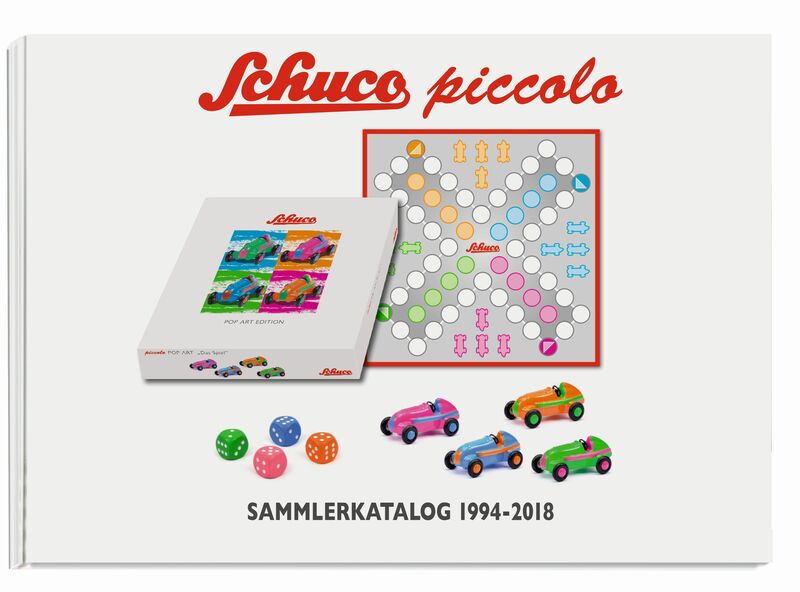 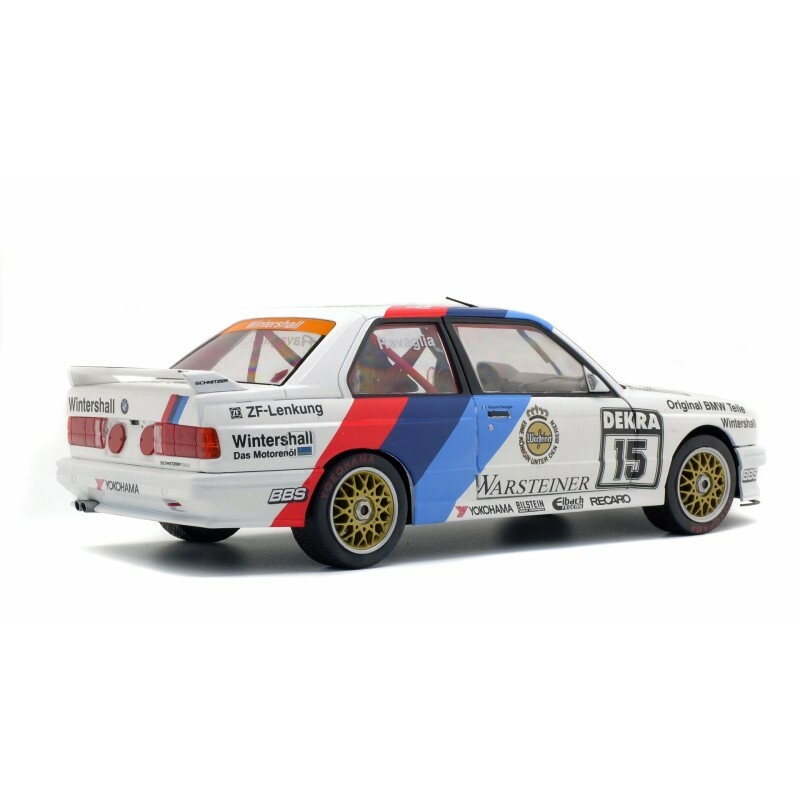 Cult have been known to offer some of the more reasonably priced 1:18 scale models in the past but the price has risen steadily over the last year or so making each model a significant investment for collectors. 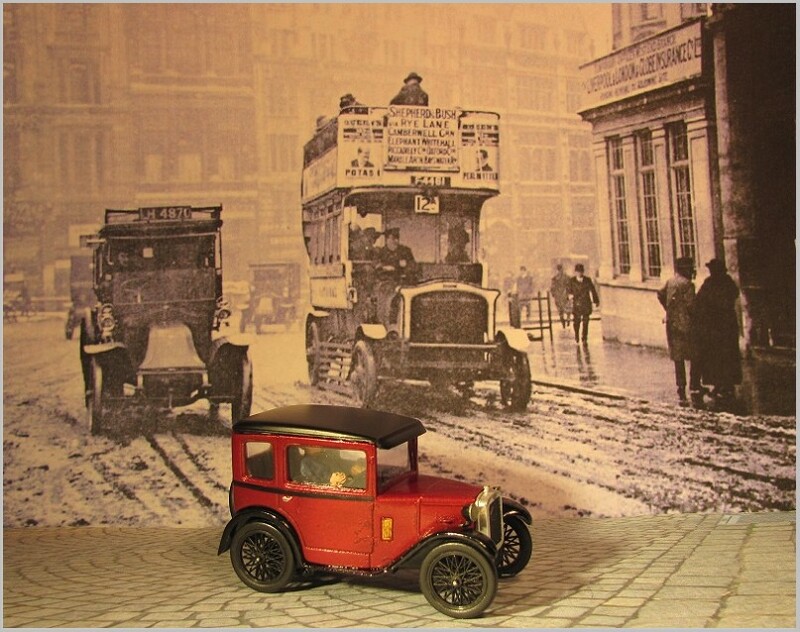 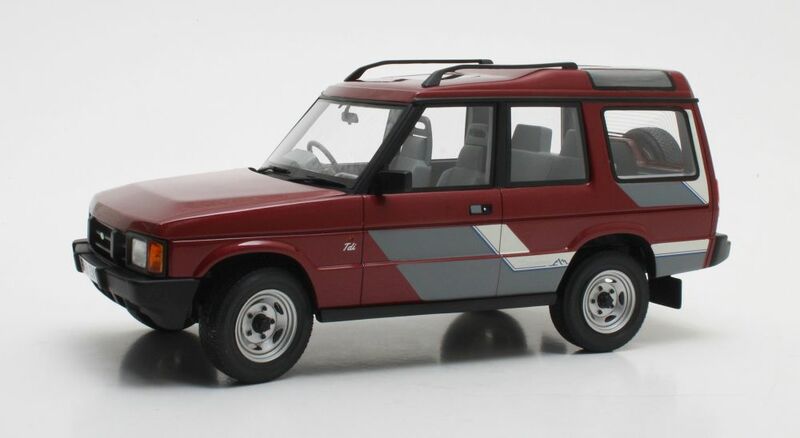 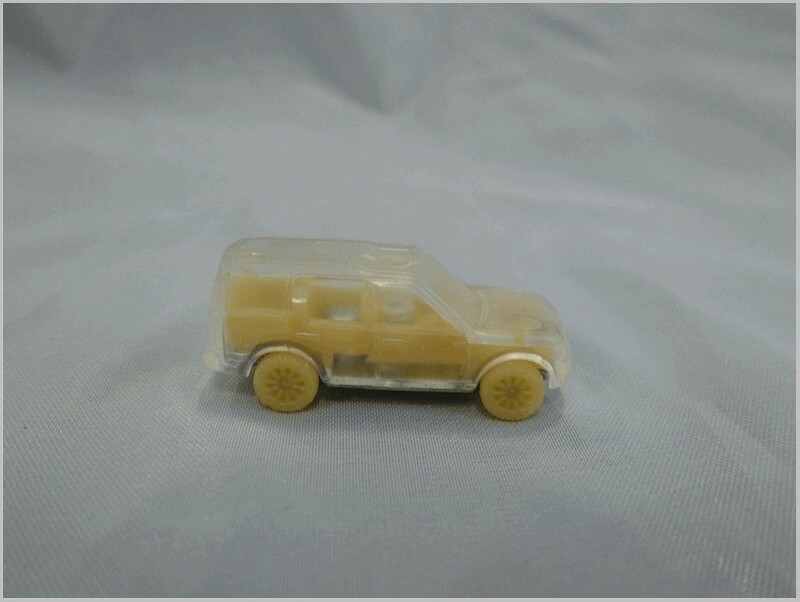 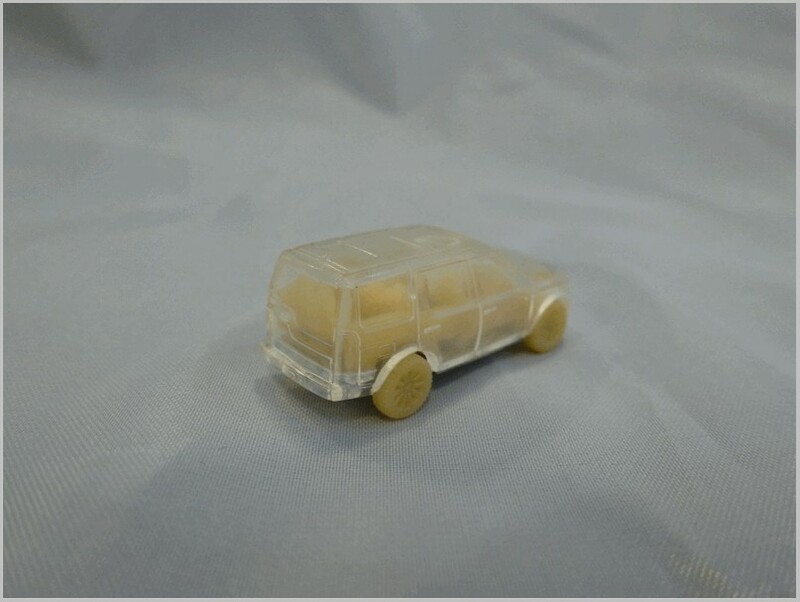 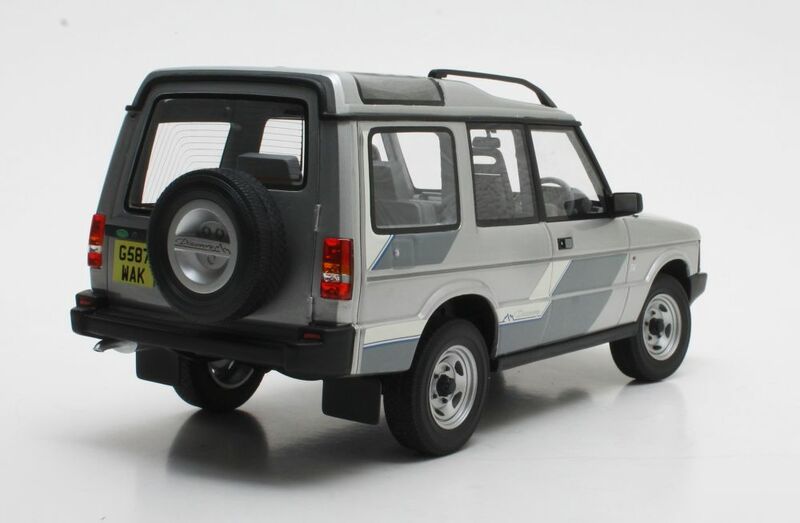 This model of an early Land Rover Discovery with the graphics printed on should prove popular. 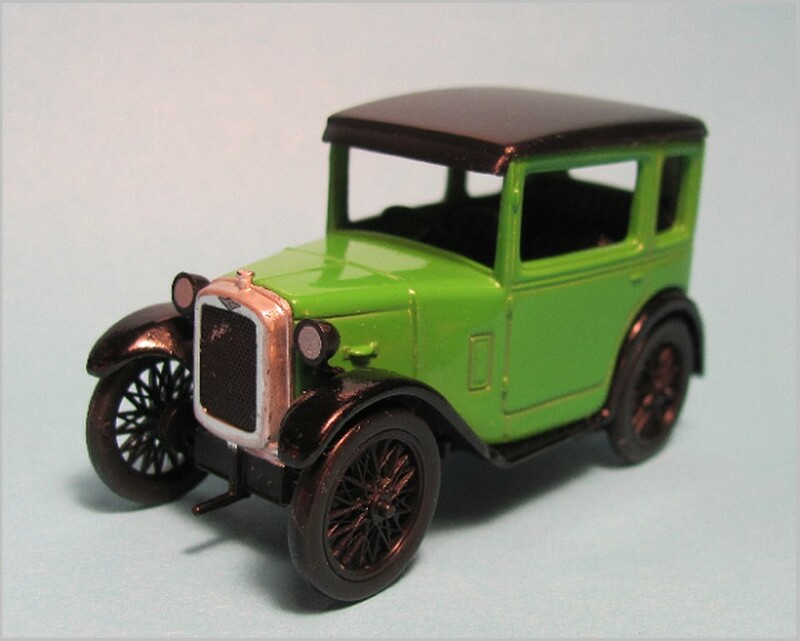 The wheels seem to be very accurate and the large areas of matt black also seem well printed. 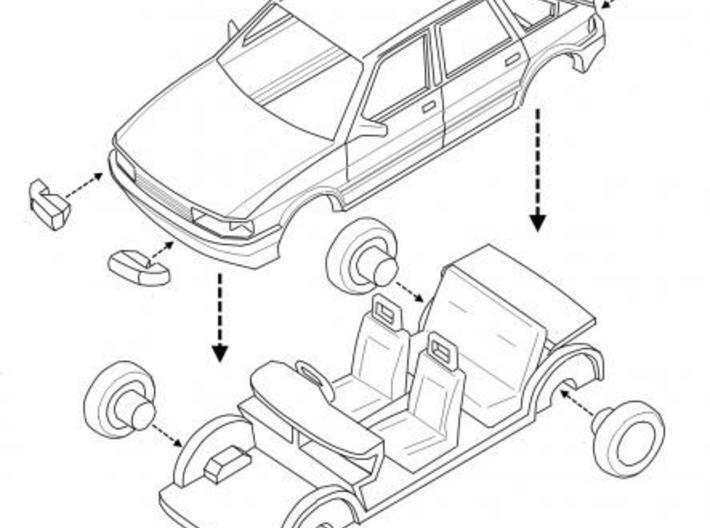 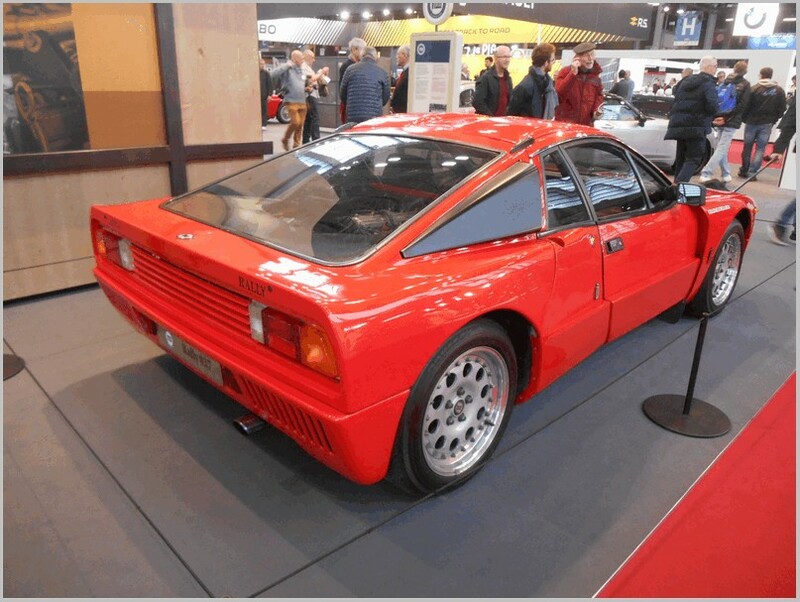 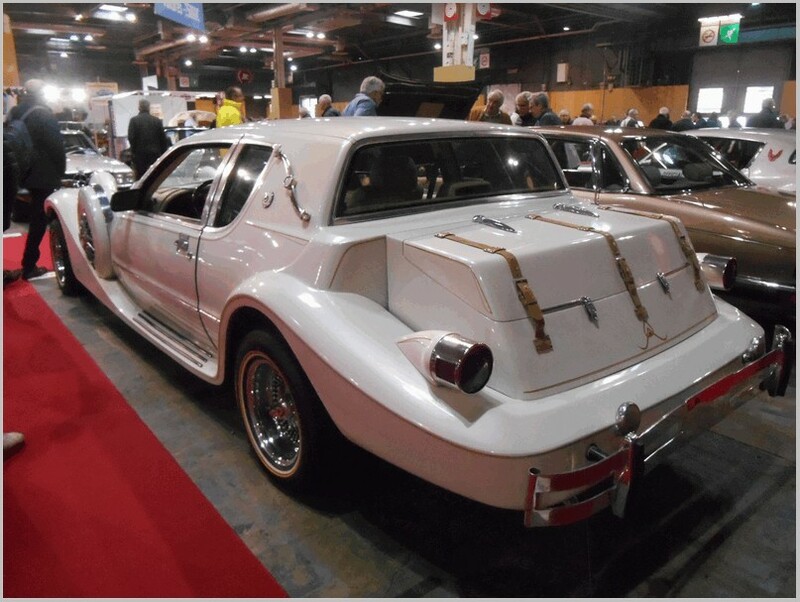 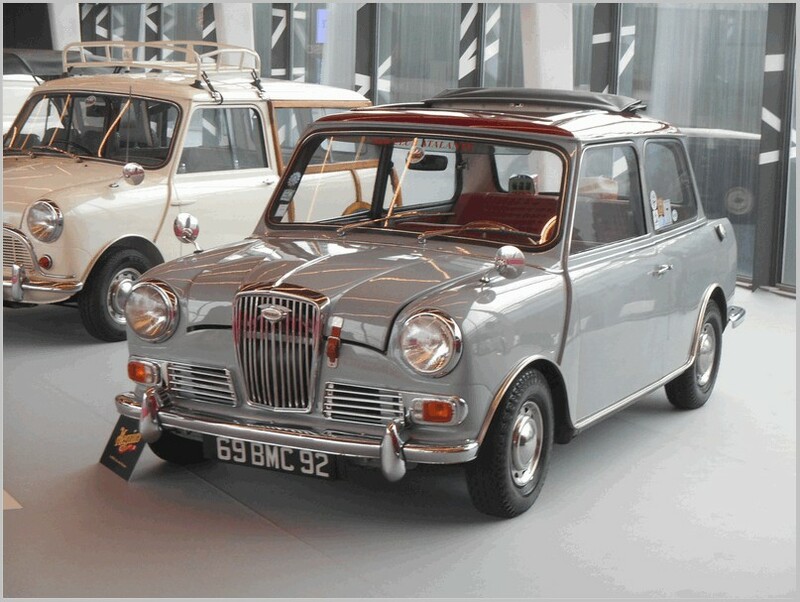 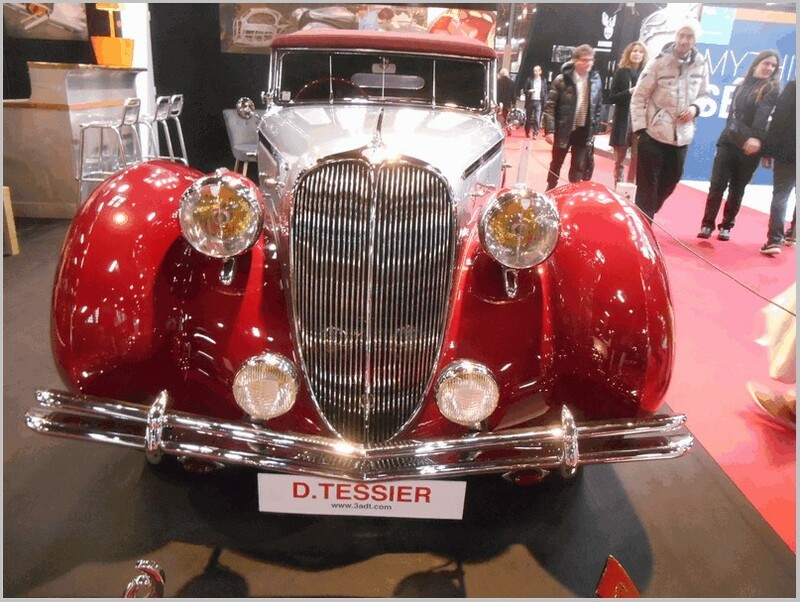 The car is a four door illustrated with right hand drive and the correct grille bars for the 1100. 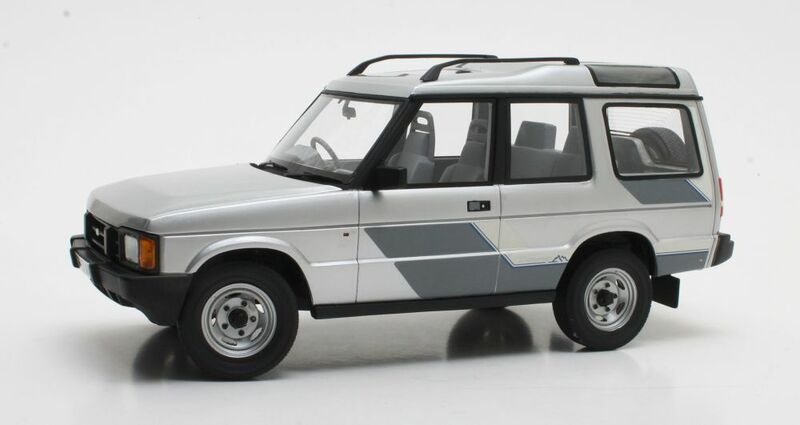 I don’t believe that the name “Glider” was ever used on a UK car, though looking at the web shows it was used and perhaps in the Netherlands as most of the references using this name seem to be Dutch. 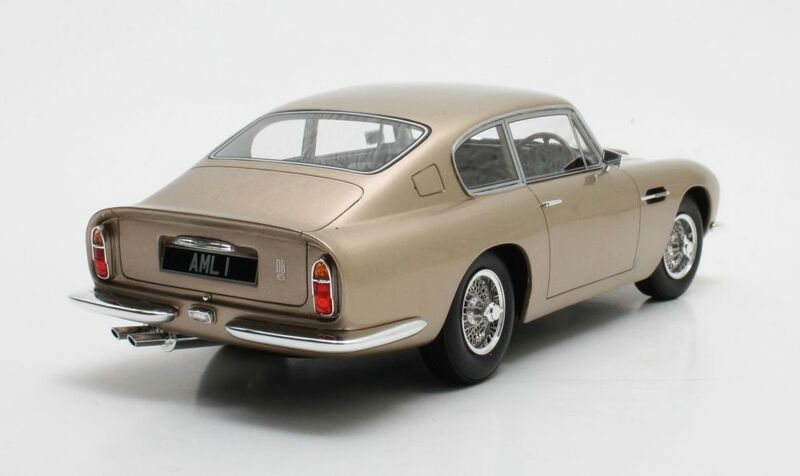 The model seems to capture the shape well and though the colour is certainly authentic the Author wishes they had done it in another colour. 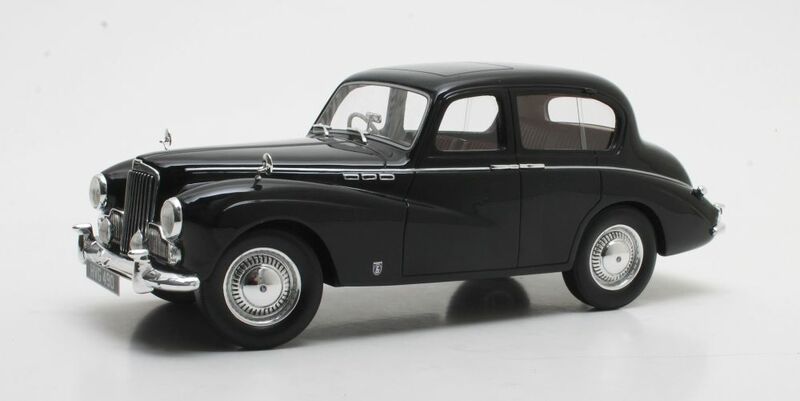 From 1953 the former Sunbeam -Talbot 90 was marketed by Rootes Group as the Sunbeam Mark III. 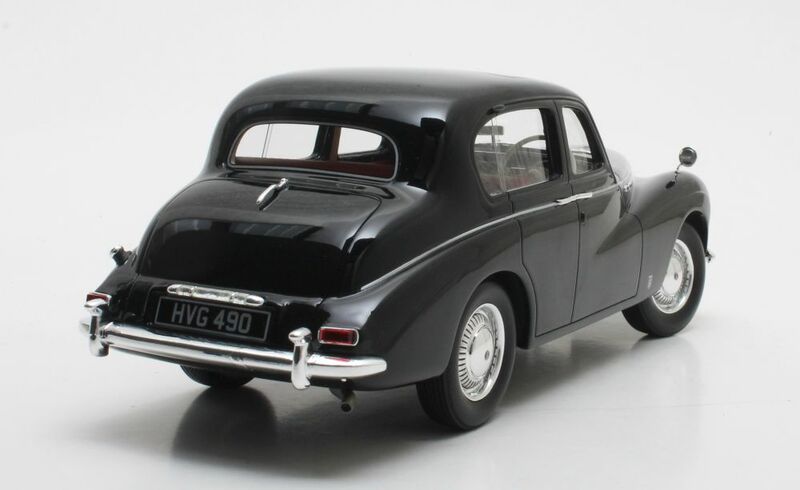 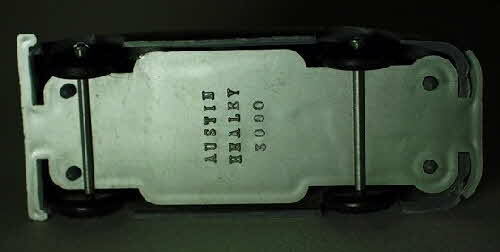 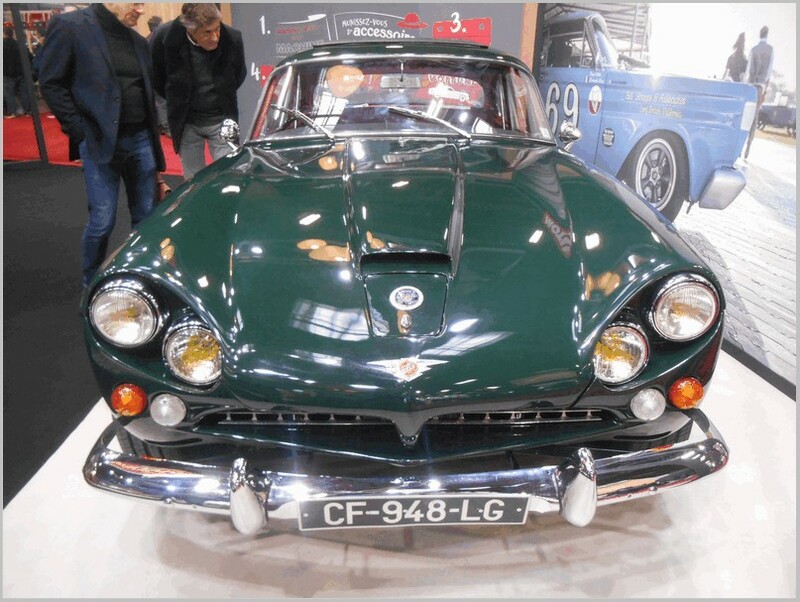 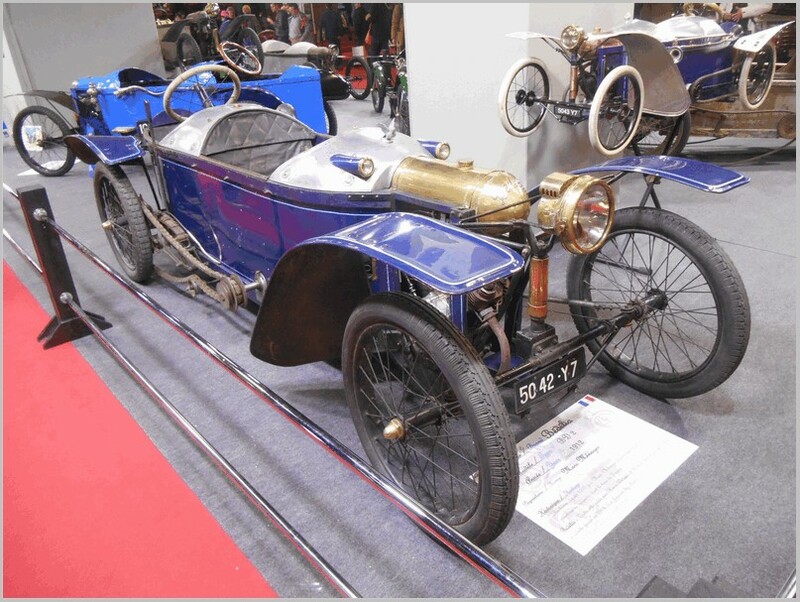 On the radiator shell instead of “Sunbeam Talbot” used on previous versions “Sunbeam Supreme” was to be seen. 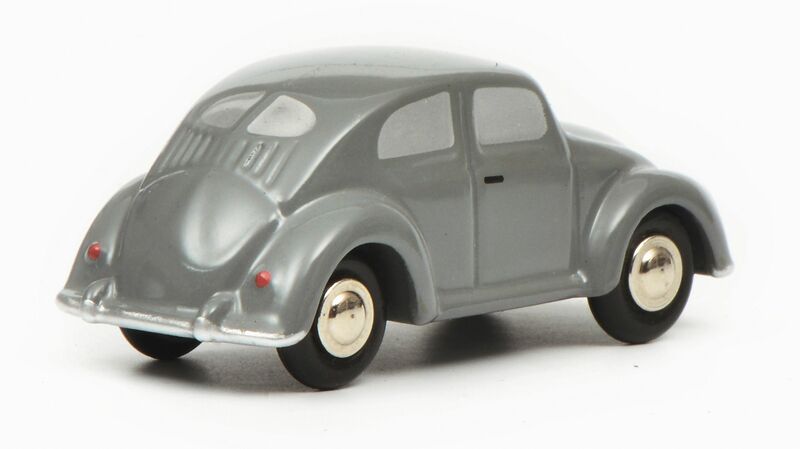 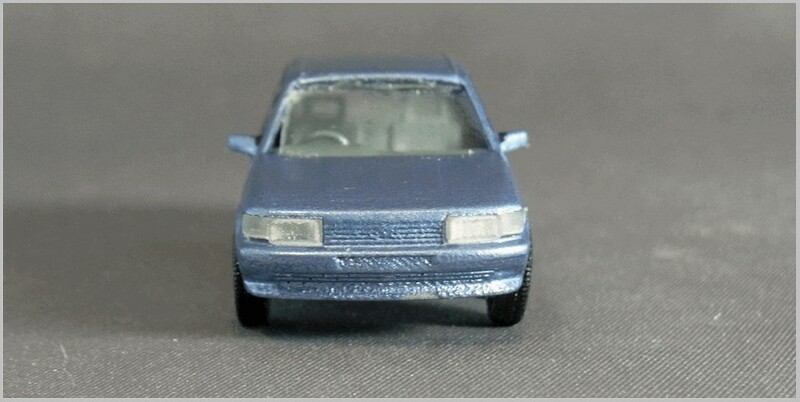 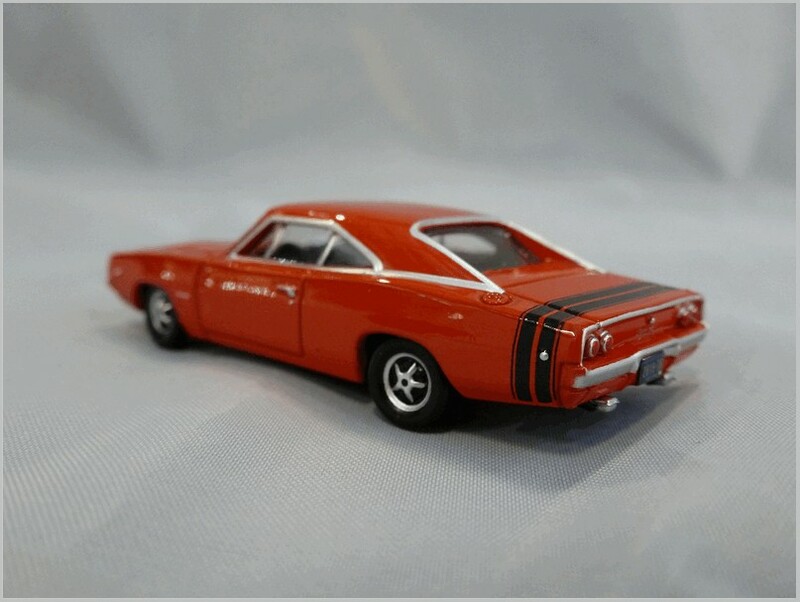 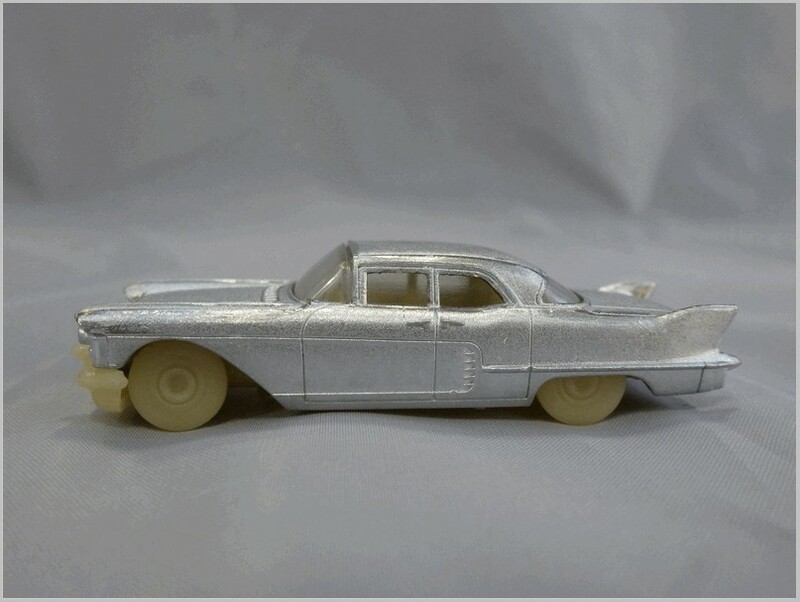 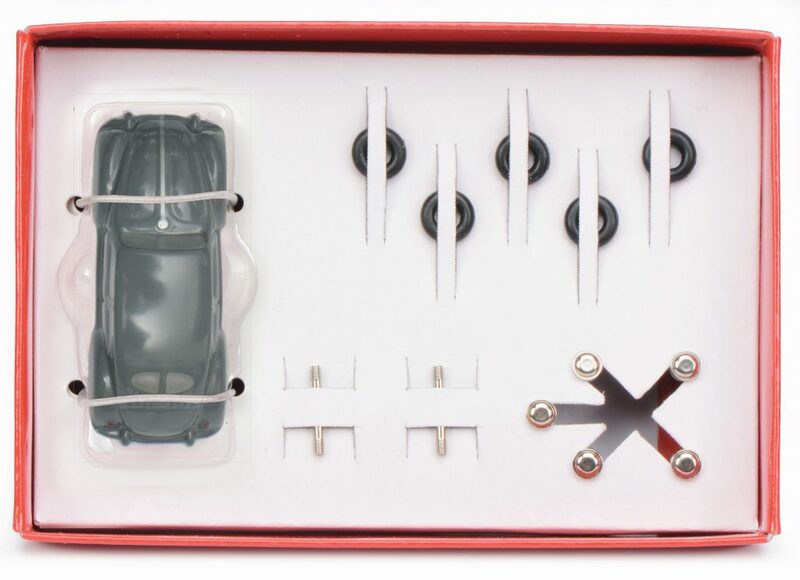 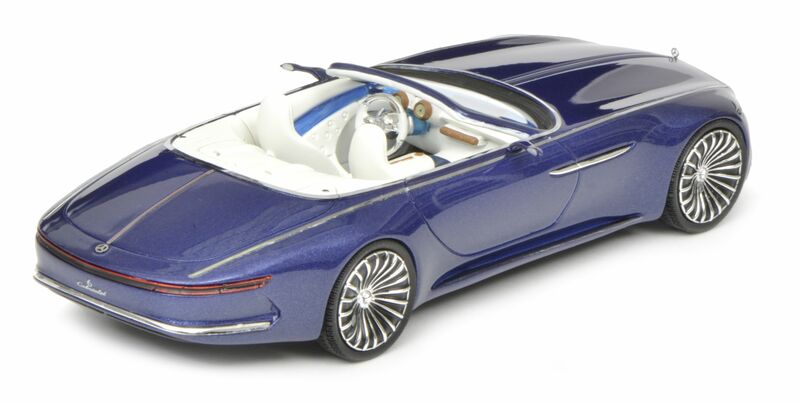 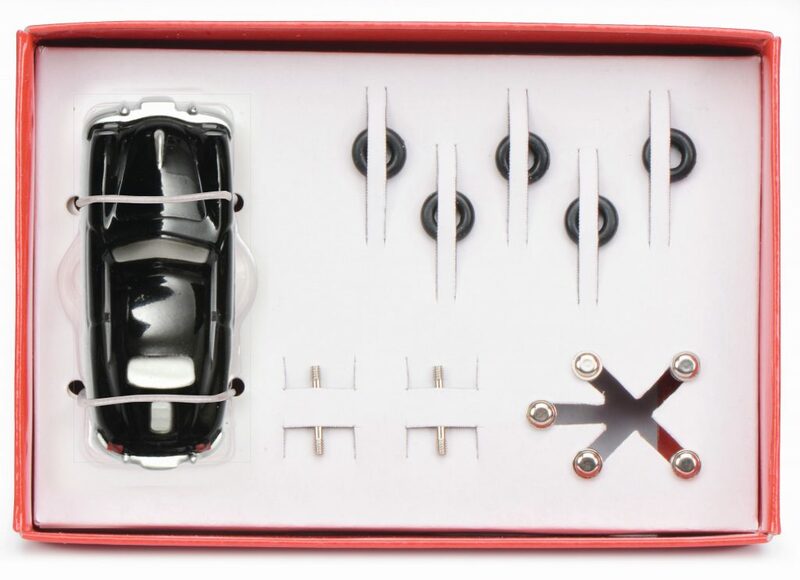 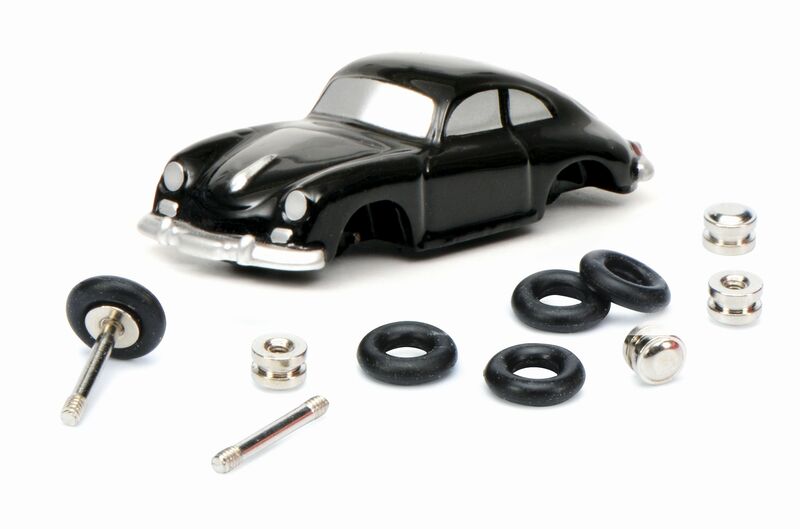 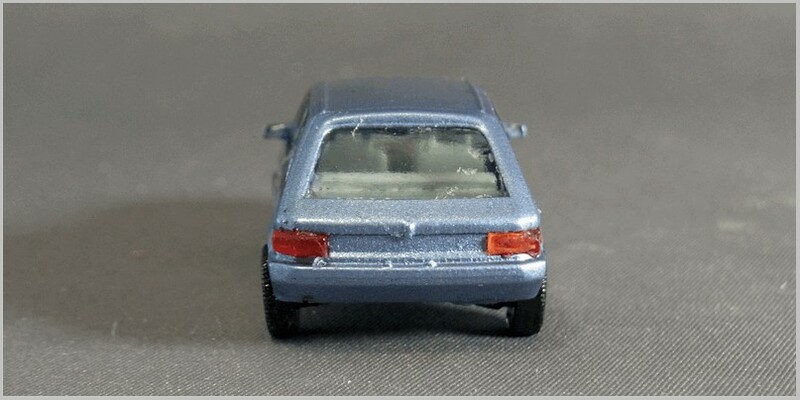 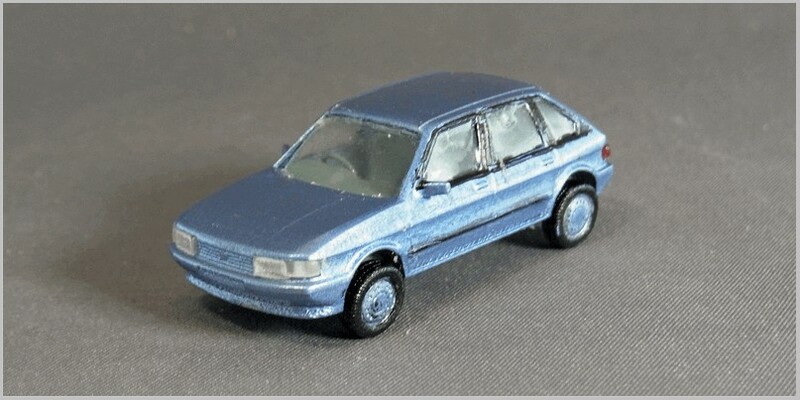 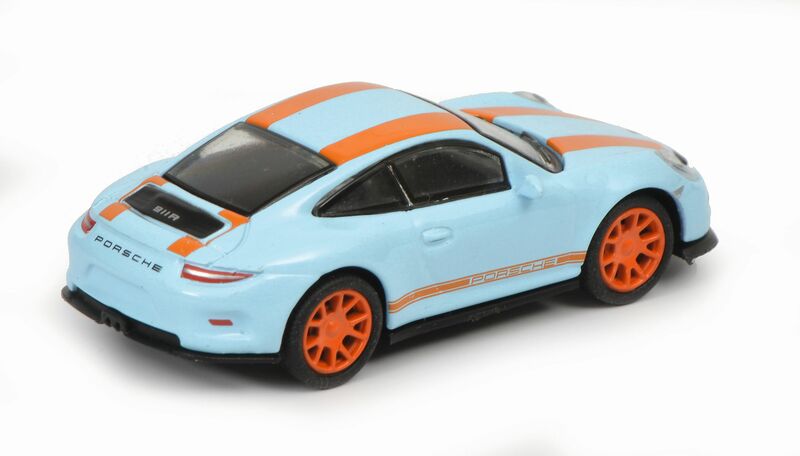 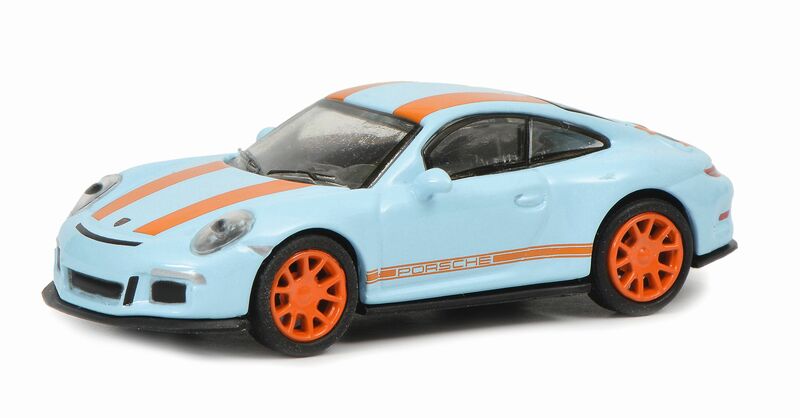 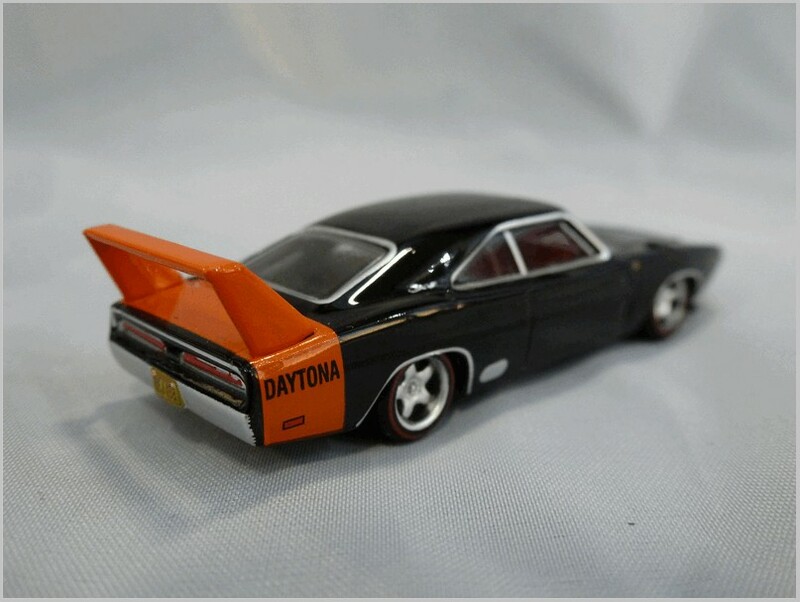 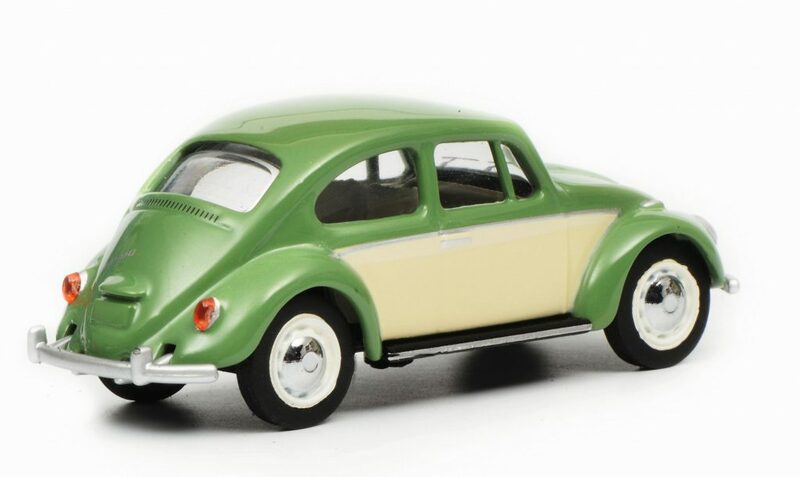 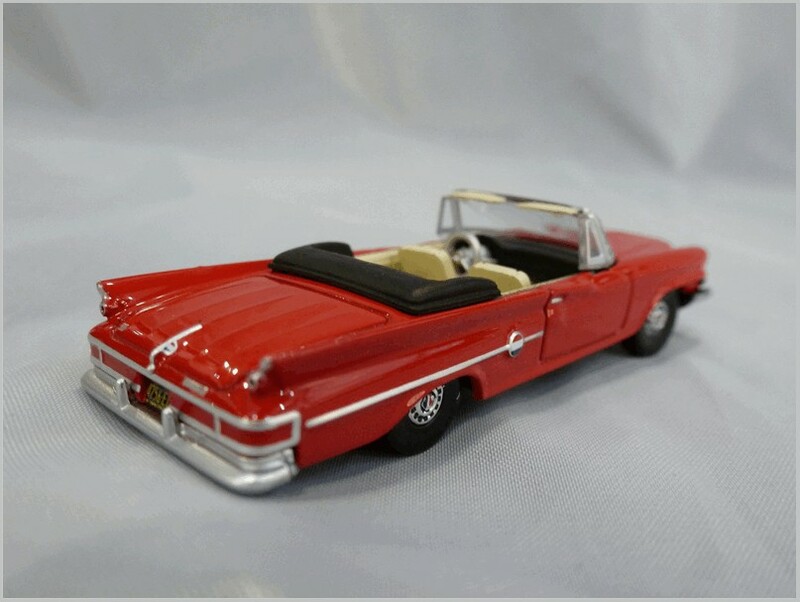 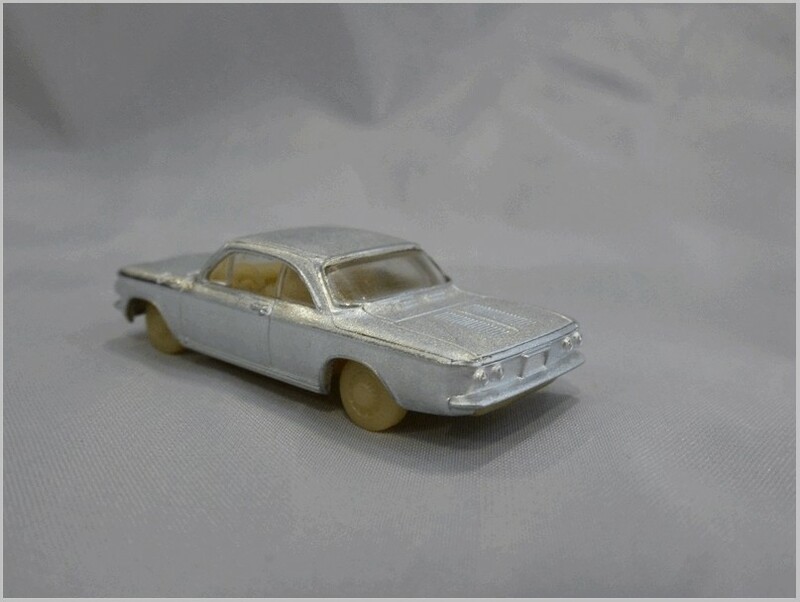 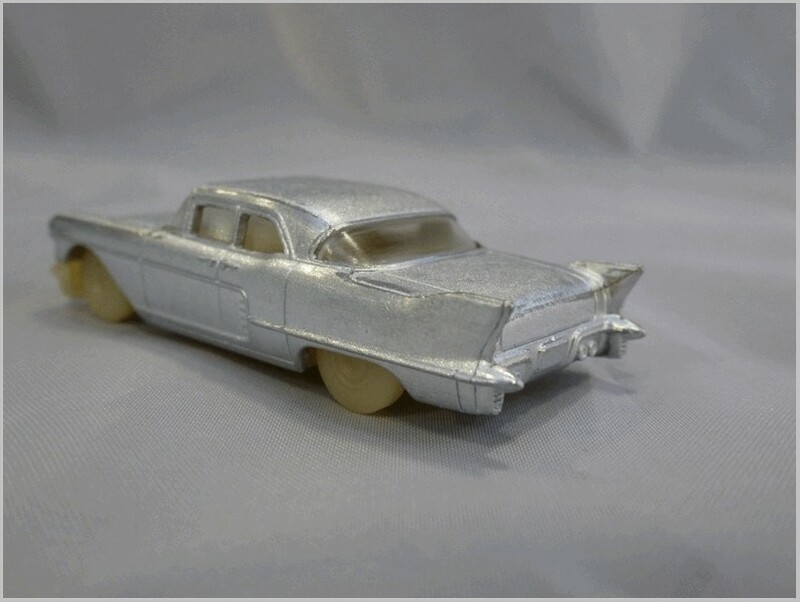 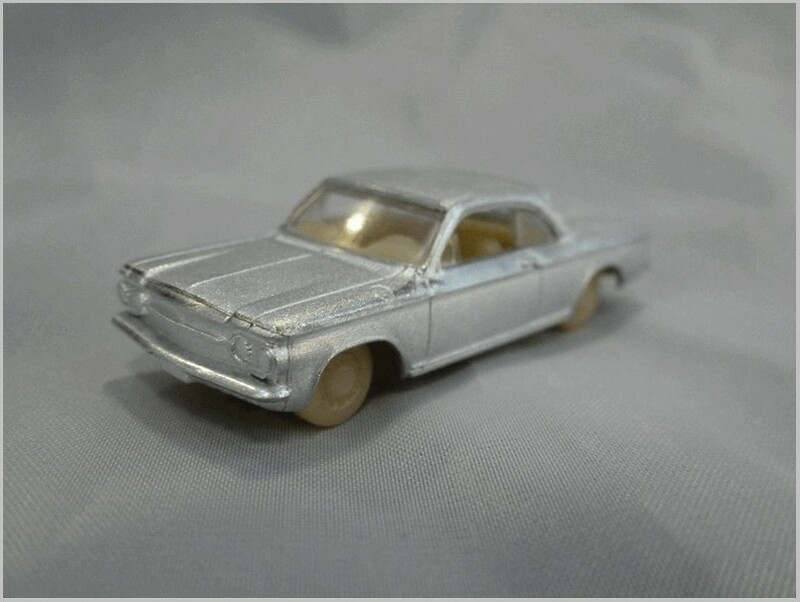 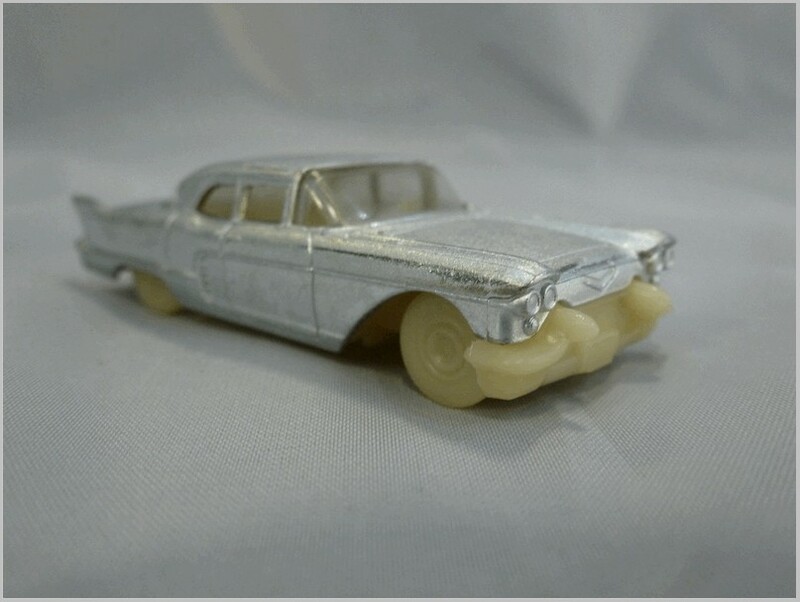 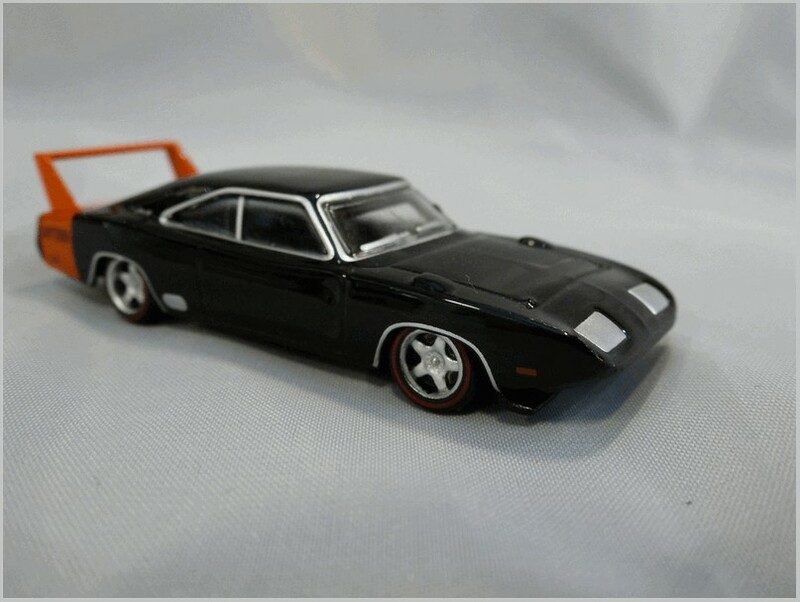 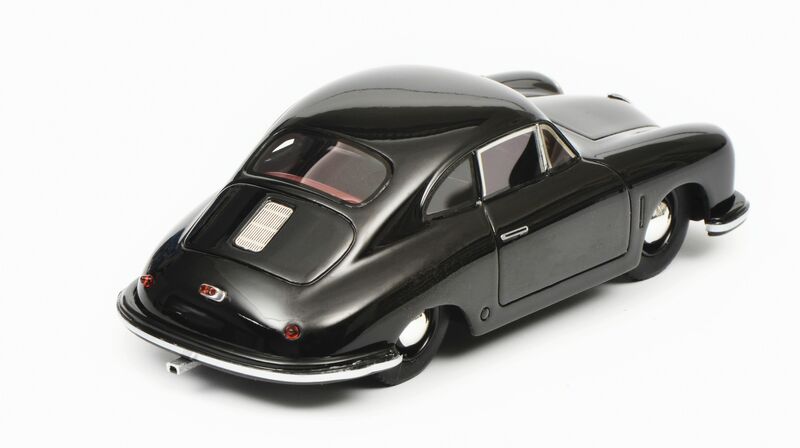 This model captures the cars shape well and again the wheels seem to be neatly represented as does the chrome belt line. 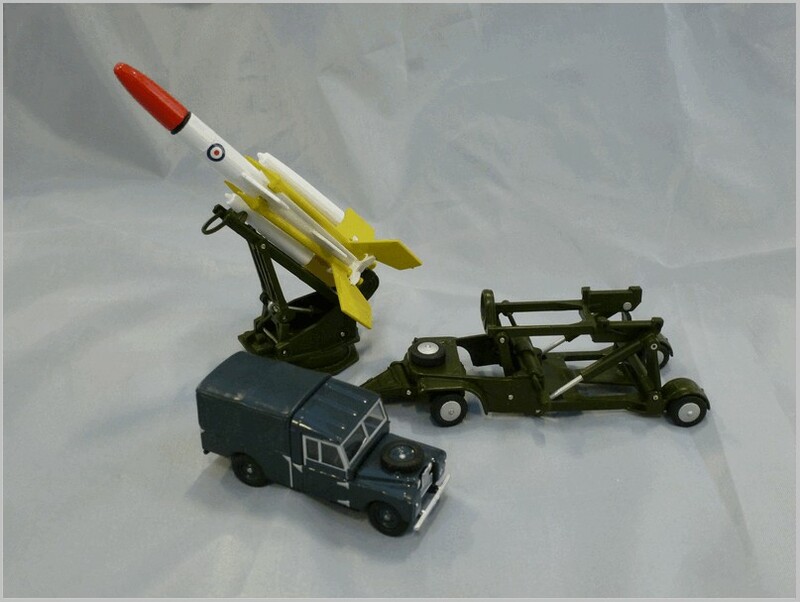 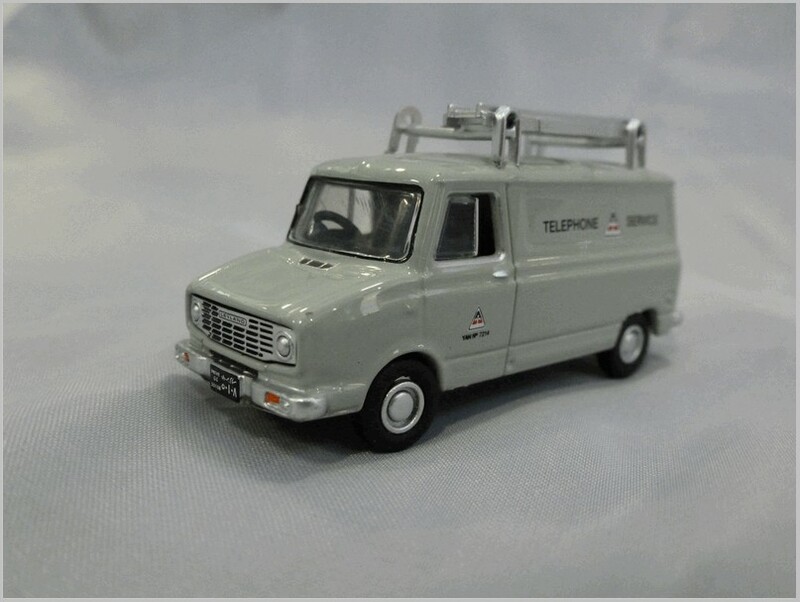 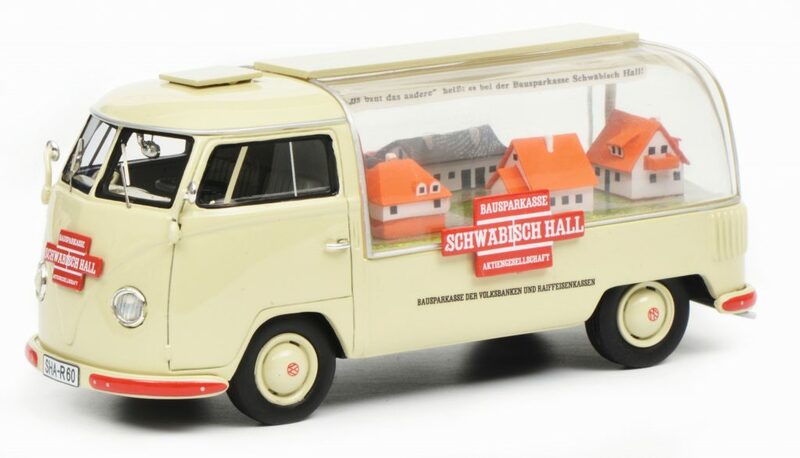 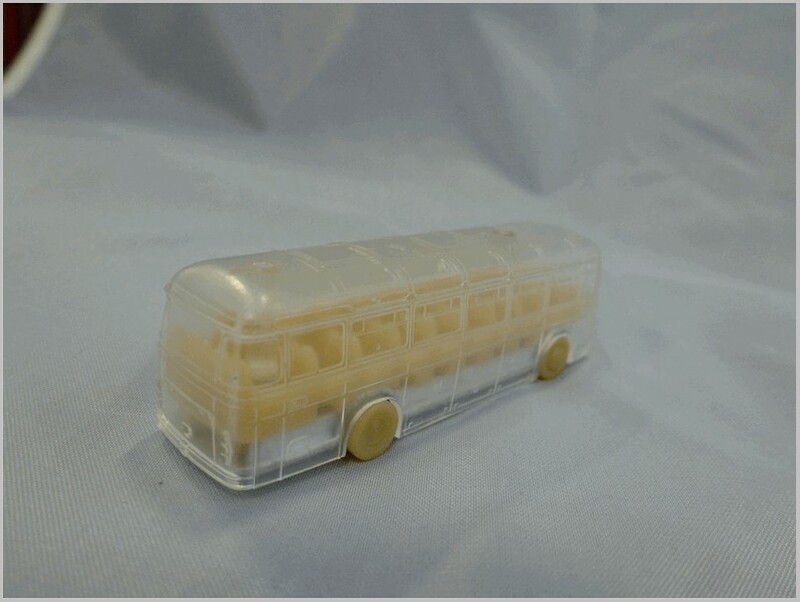 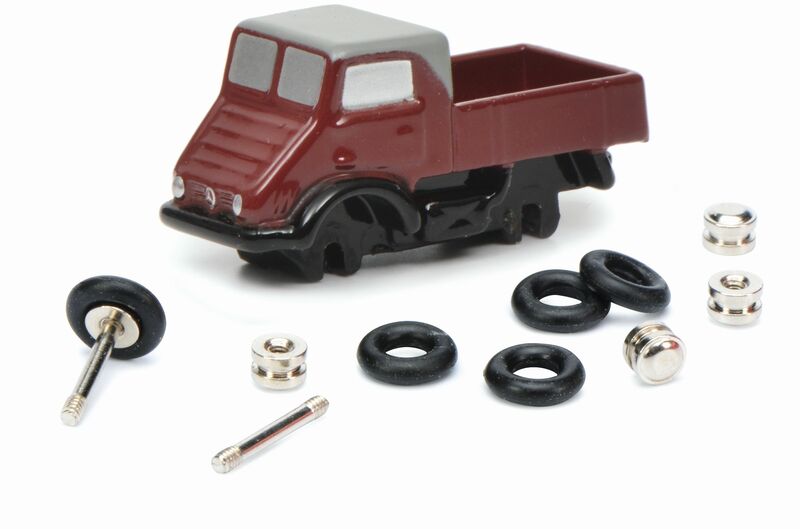 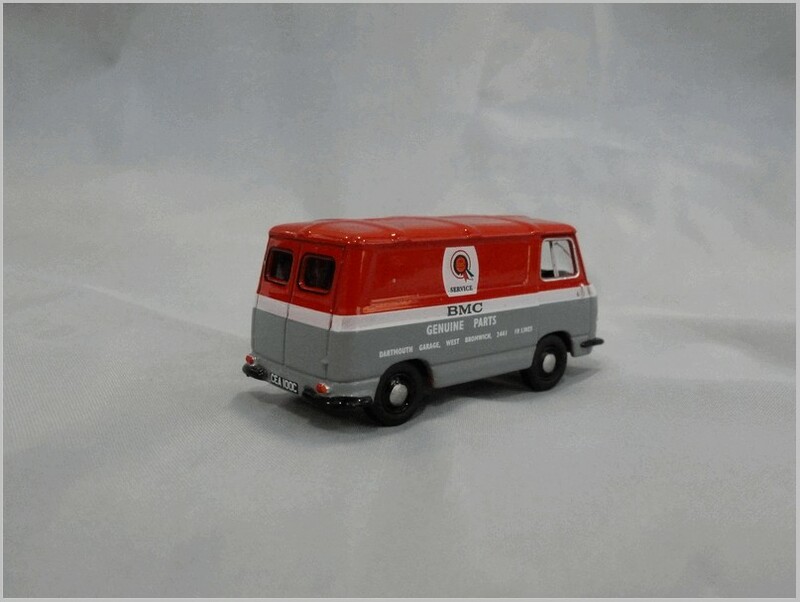 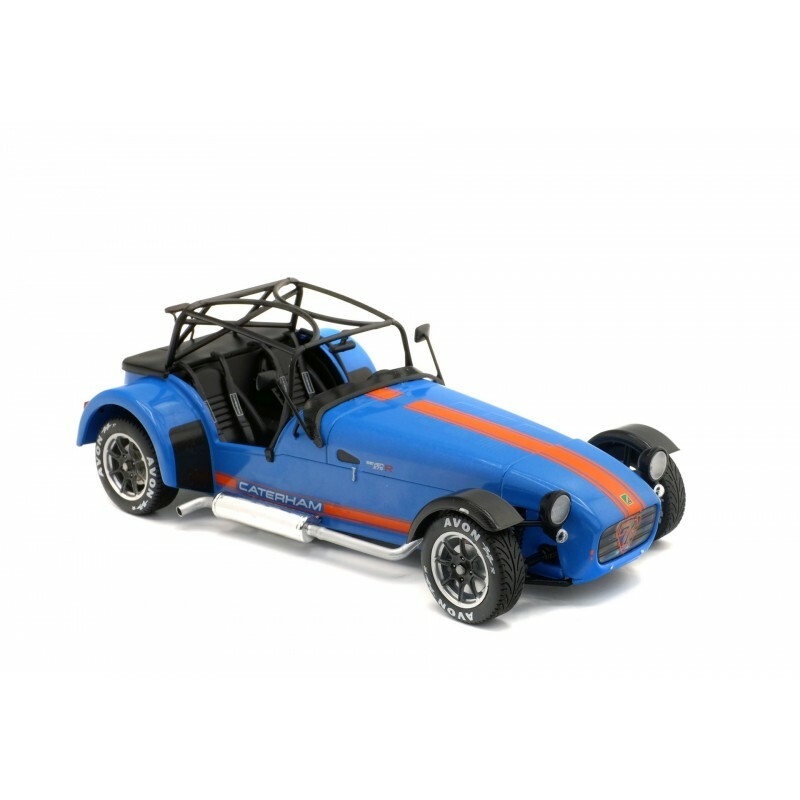 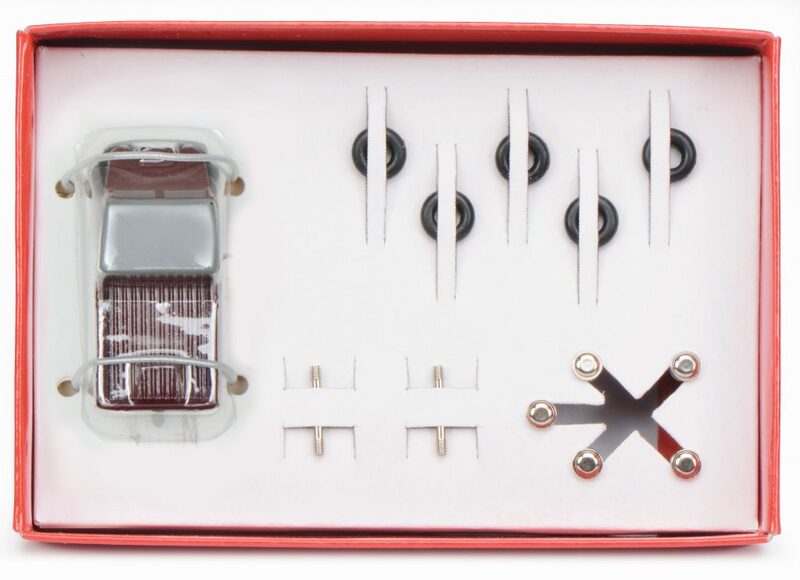 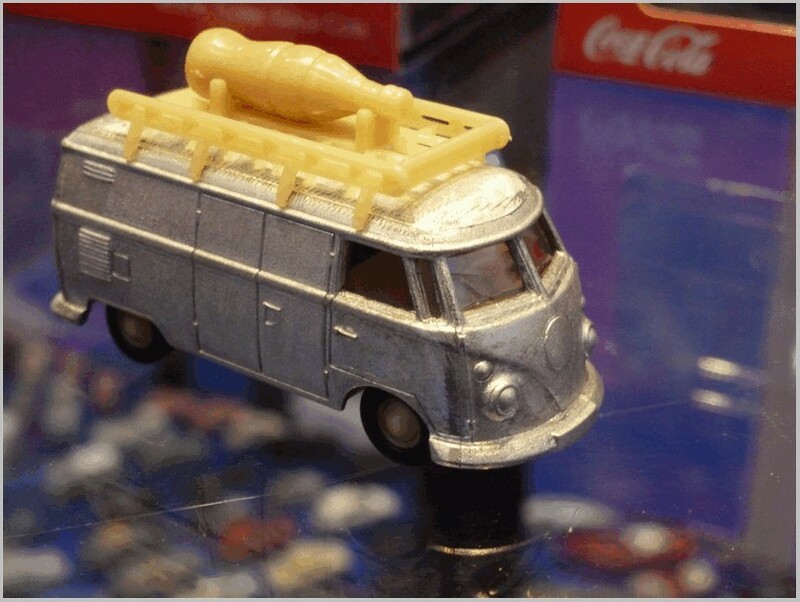 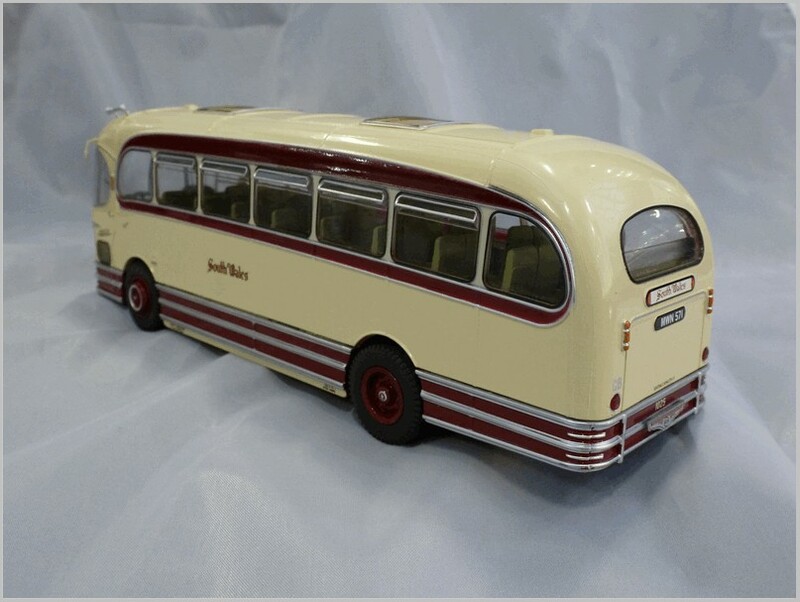 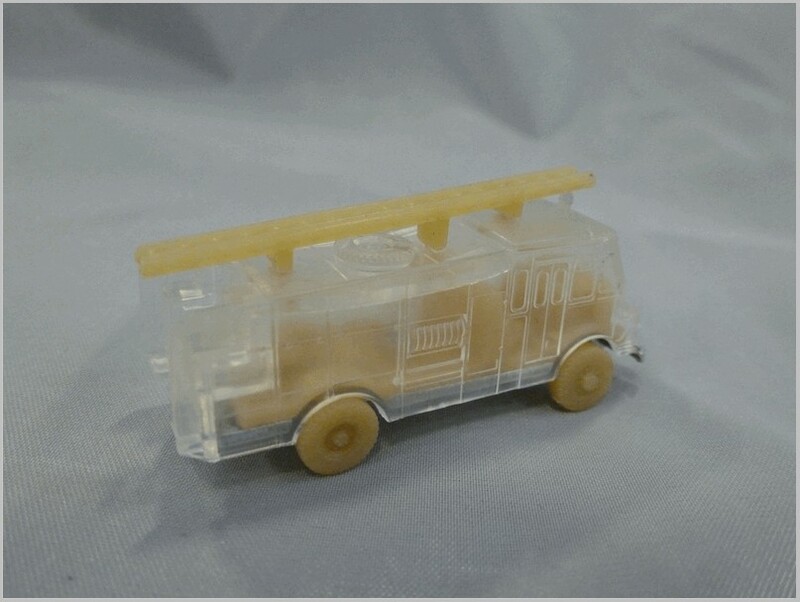 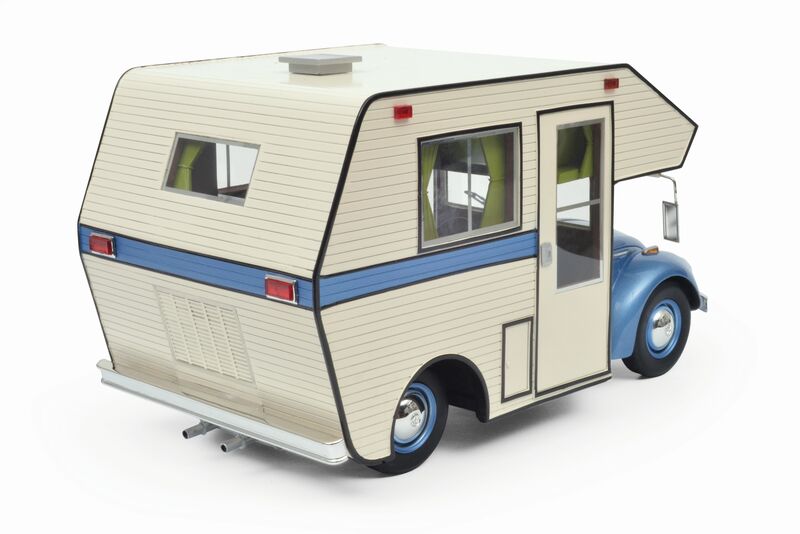 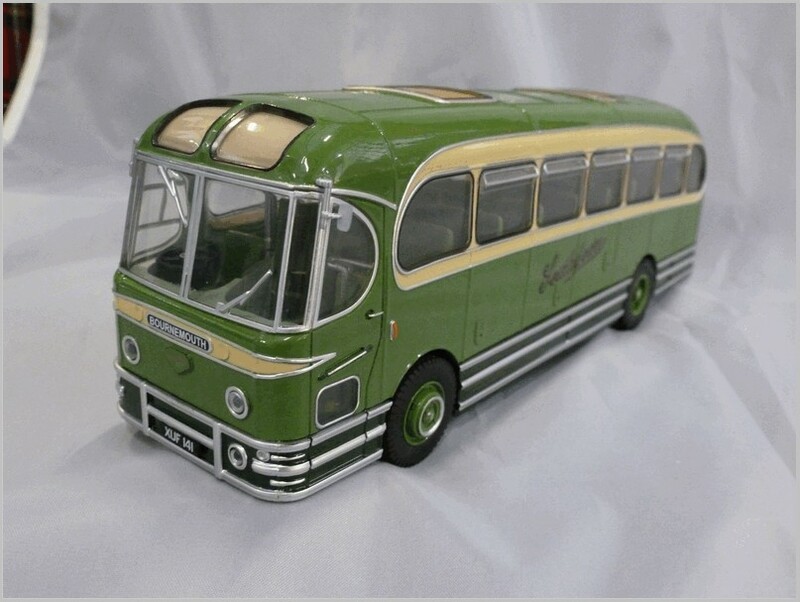 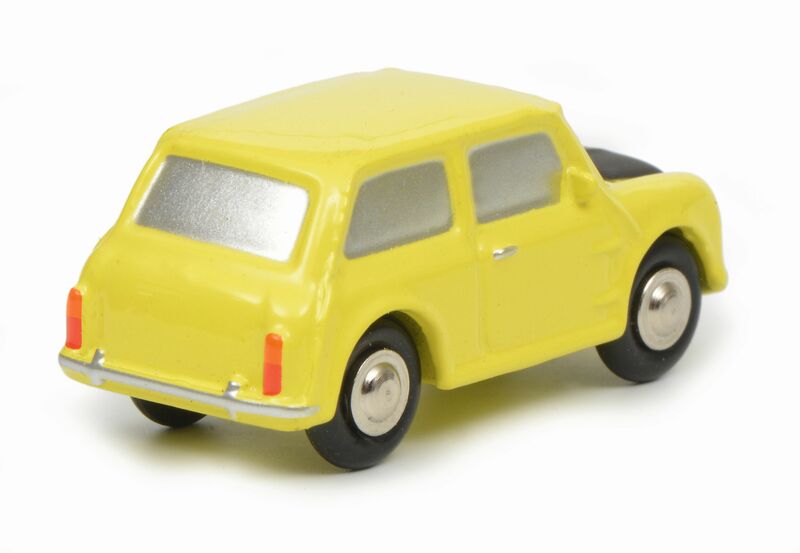 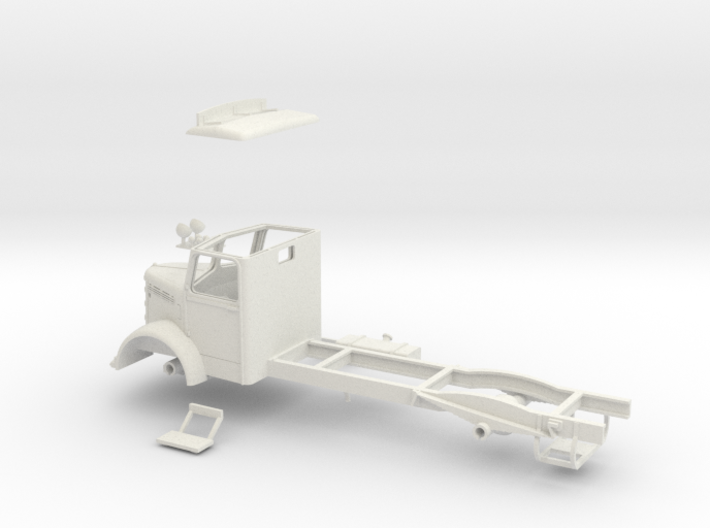 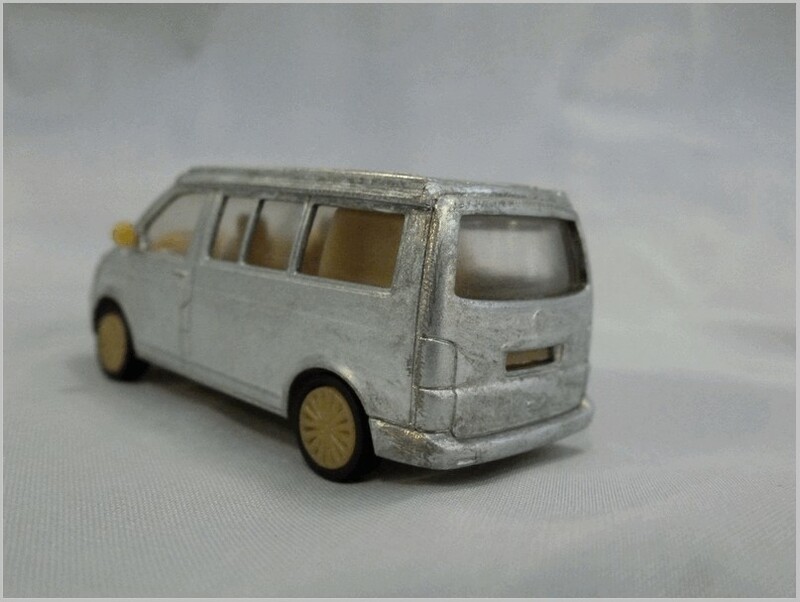 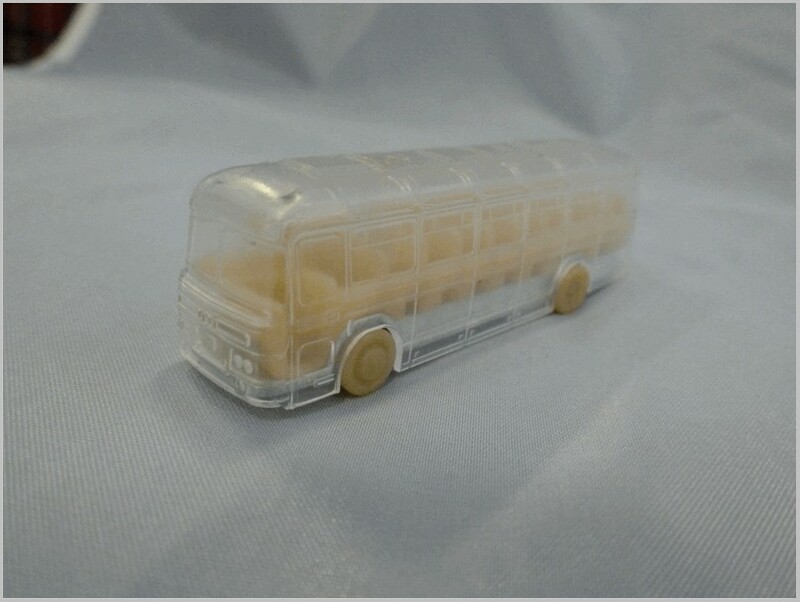 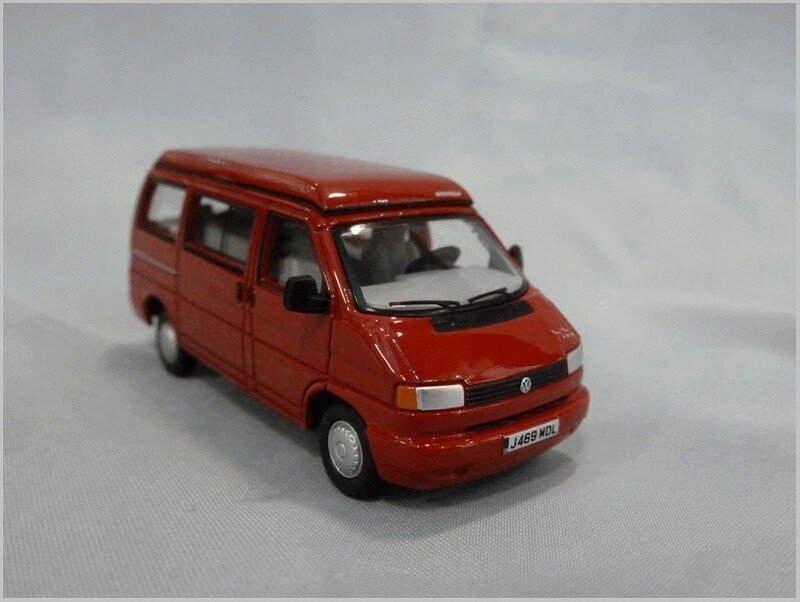 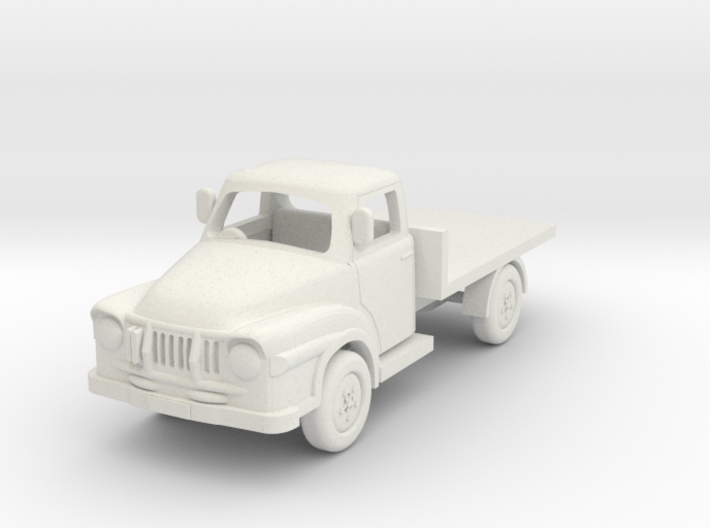 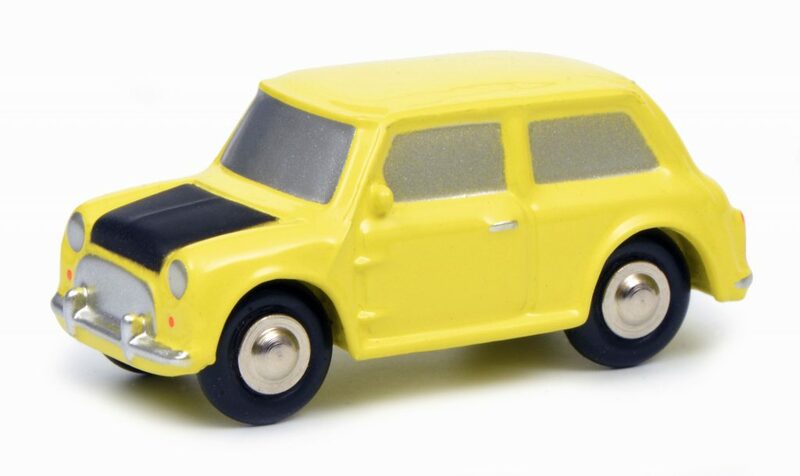 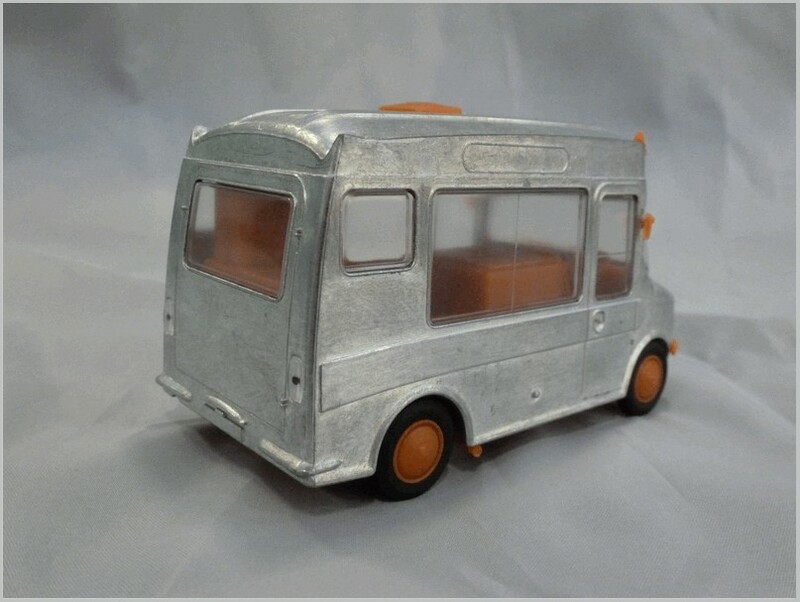 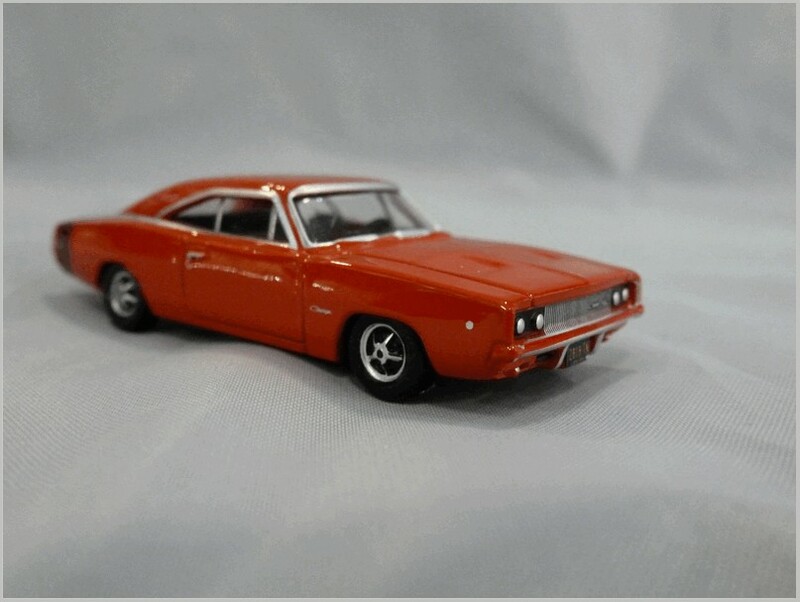 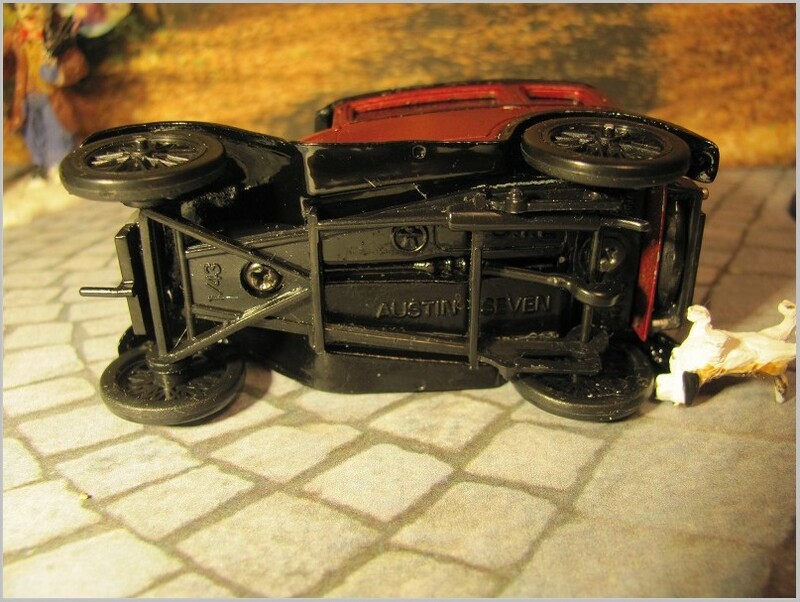 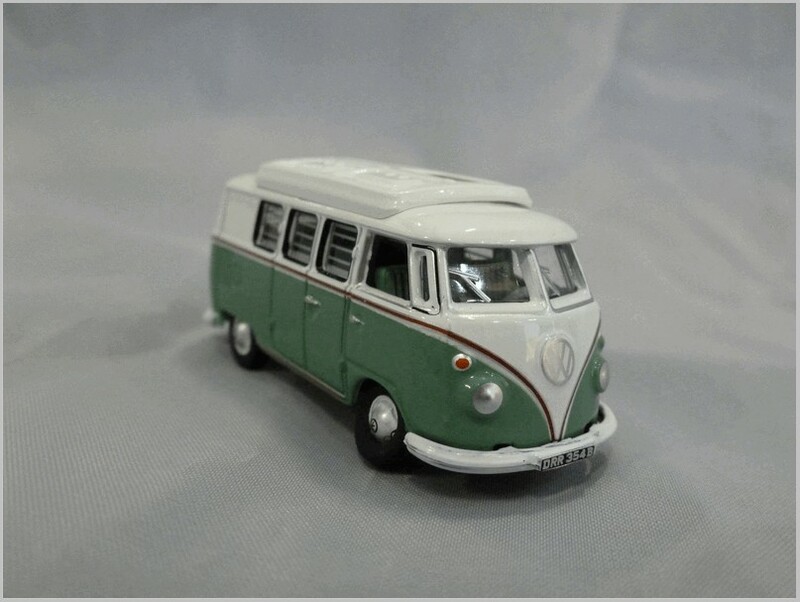 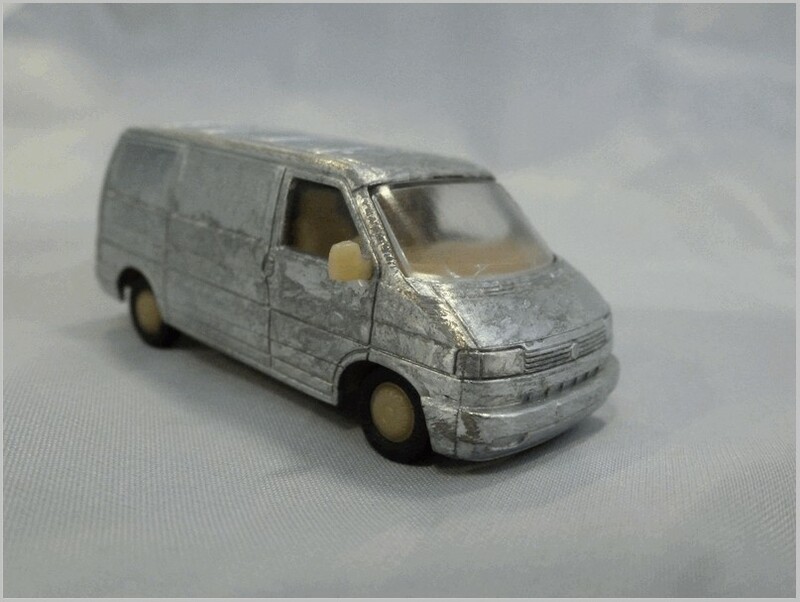 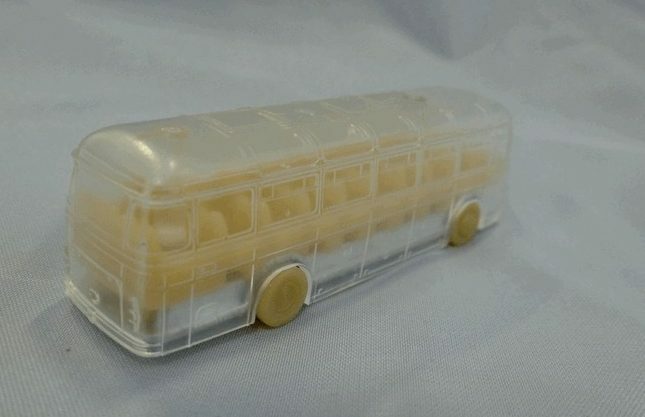 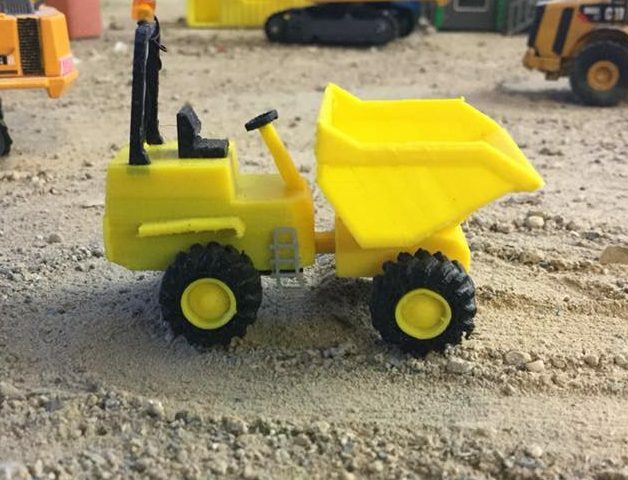 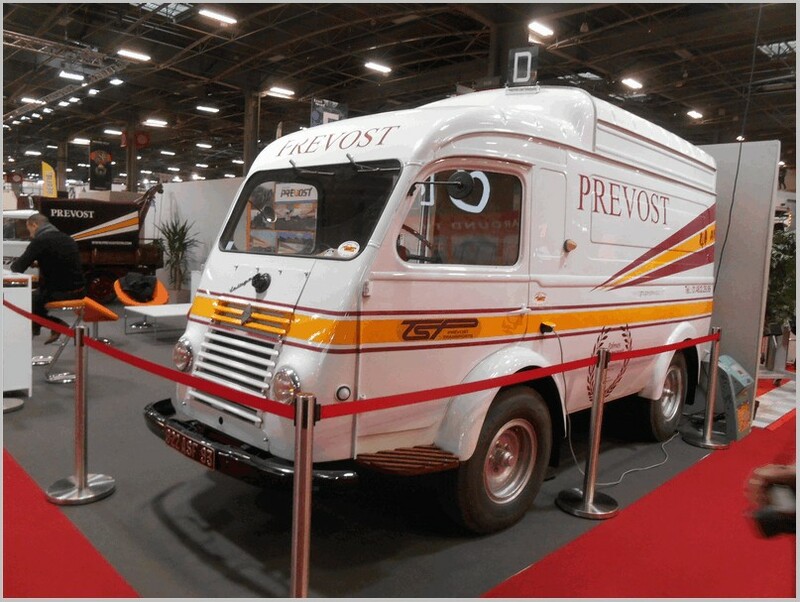 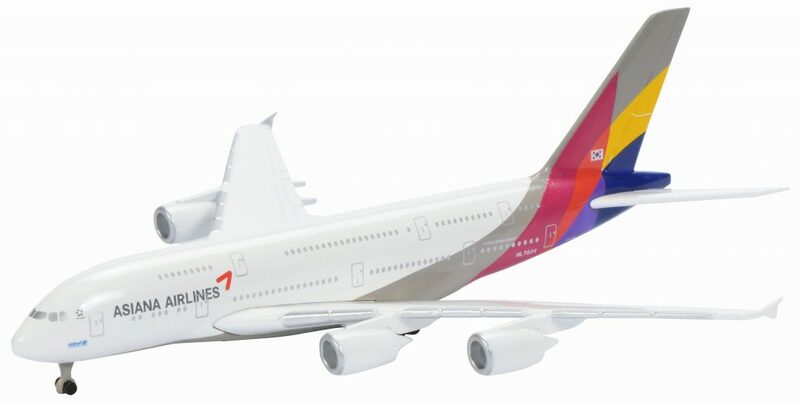 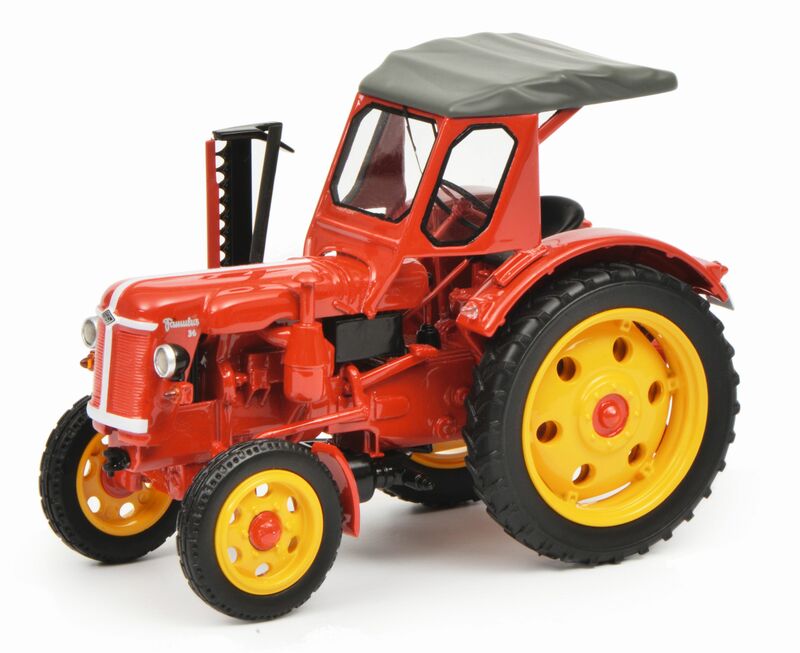 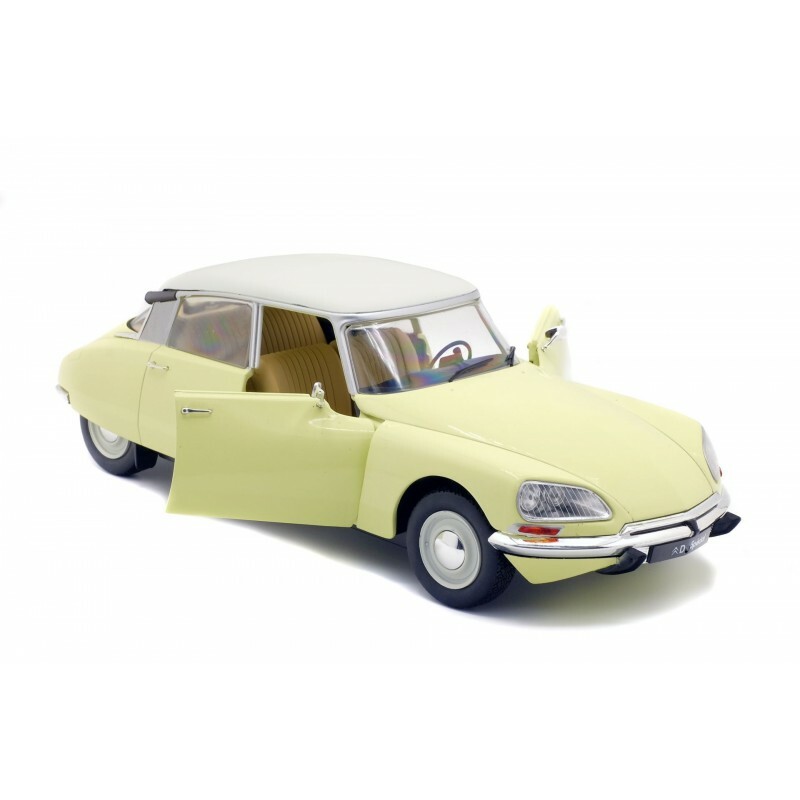 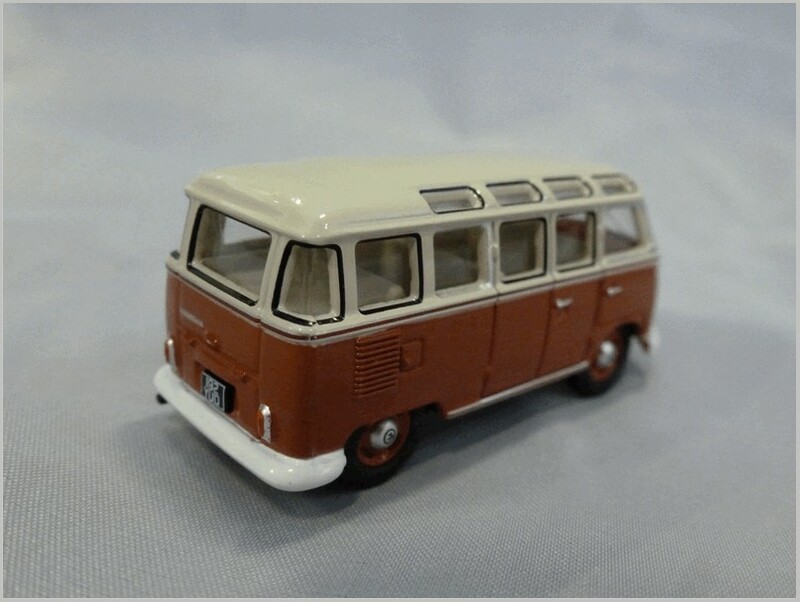 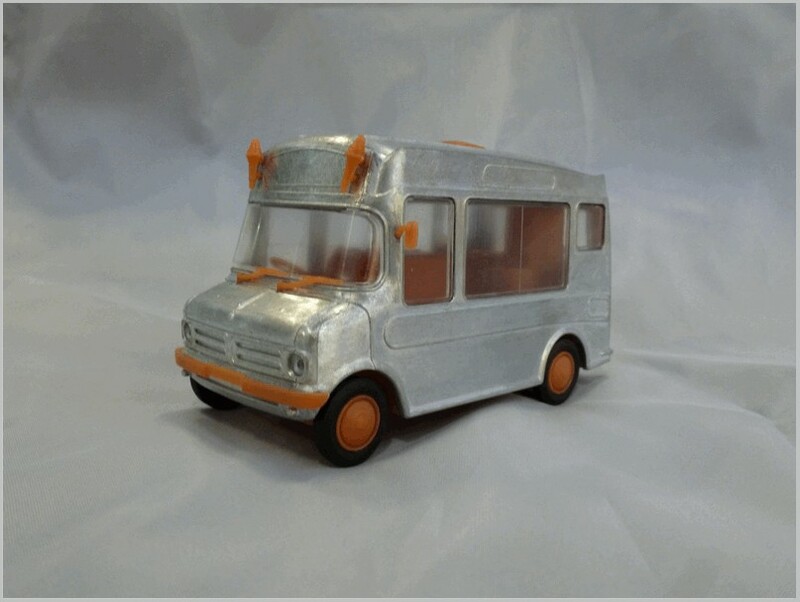 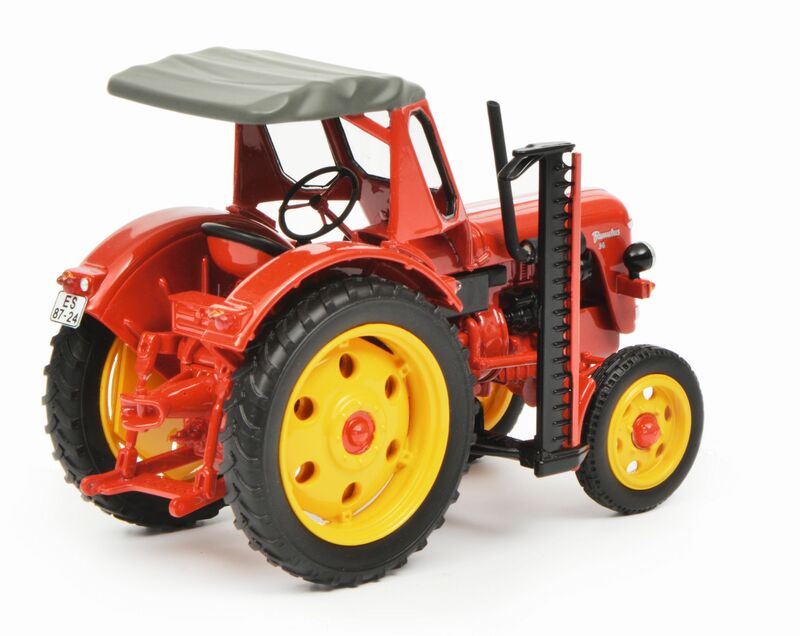 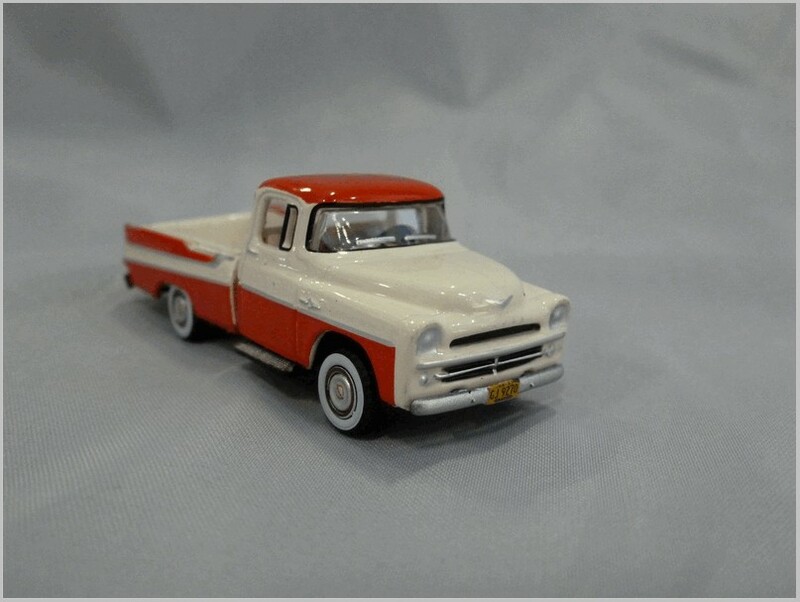 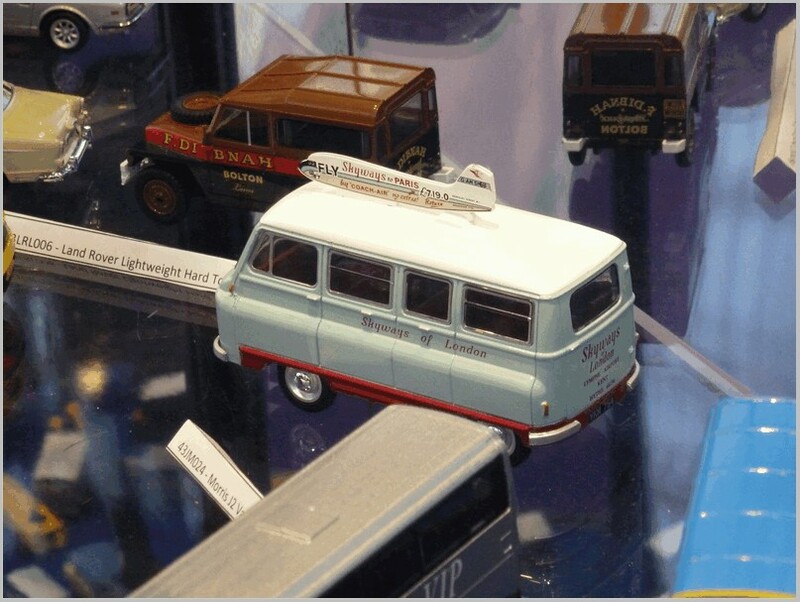 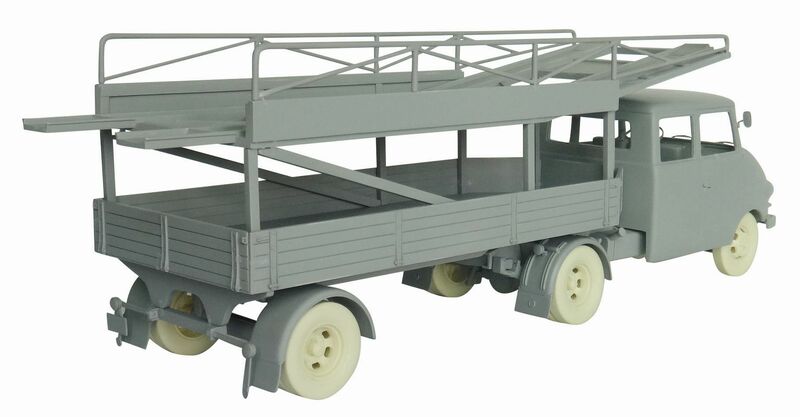 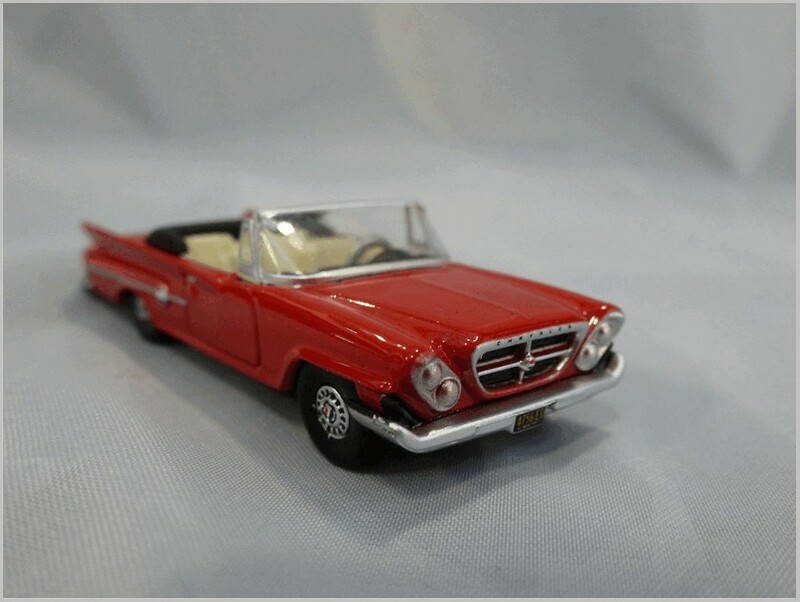 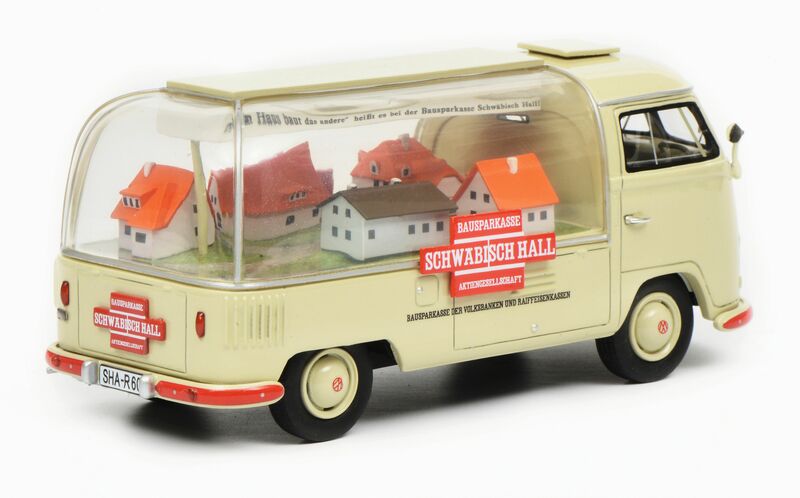 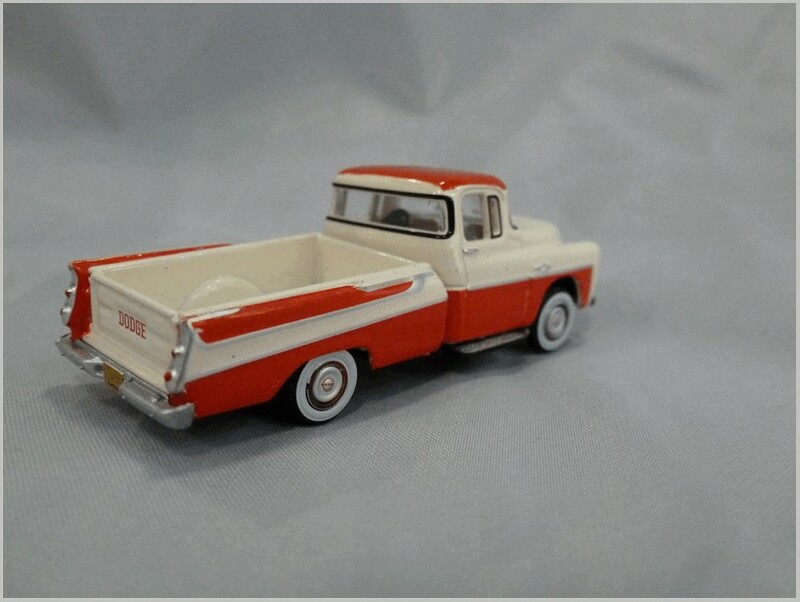 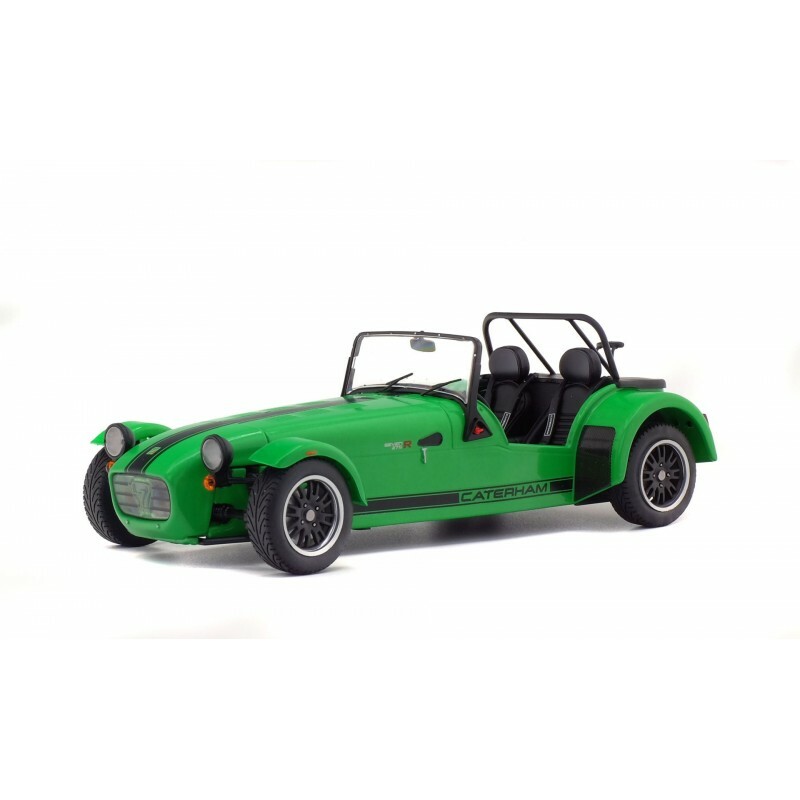 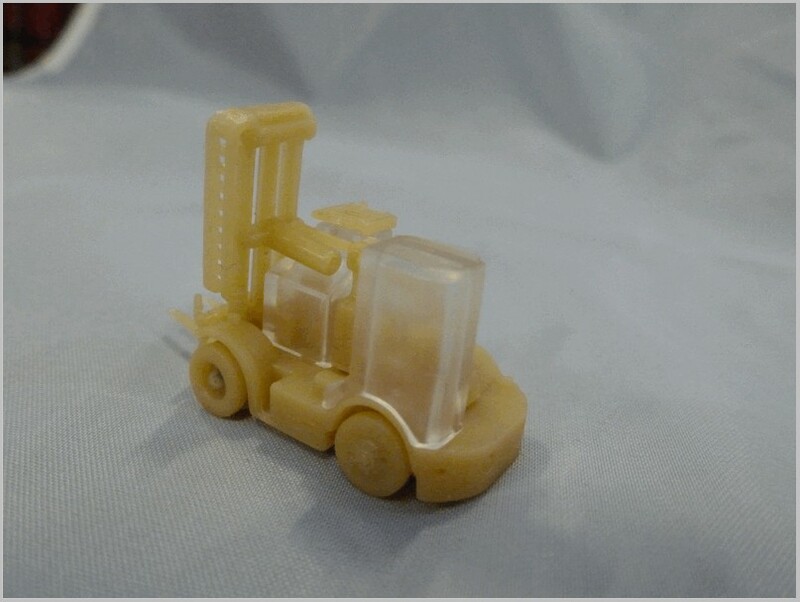 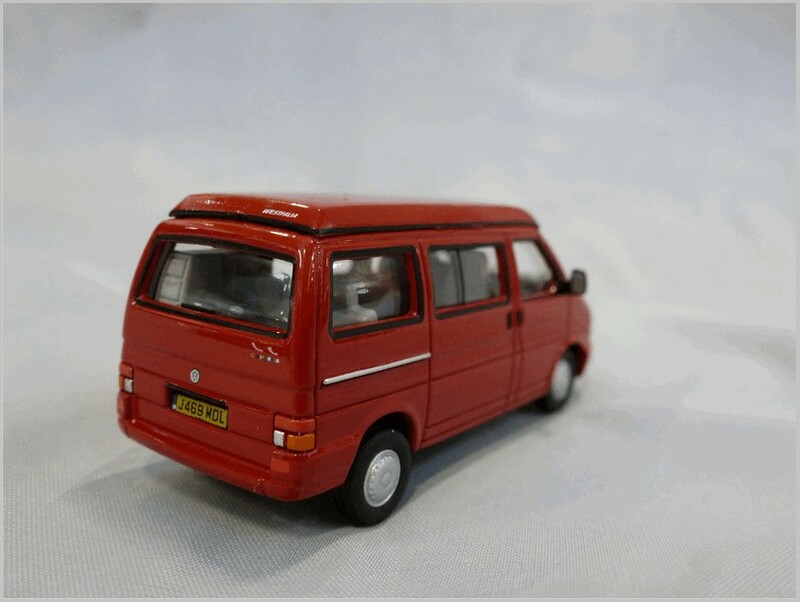 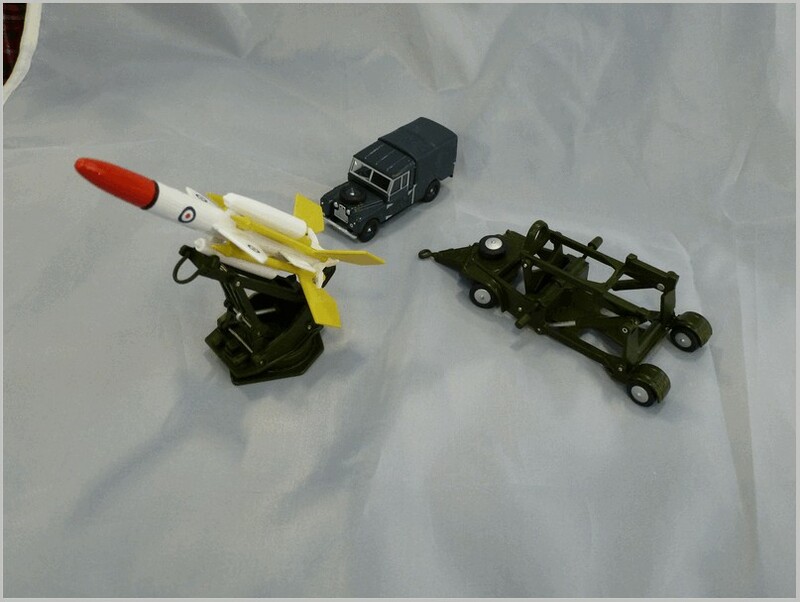 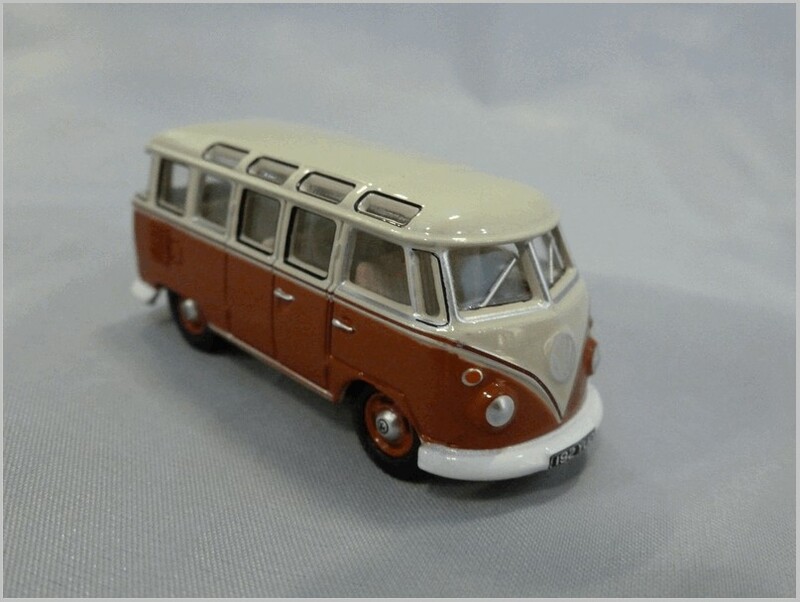 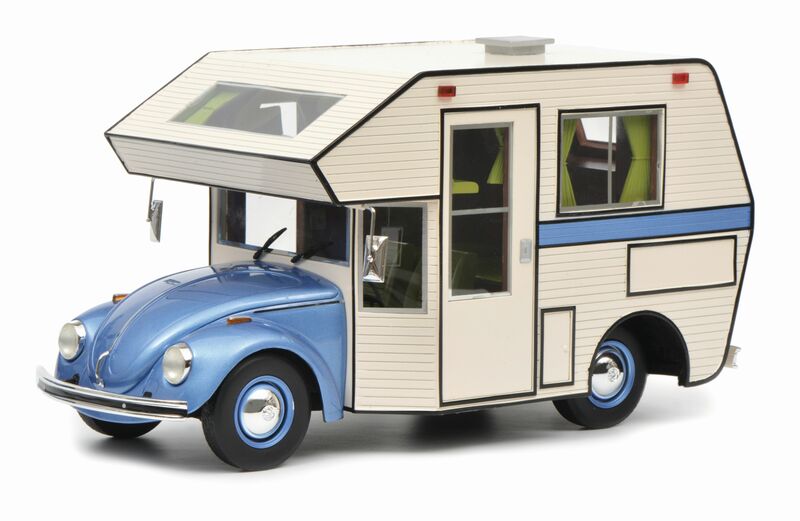 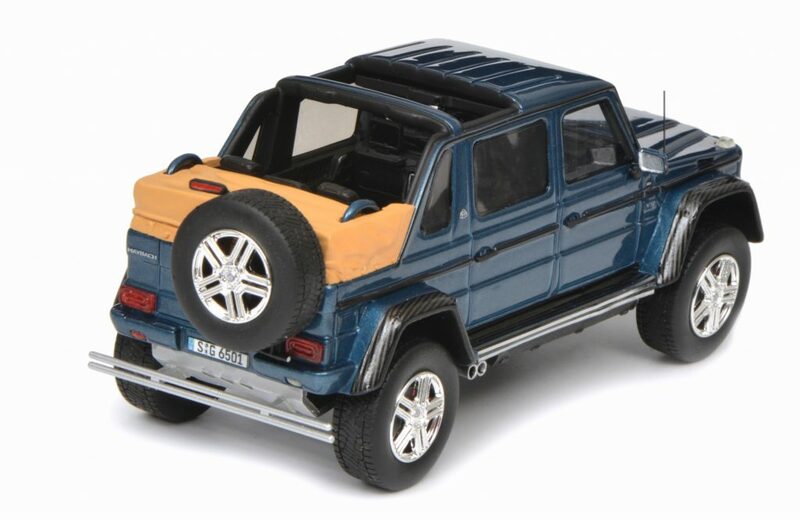 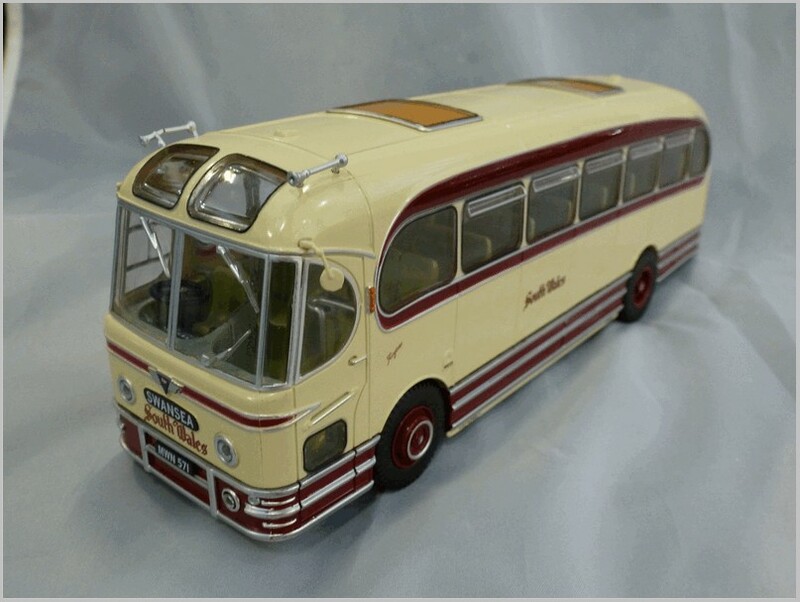 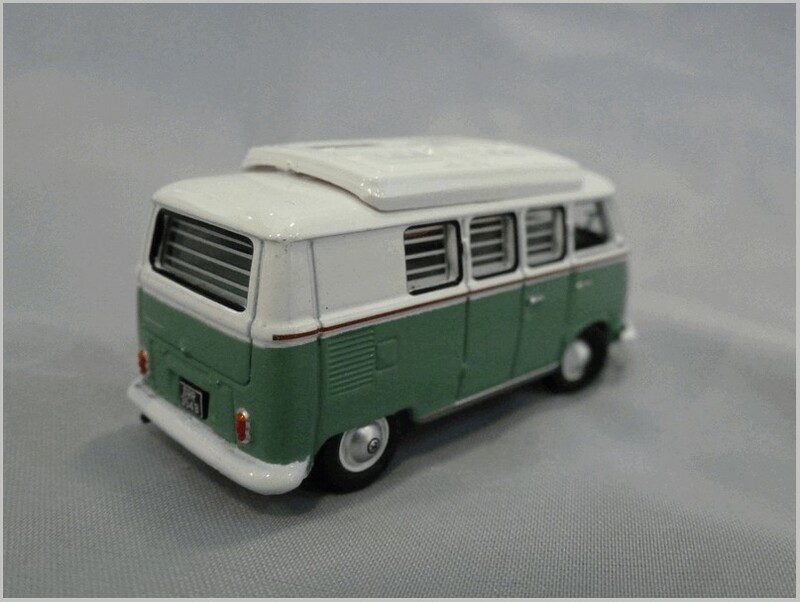 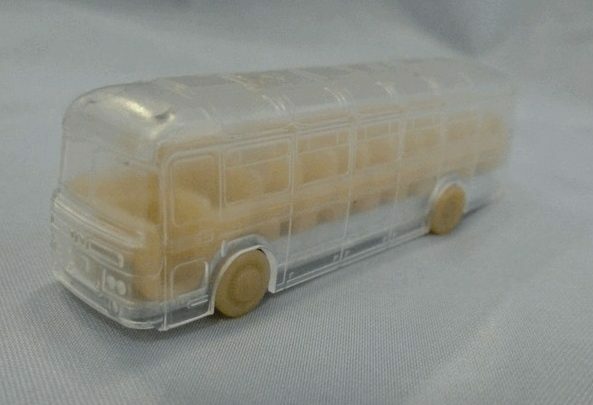 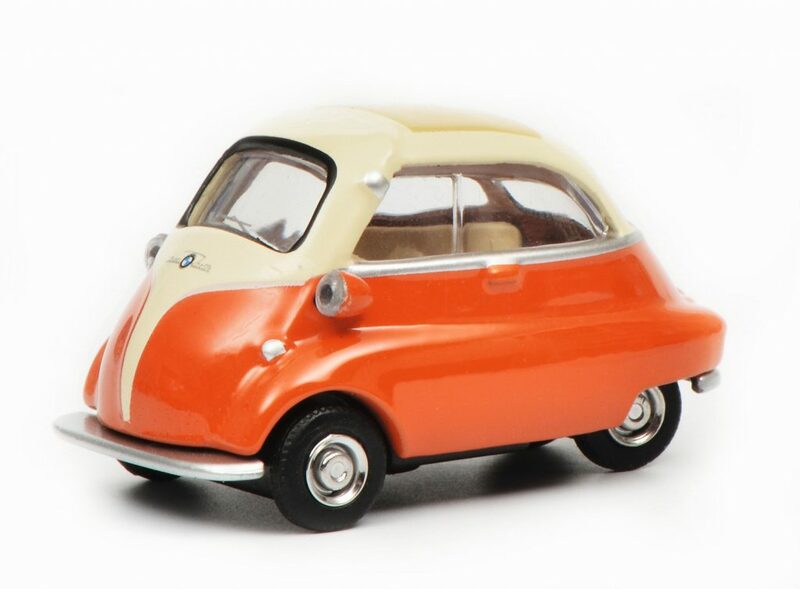 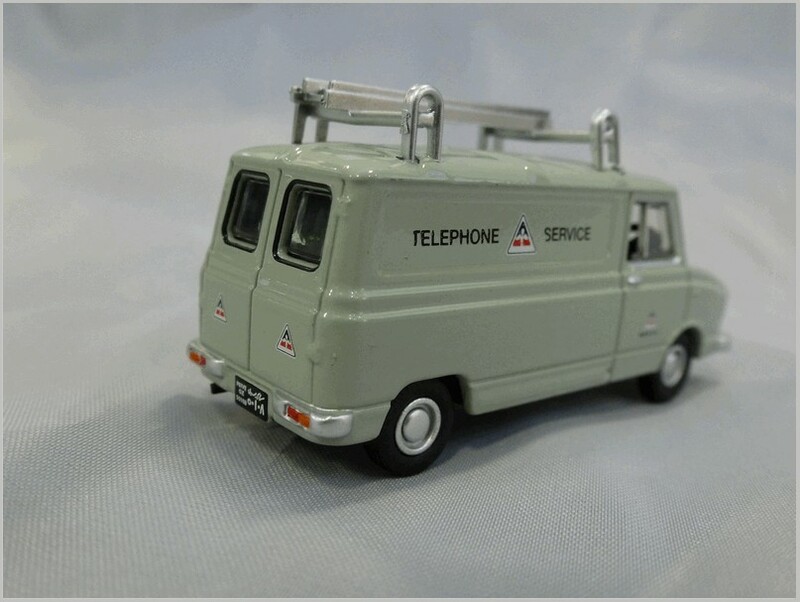 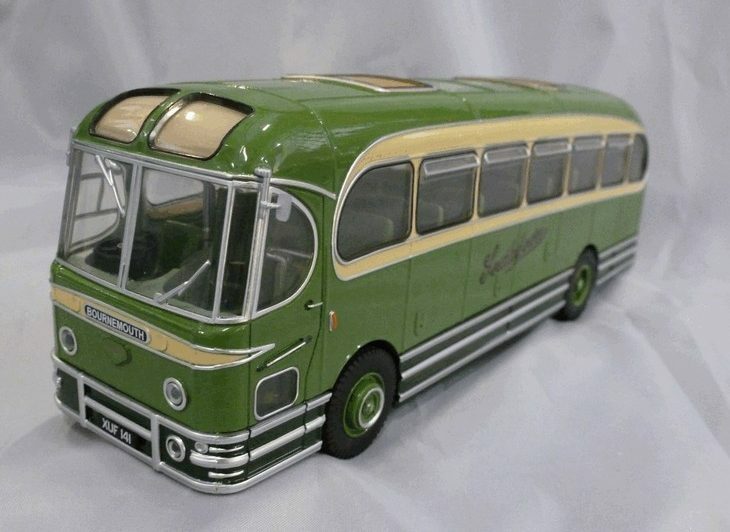 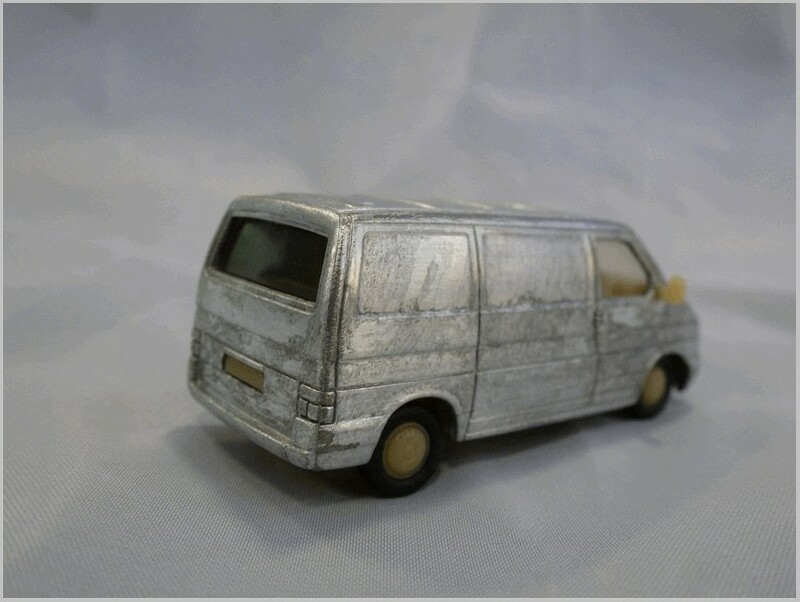 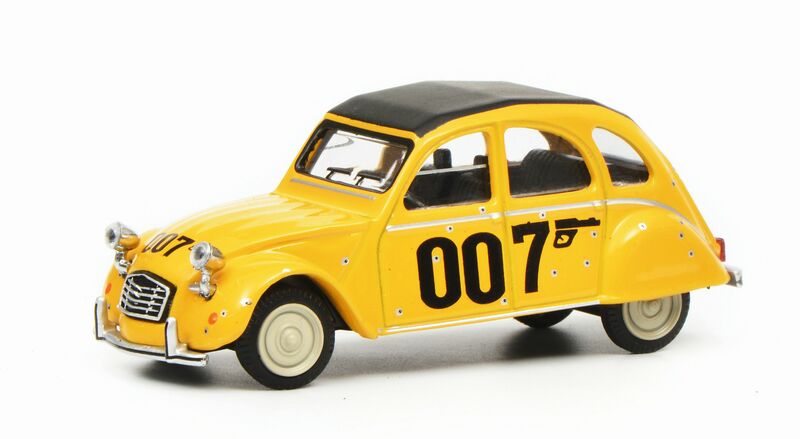 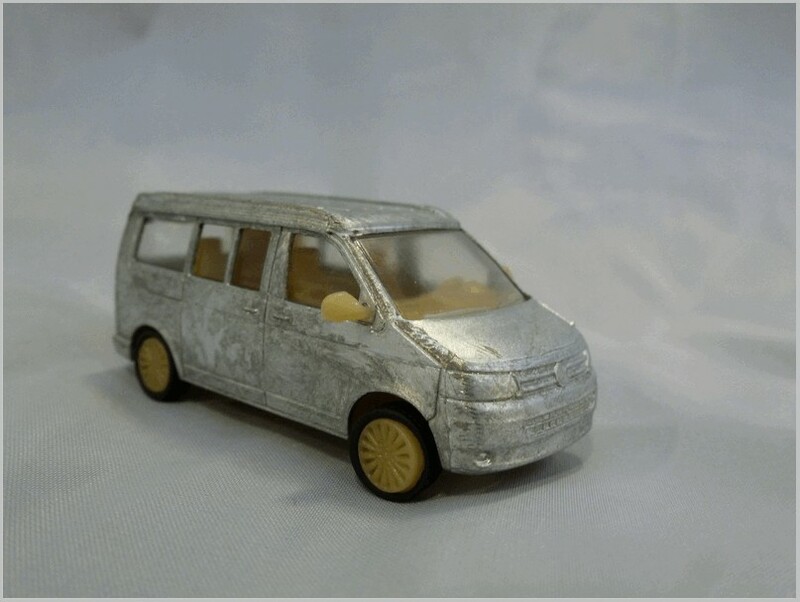 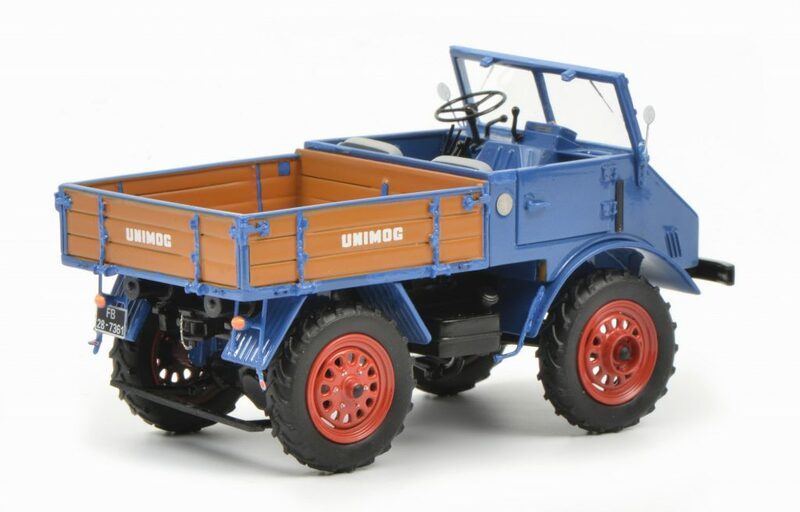 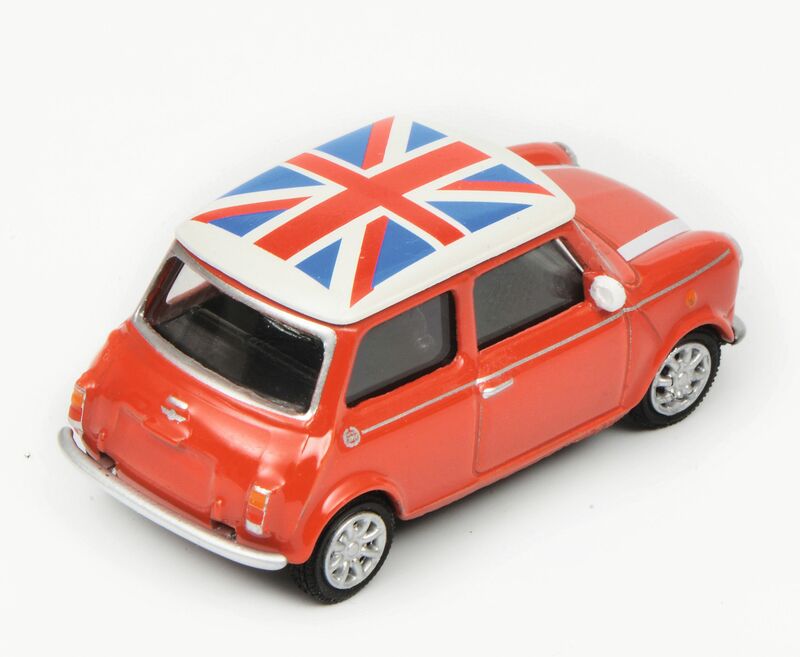 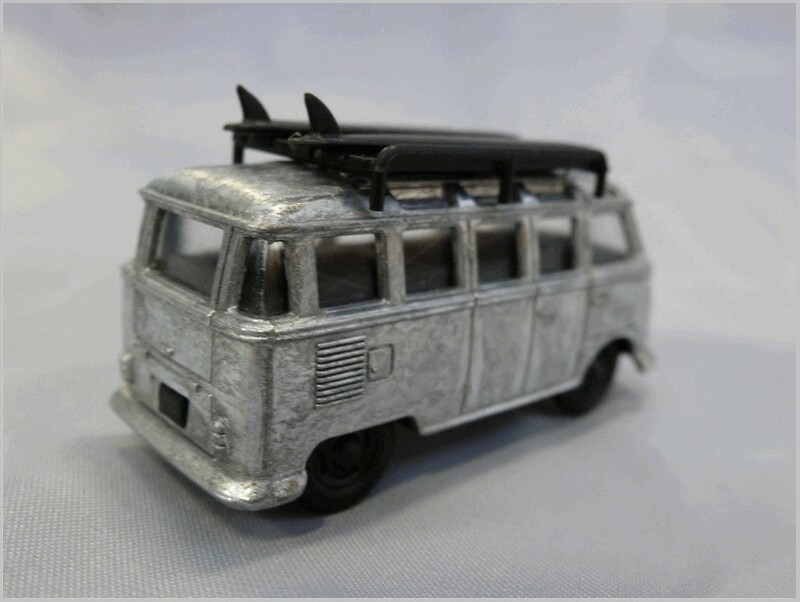 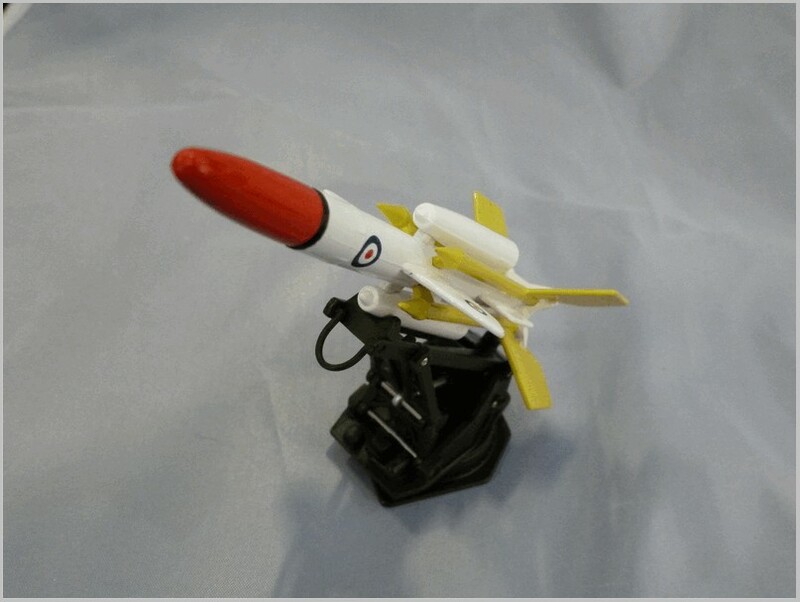 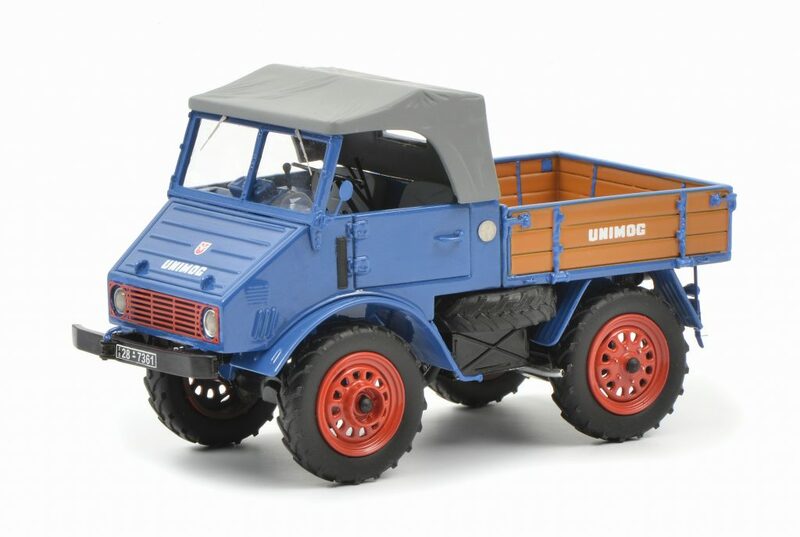 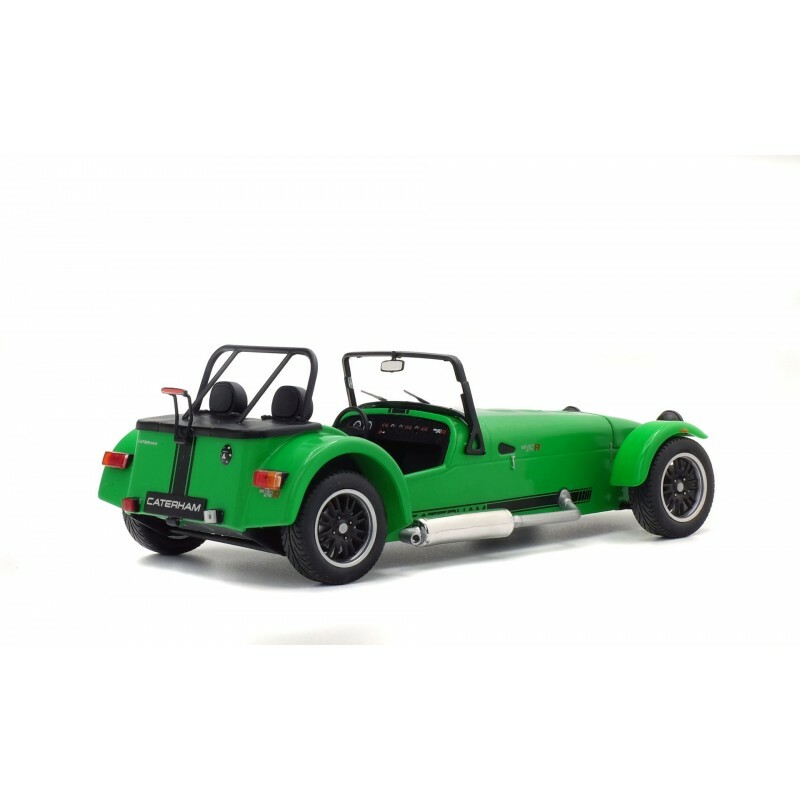 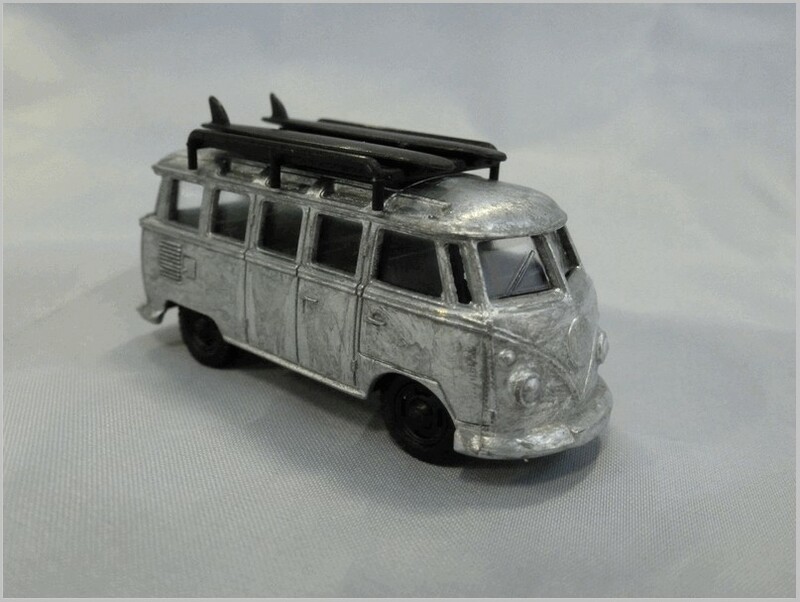 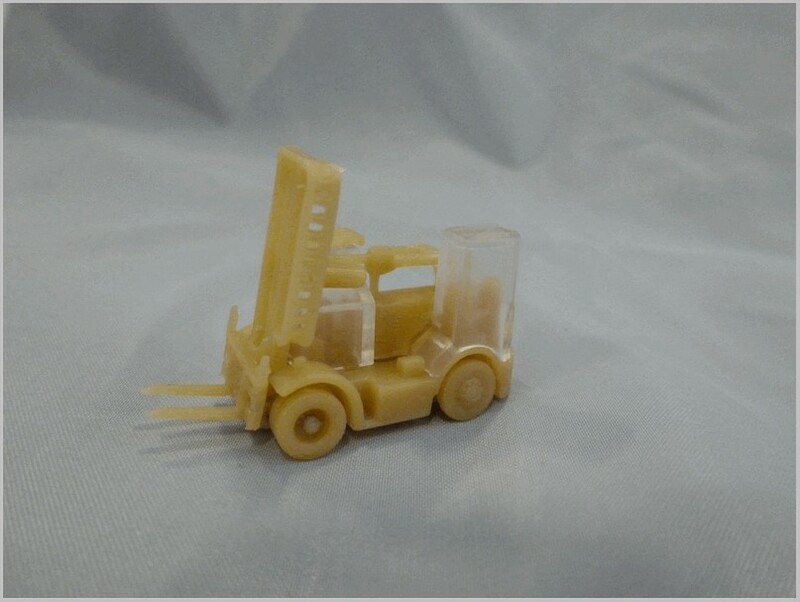 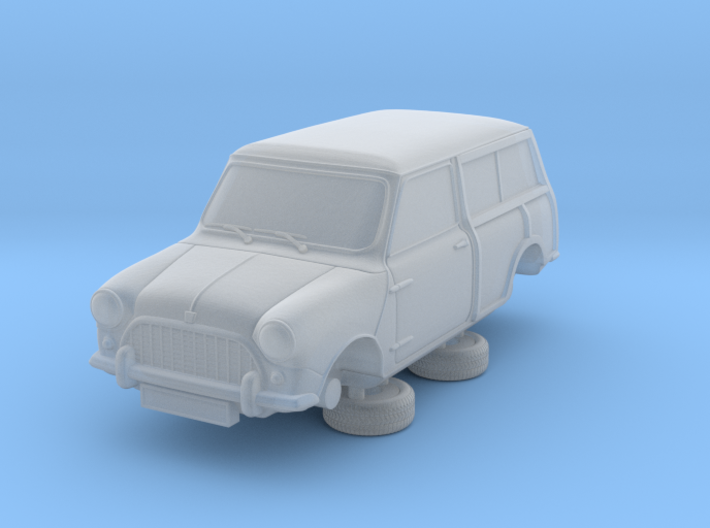 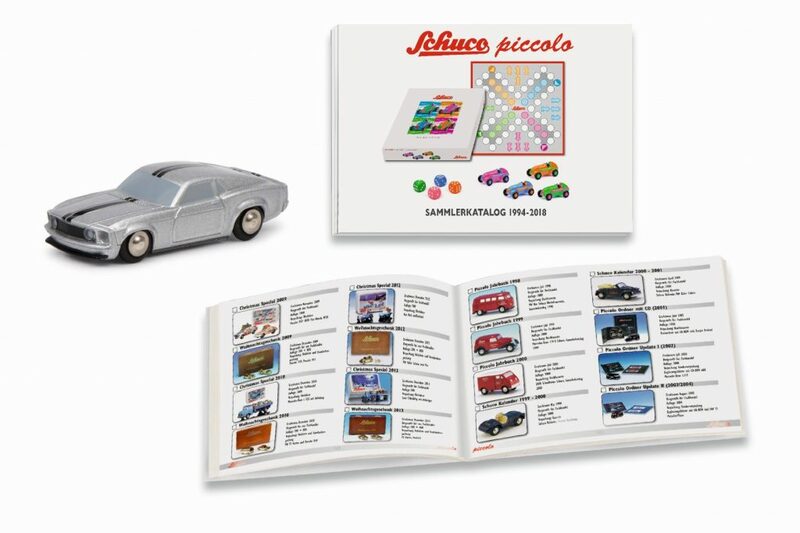 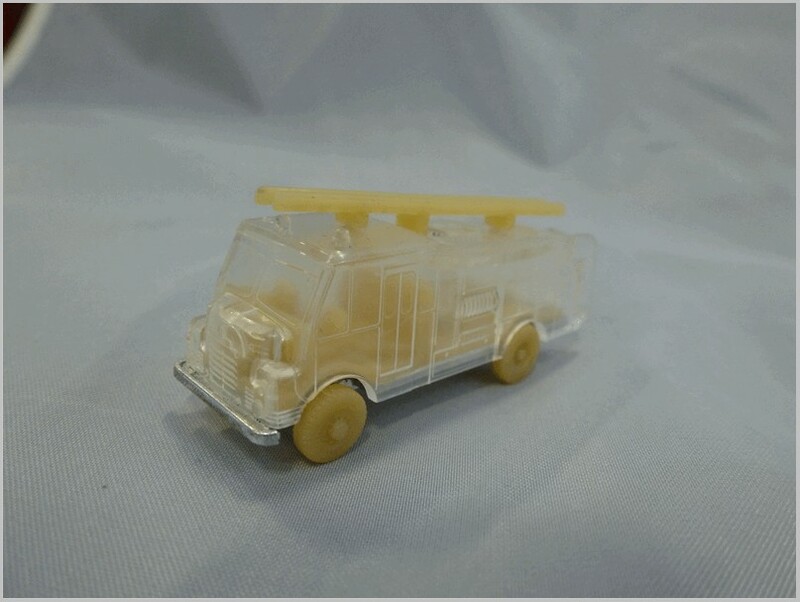 A popular vehicle for modelling and one that is available in almost every scale commonly available. 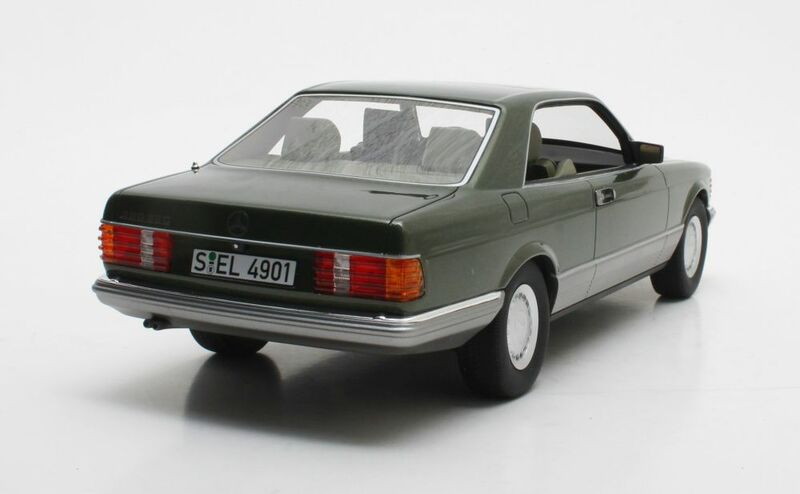 The Cult model seems to be a good replica of the real thing. 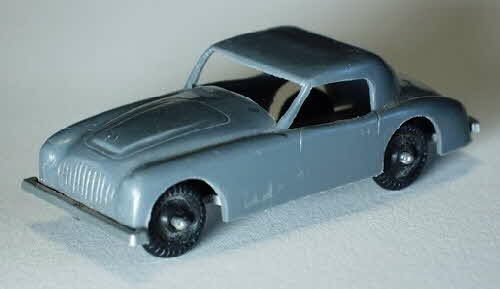 The early Spitfire front and rear end is clearly captured as are the simple painted steel wheels and chrome hubcaps. 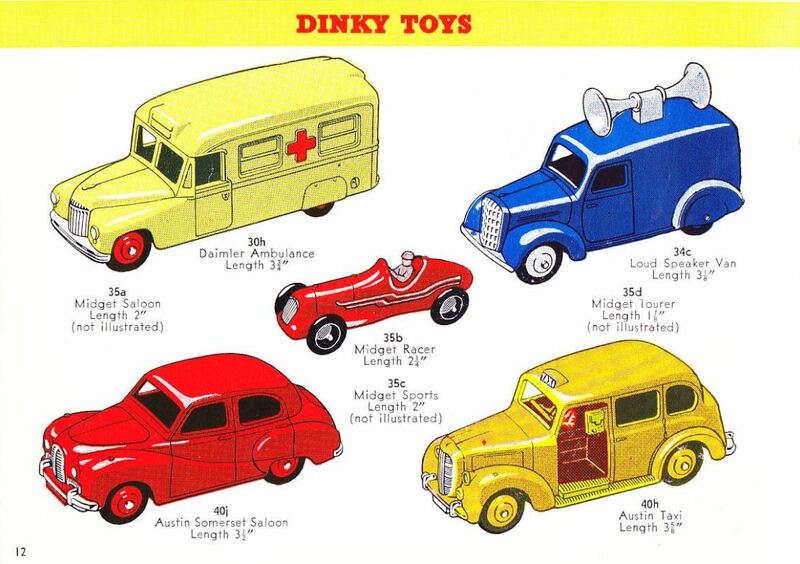 The 1953 US Dinky Toys catalog pictures a small red racing car that many collectors might not have seen before. 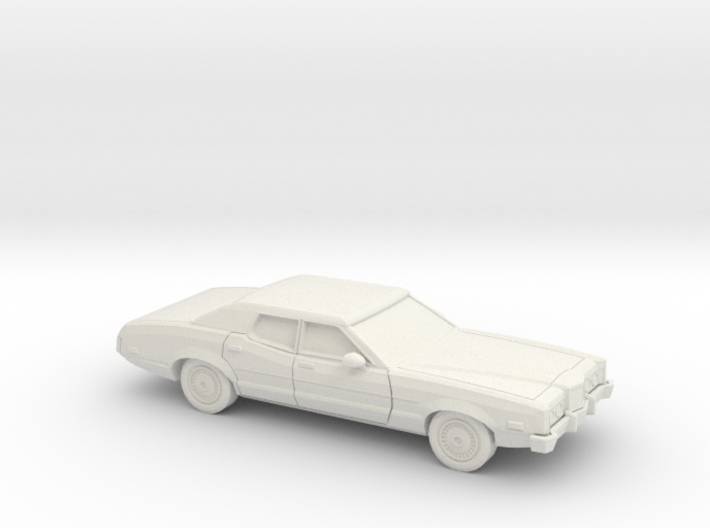 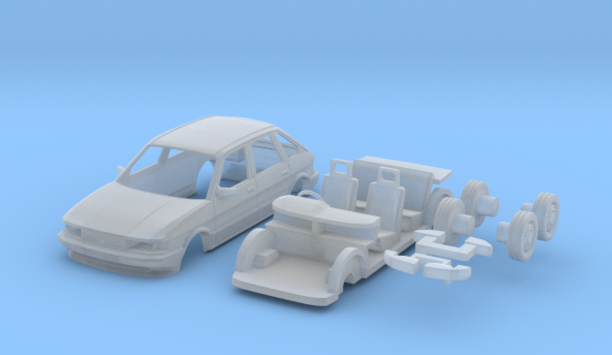 In fact there are other cars in a little set. 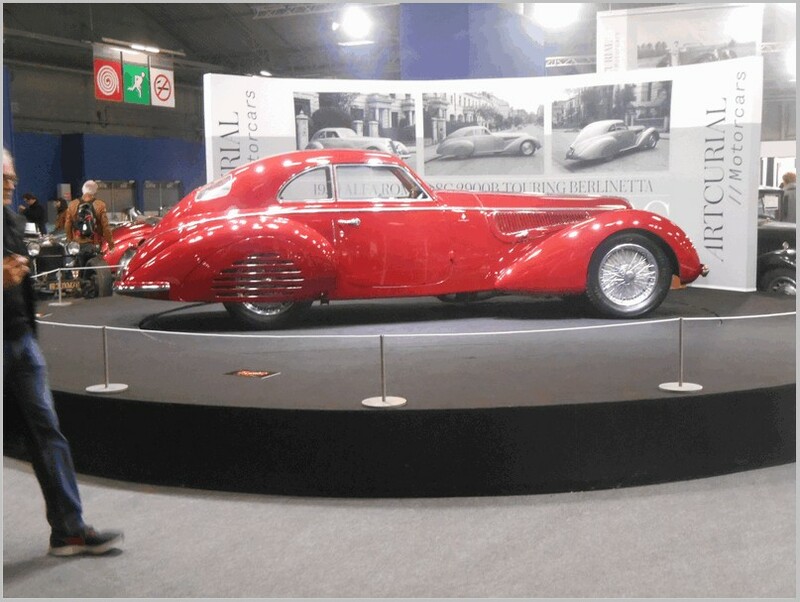 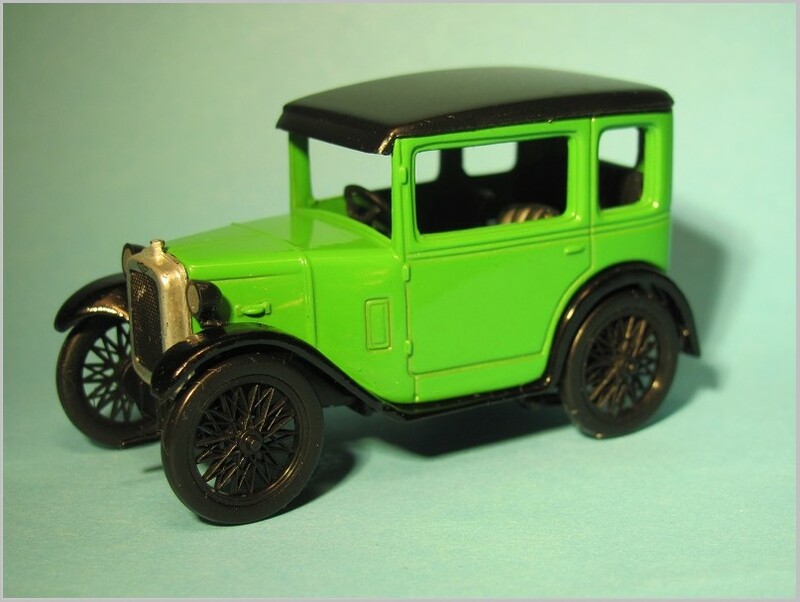 These were originally introduced in 1936 and called the Small Auto Set, and numbered 35a, 35b, 35c, and 35d. 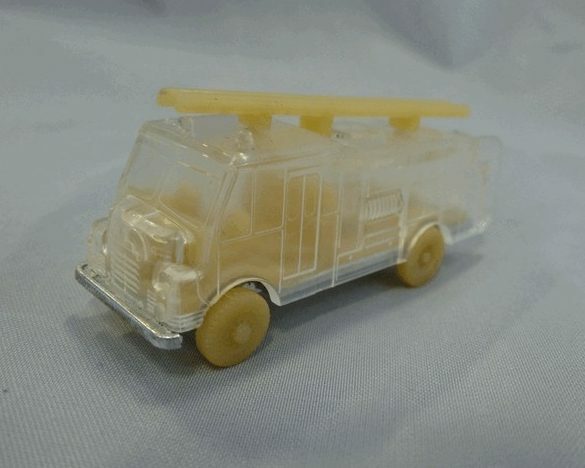 They were tiny, only a little over 1″ long, and made to OO scale. 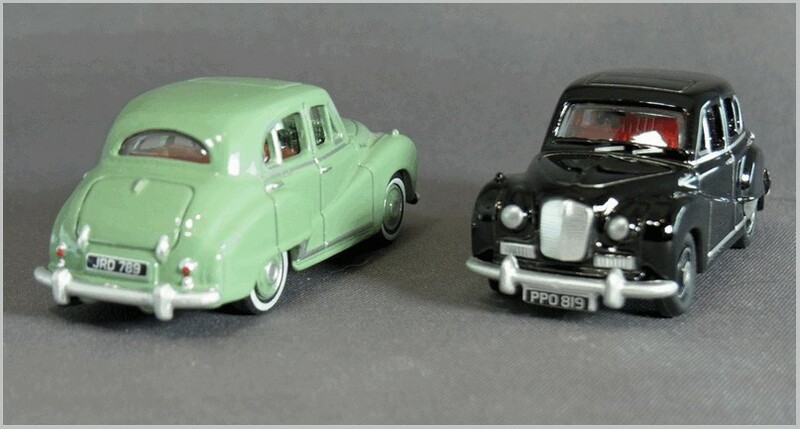 All of these were discontinued in 1941, due to the war, then re-introduced in 1946. 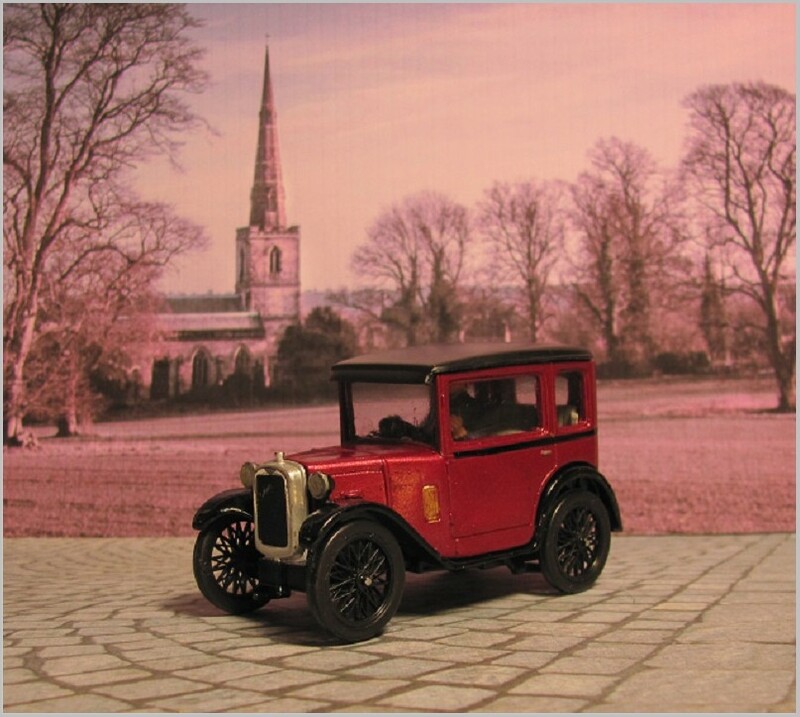 35a is called the Saloon Car and has the appearance of an early Triumph. 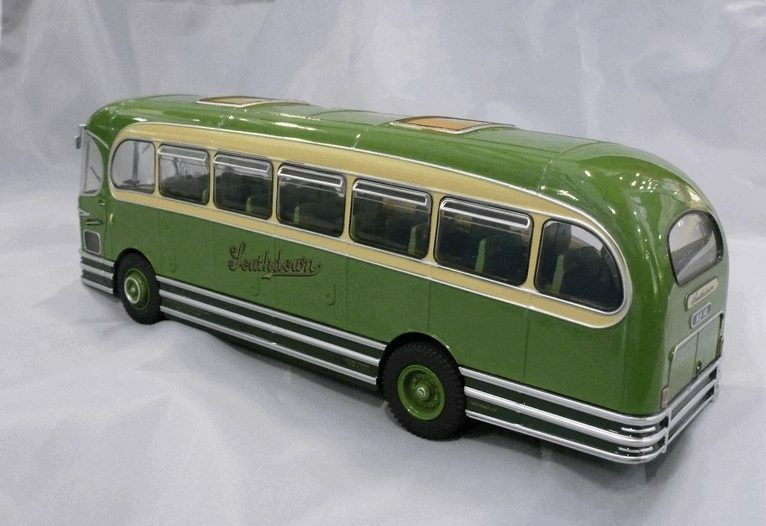 It was made until 1952. 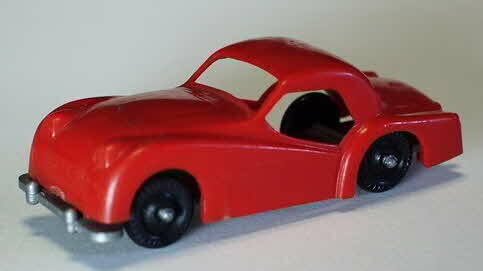 35b is the Midget Car Racer and is modeled after an MG Type R race car, and was the longest made, being deleted in 1957. 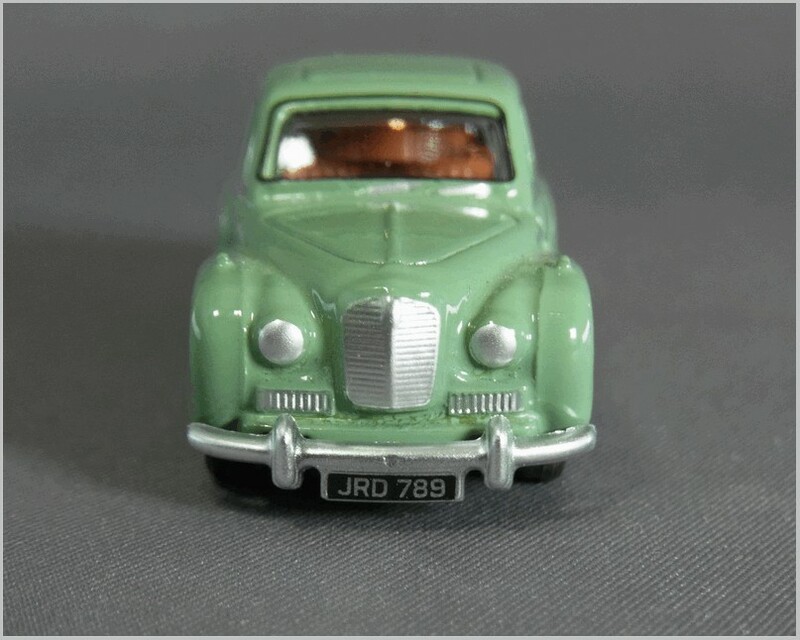 35c is the MG Sports Car and based on the MG Midget or Type P. This was deleted in 1952. 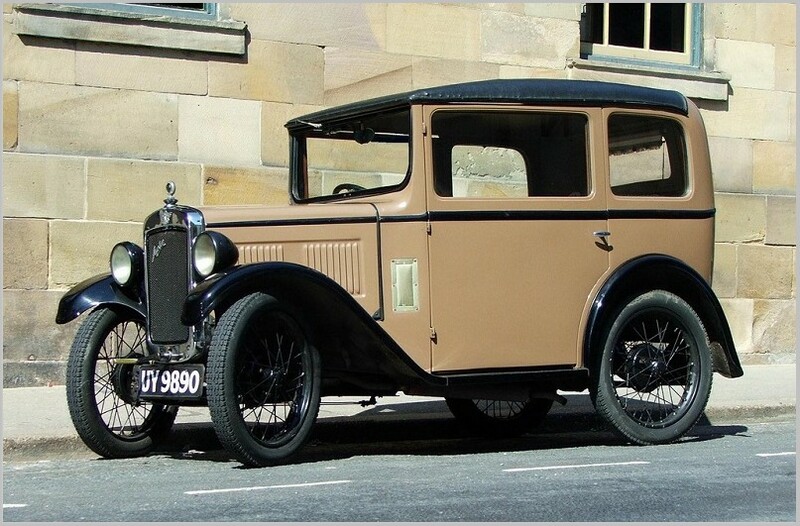 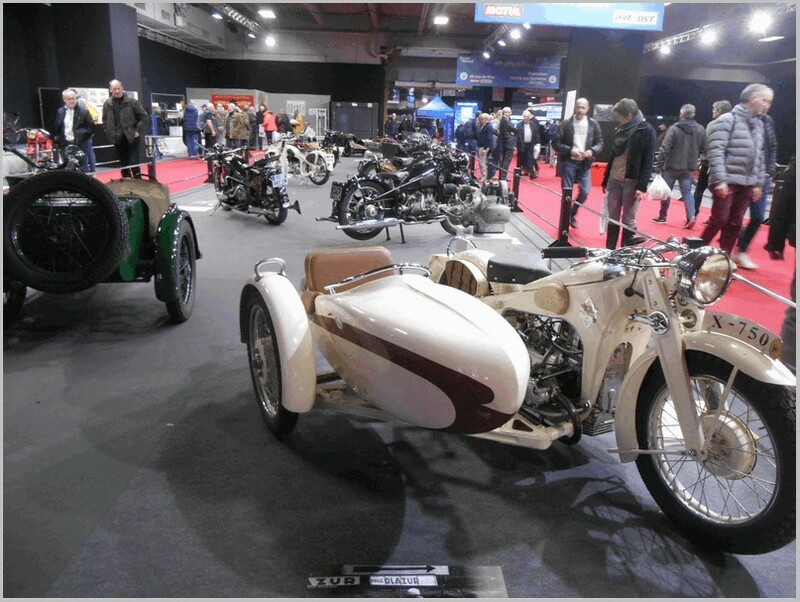 35d is the Austin 7 car, modeled on the Austin 7 Opal 2-seat touring car. 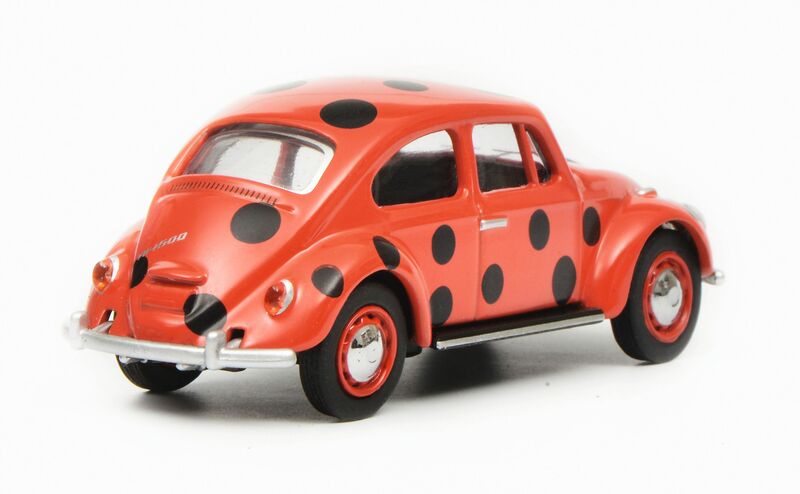 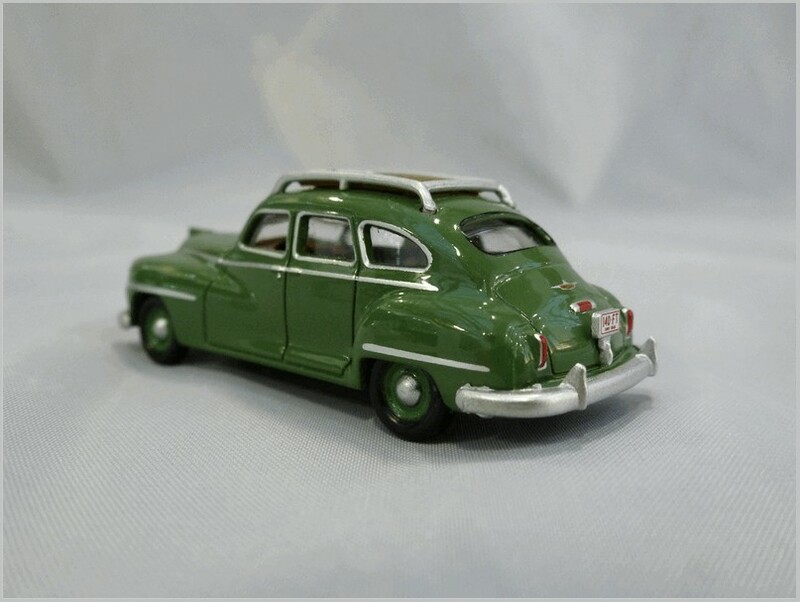 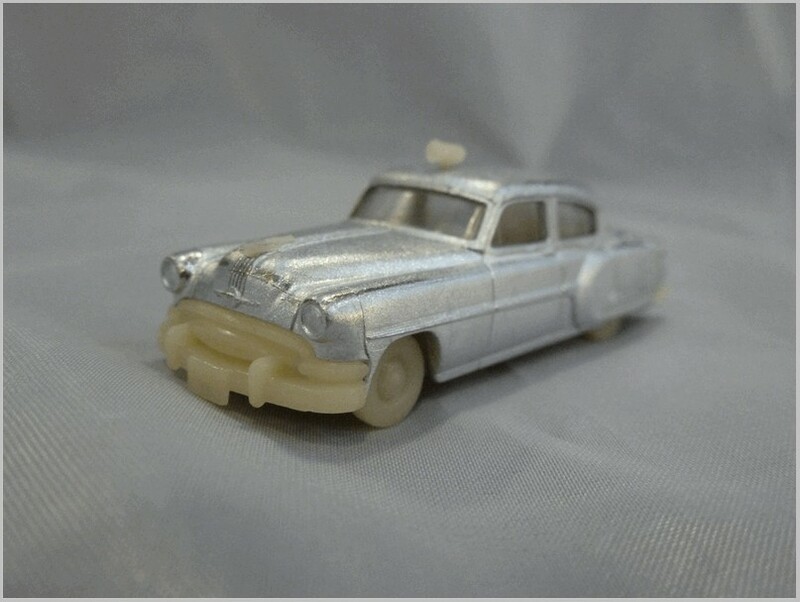 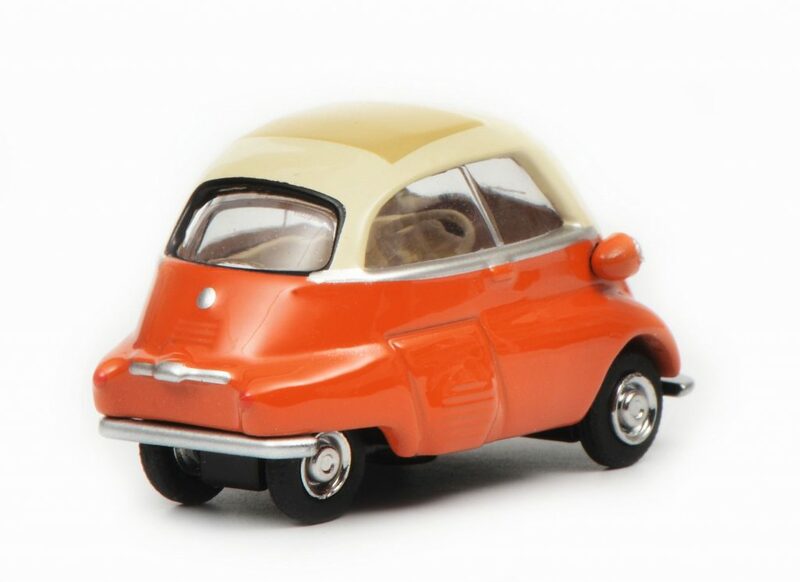 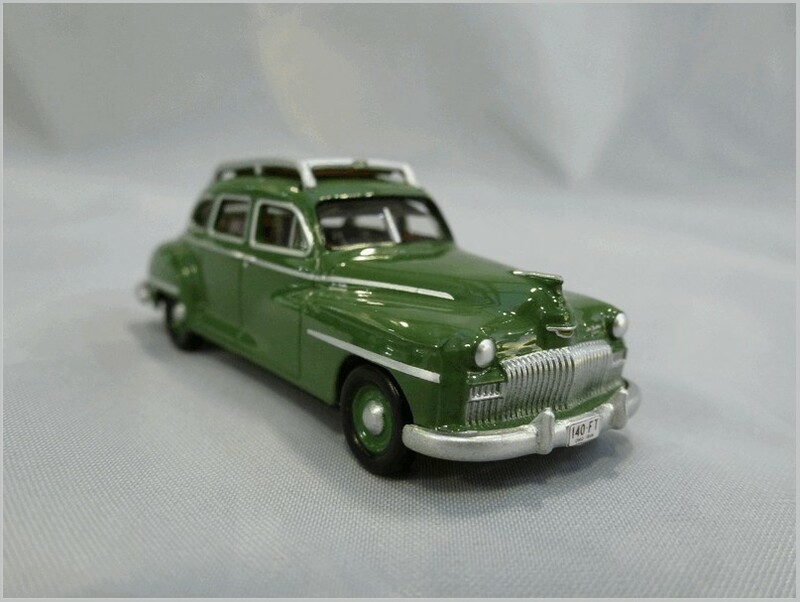 One source says it was deleted in 1948, but it appears in the 1951 US Dinky Toys catalog. 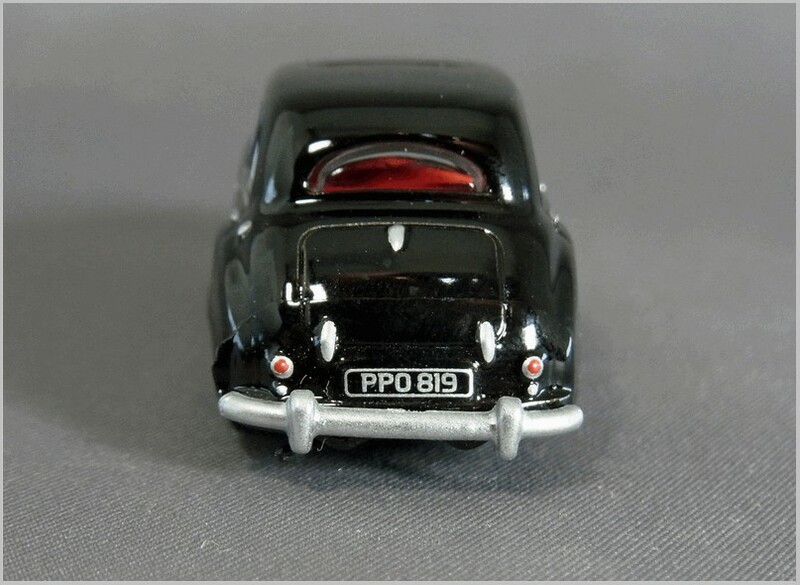 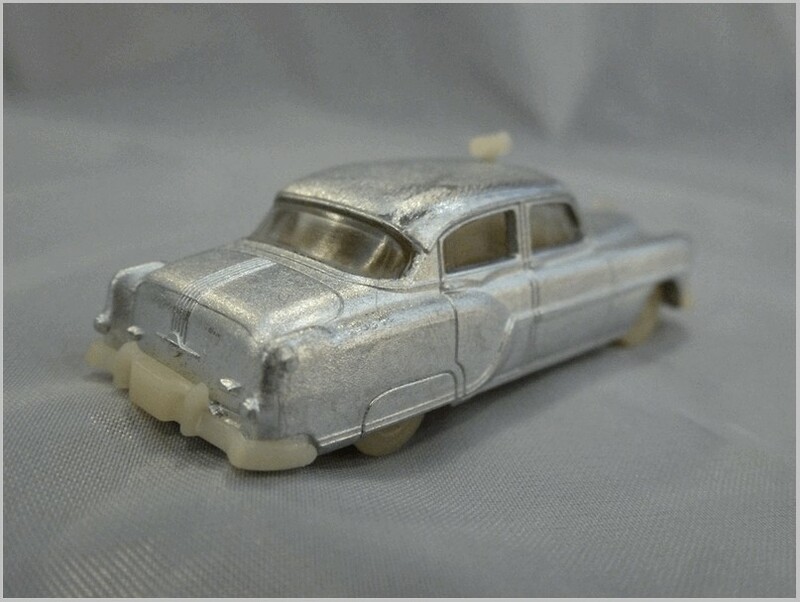 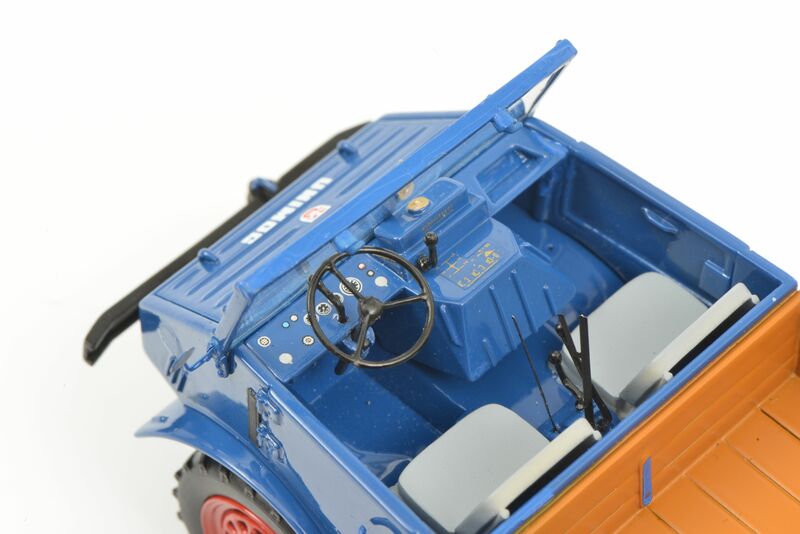 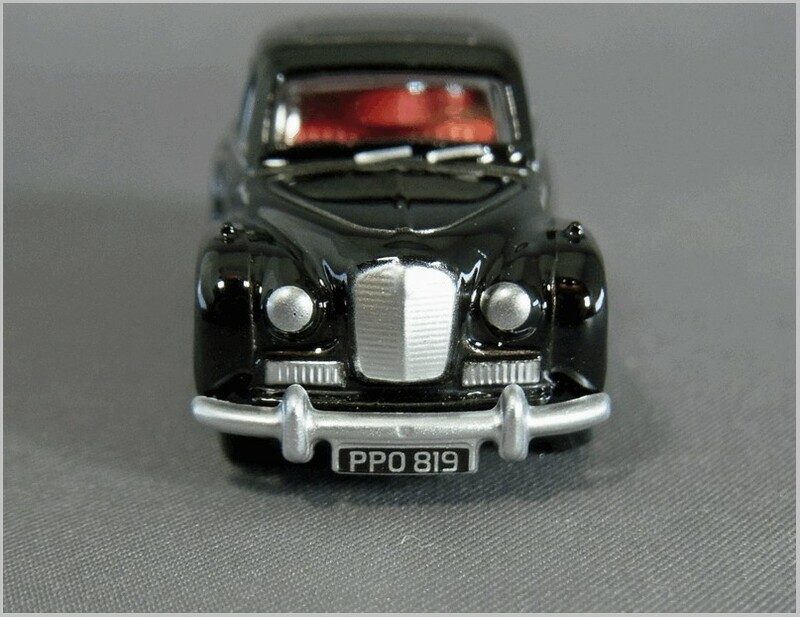 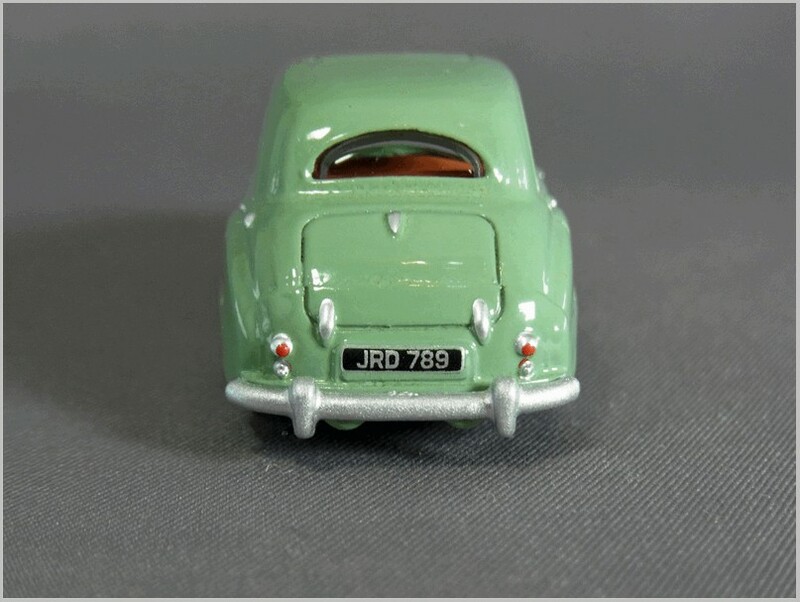 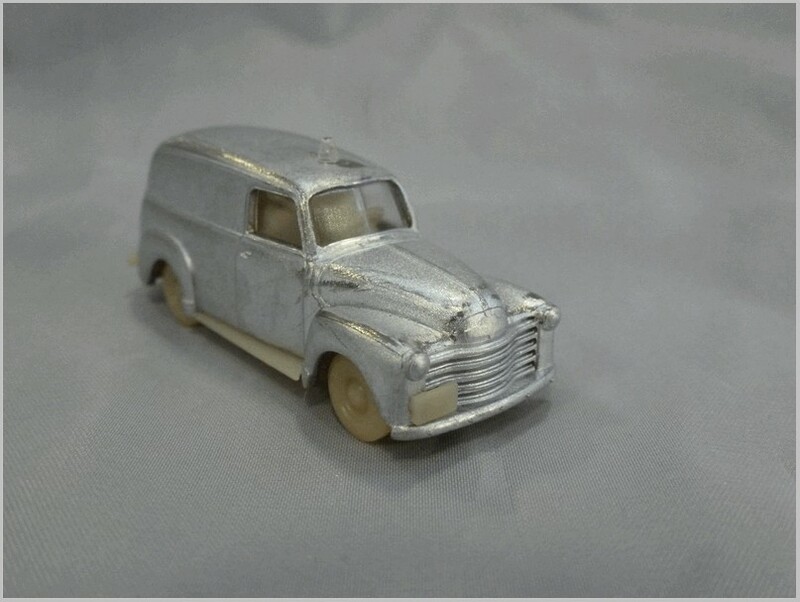 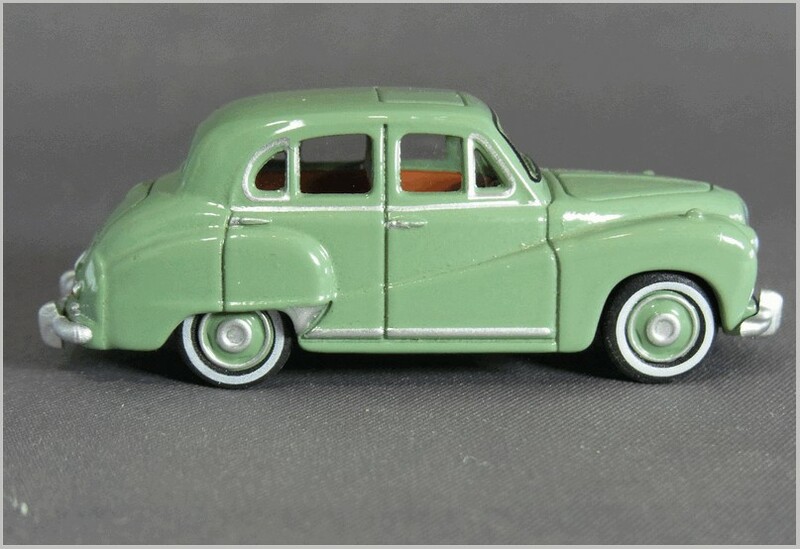 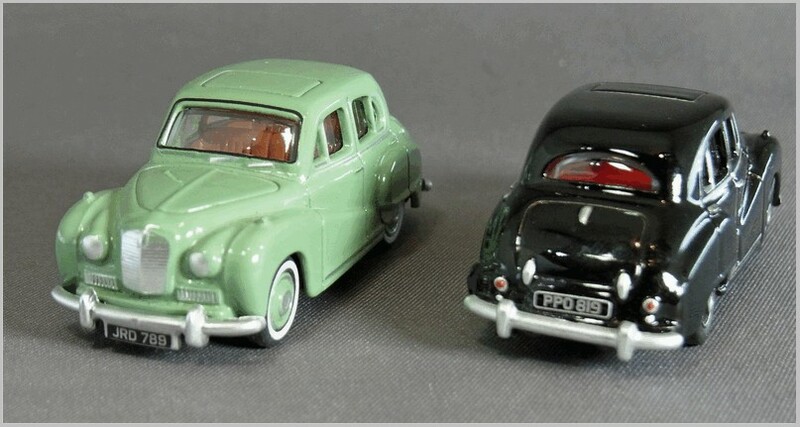 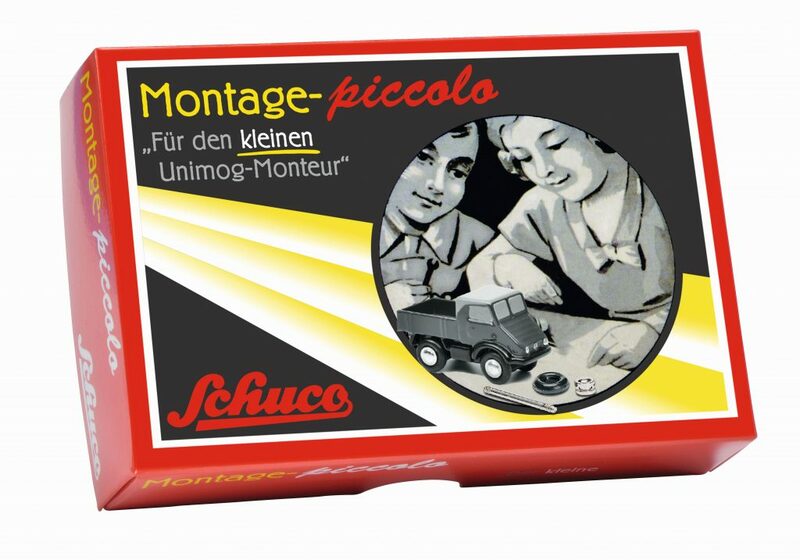 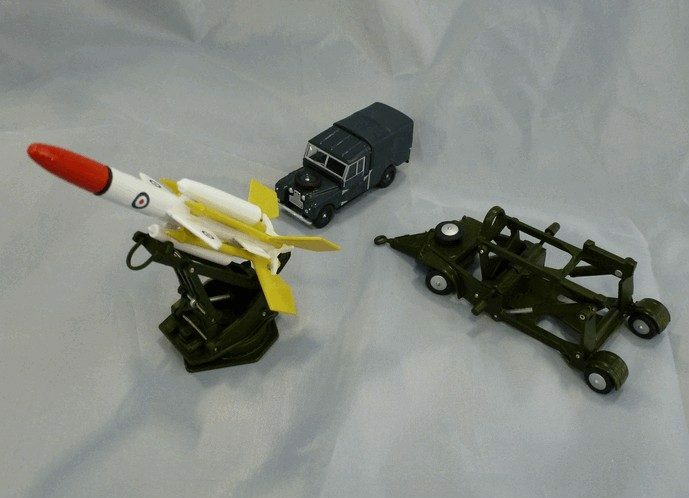 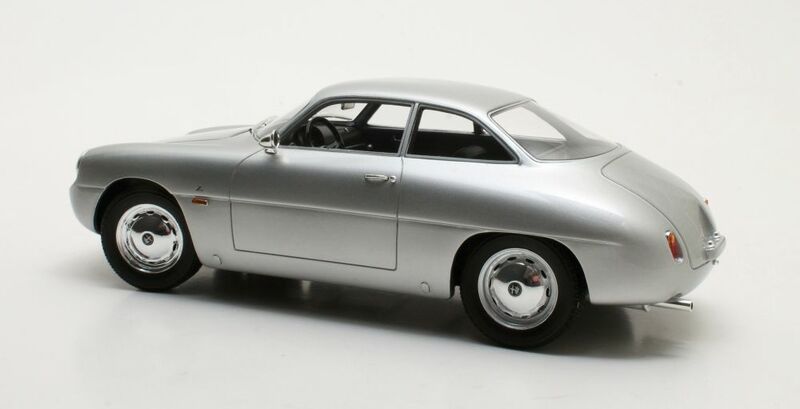 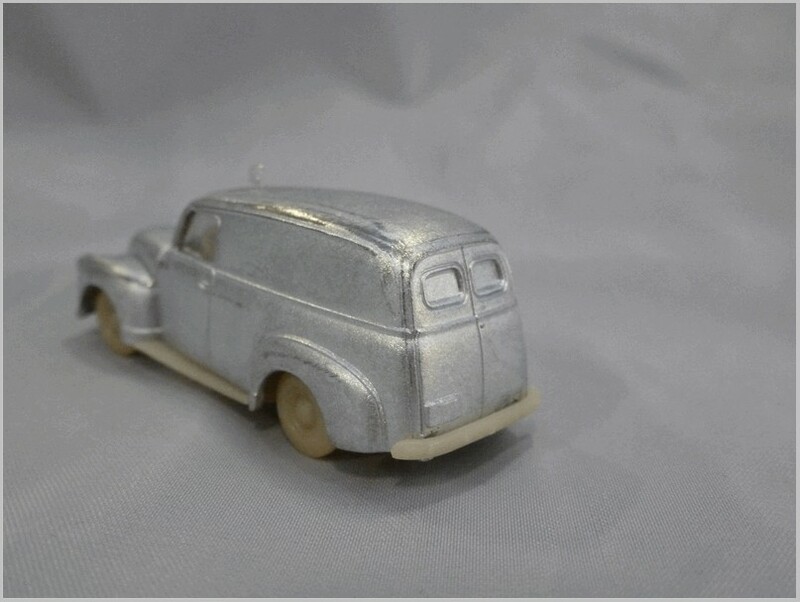 The pre-war 35d models only came with a wire windscreen … postwar without. 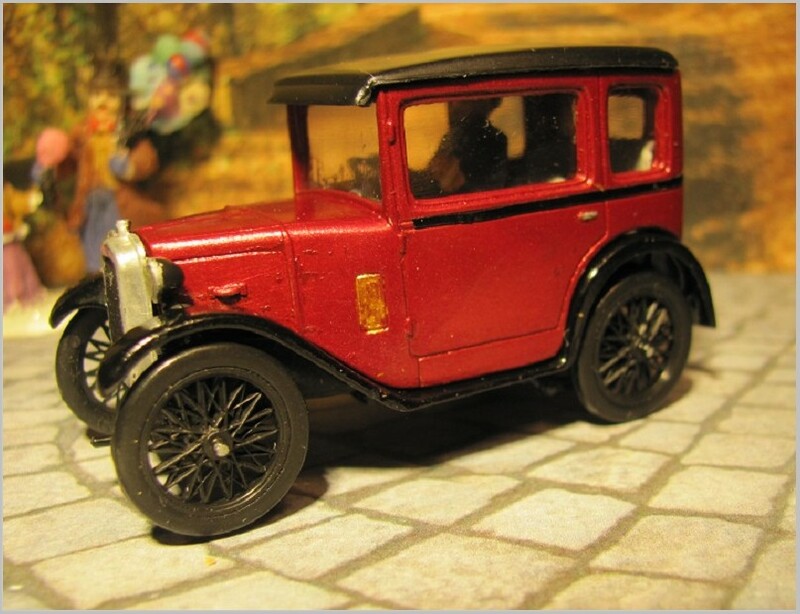 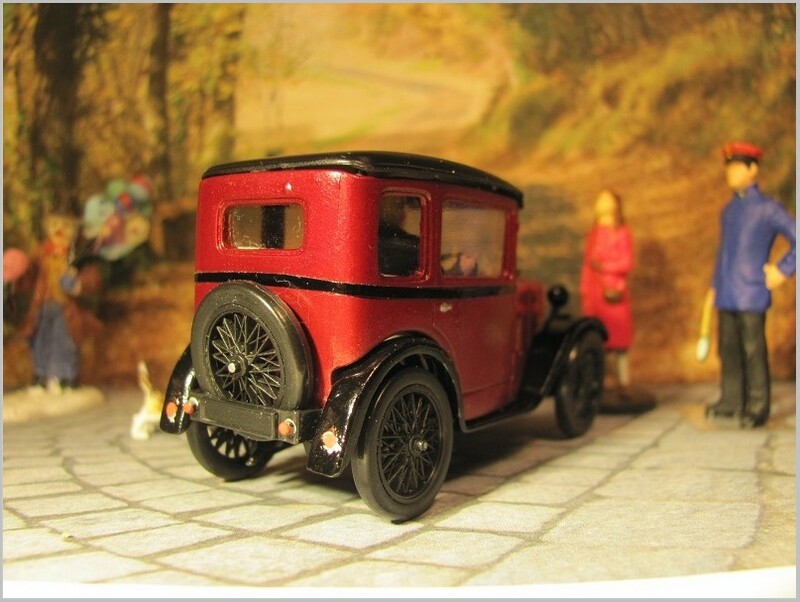 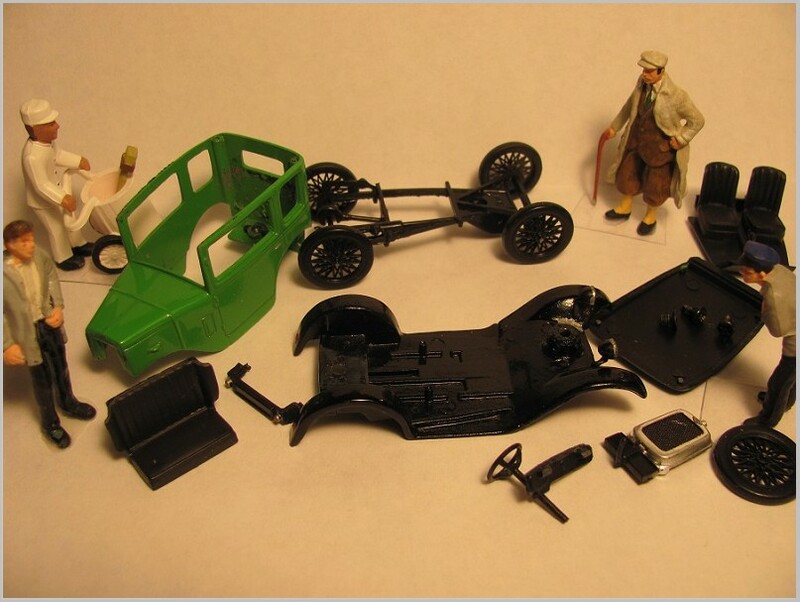 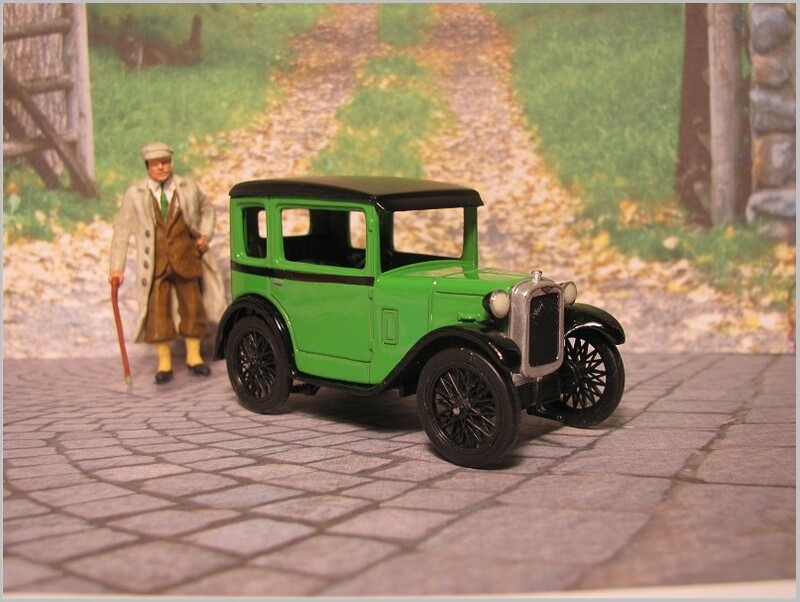 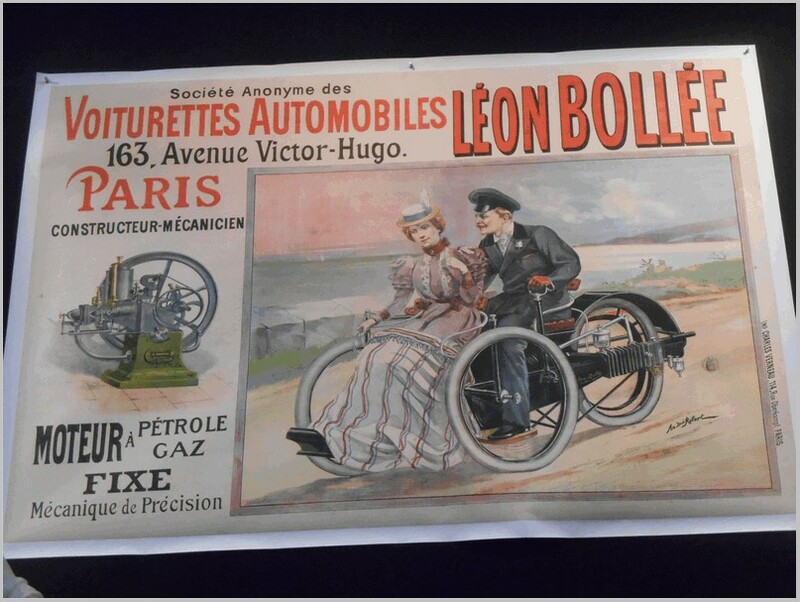 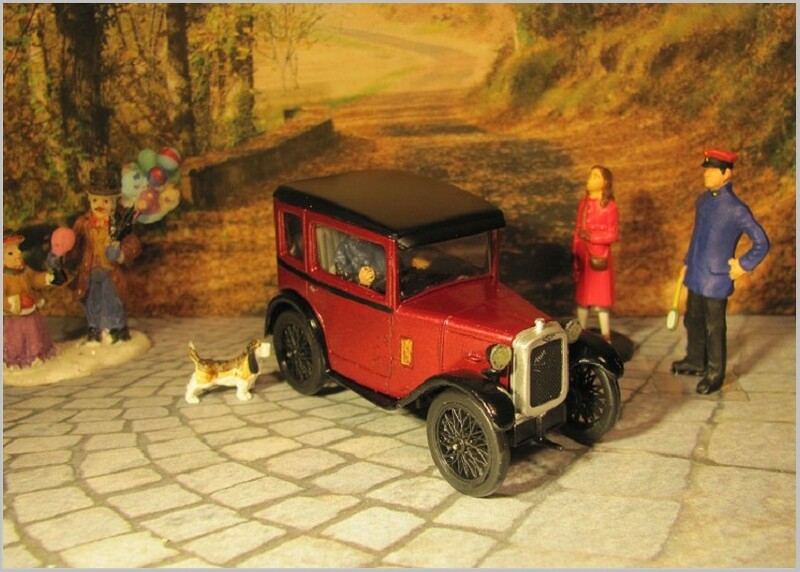 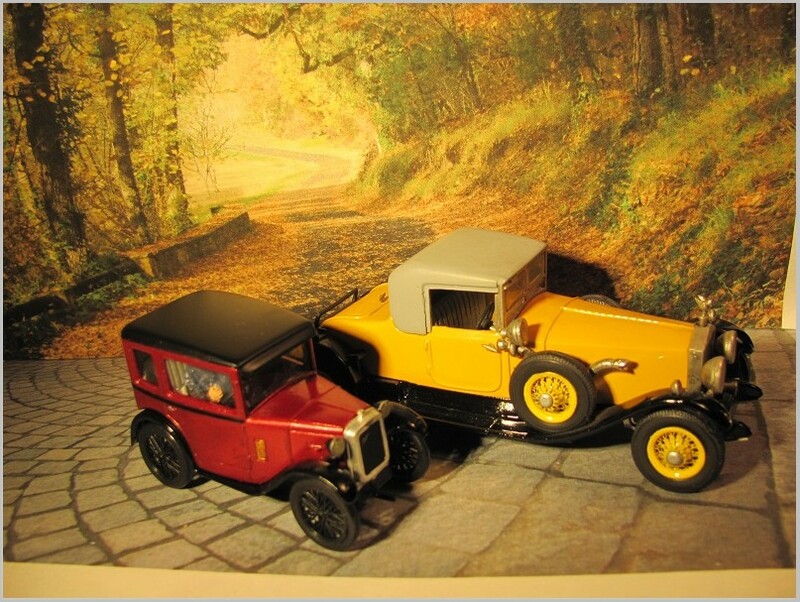 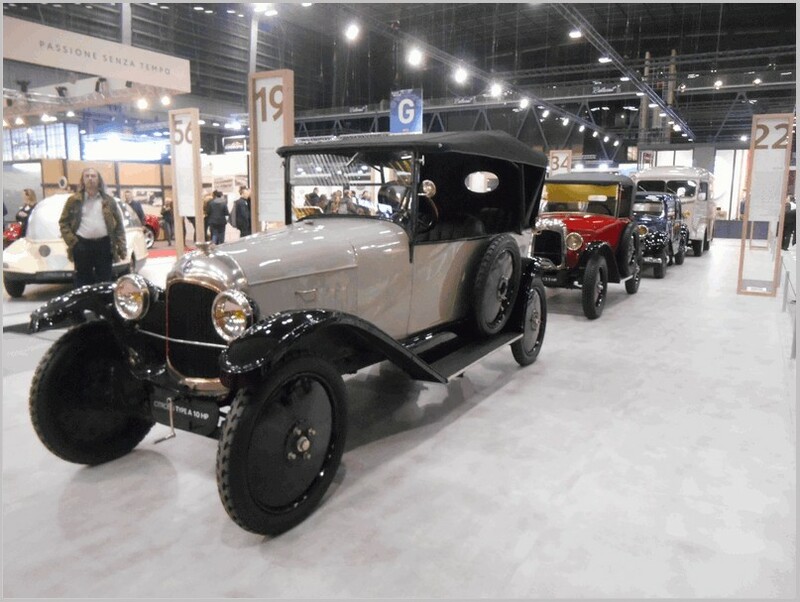 My example,shown below on the right, is the only pre-war model of this set that I have, and it also shows the pre-war style white tires and thinner axles. 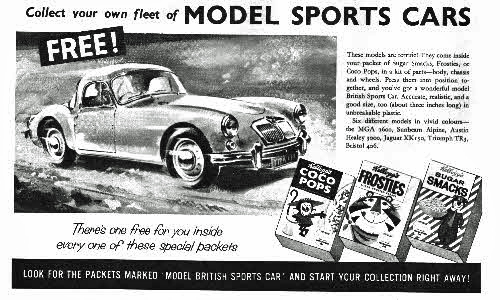 The price lists from the early 1950’s catalogs show these as being priced at $0.35 each, and they always came in trade boxes of 6. 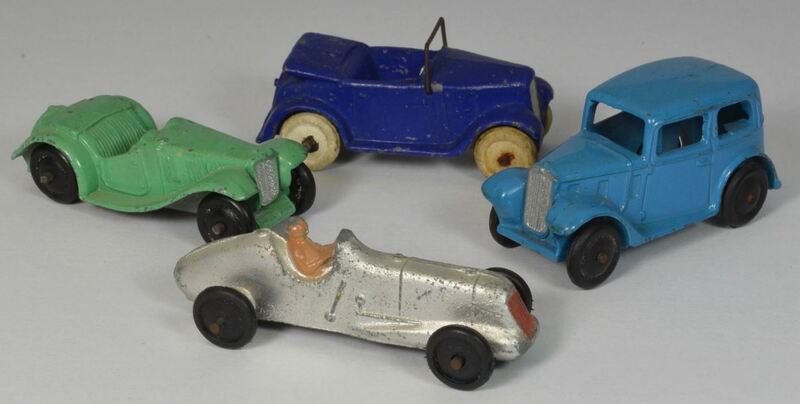 Here is another photo of this little, very antiquated set of tiny Dinky cars!